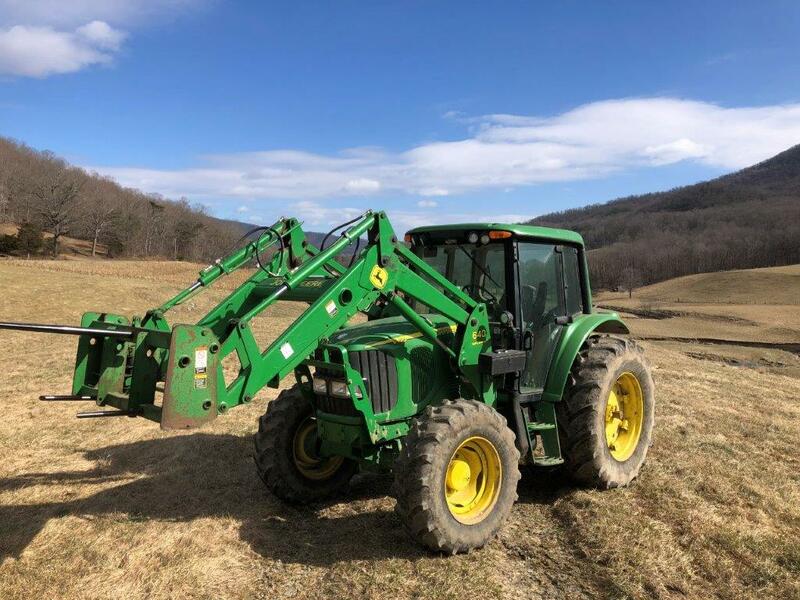 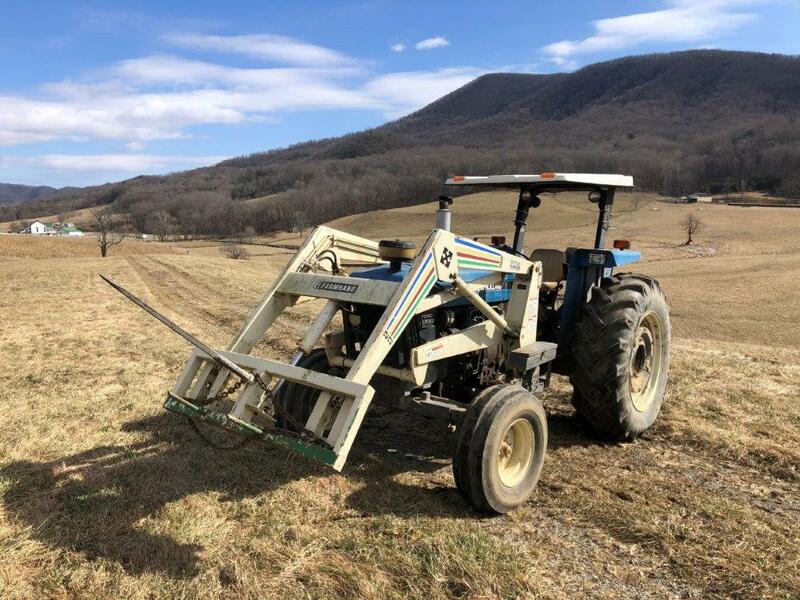 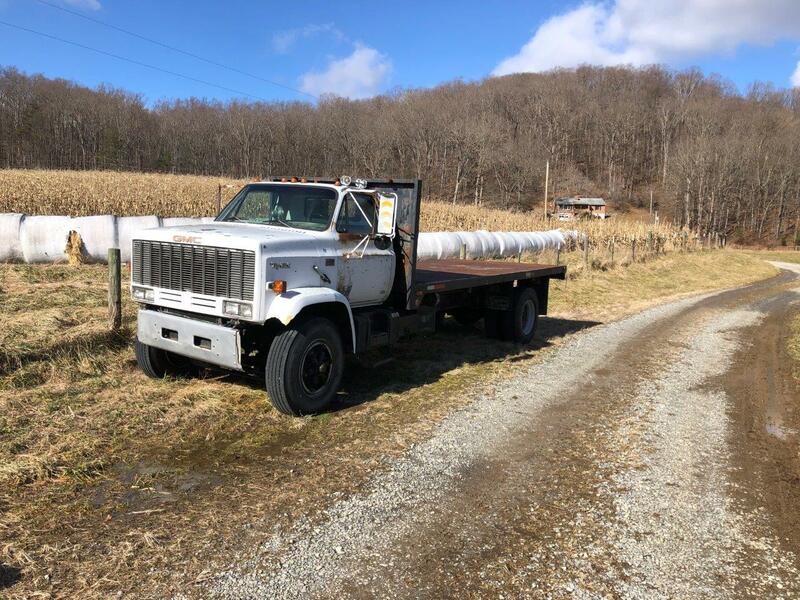 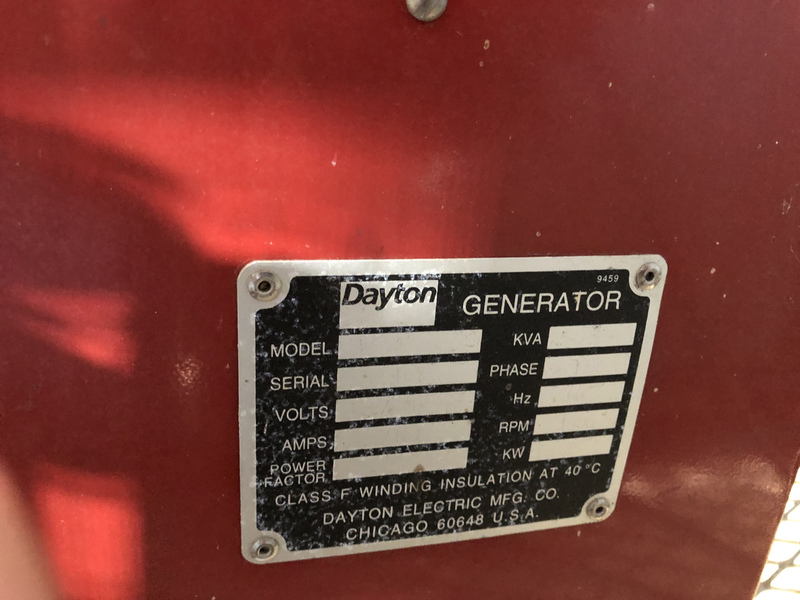 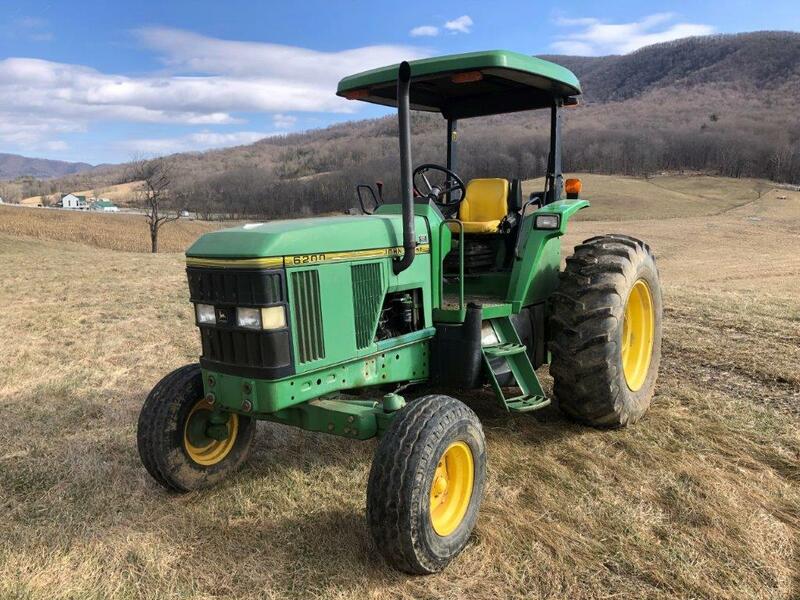 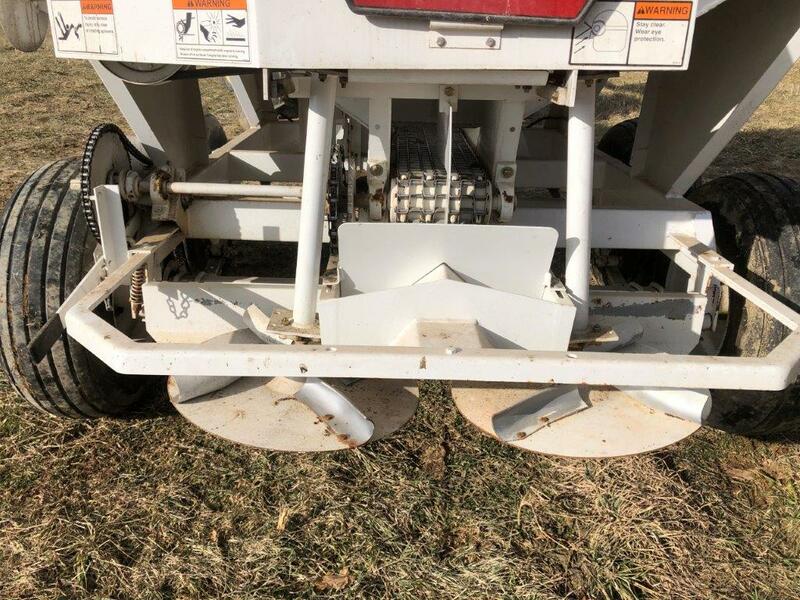 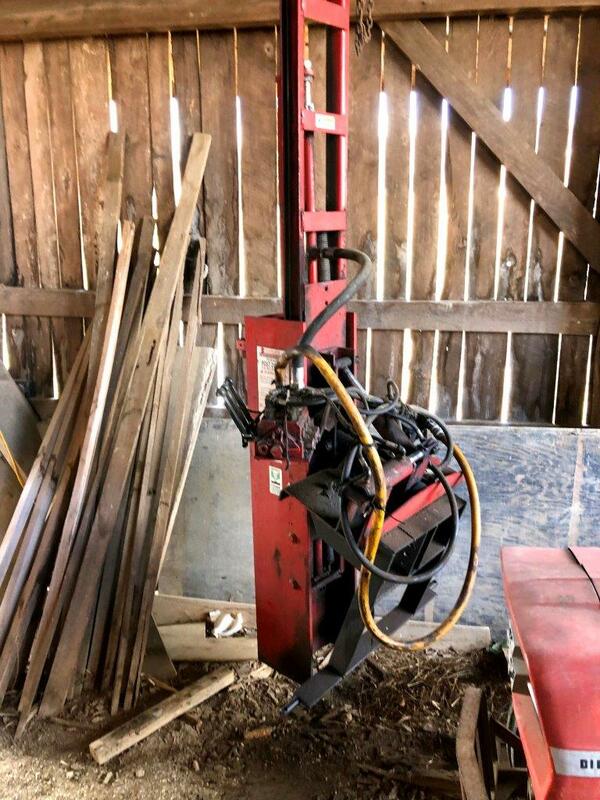 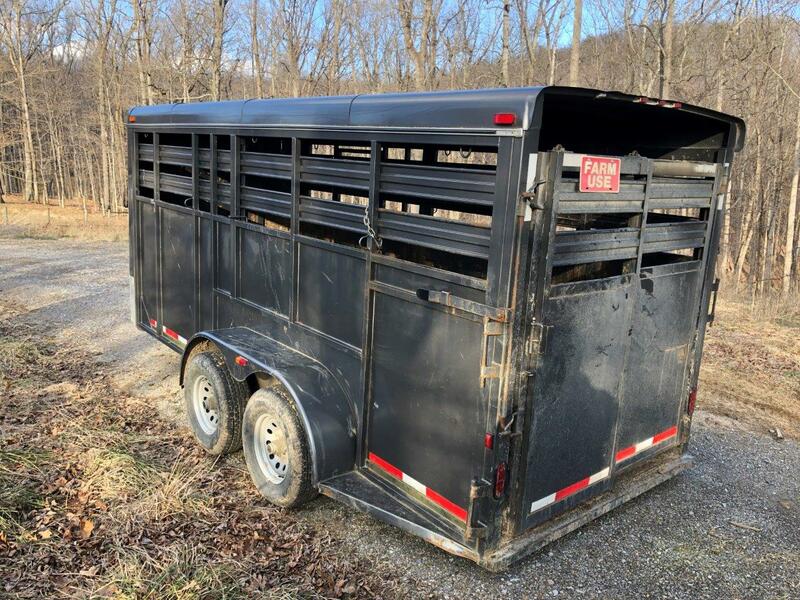 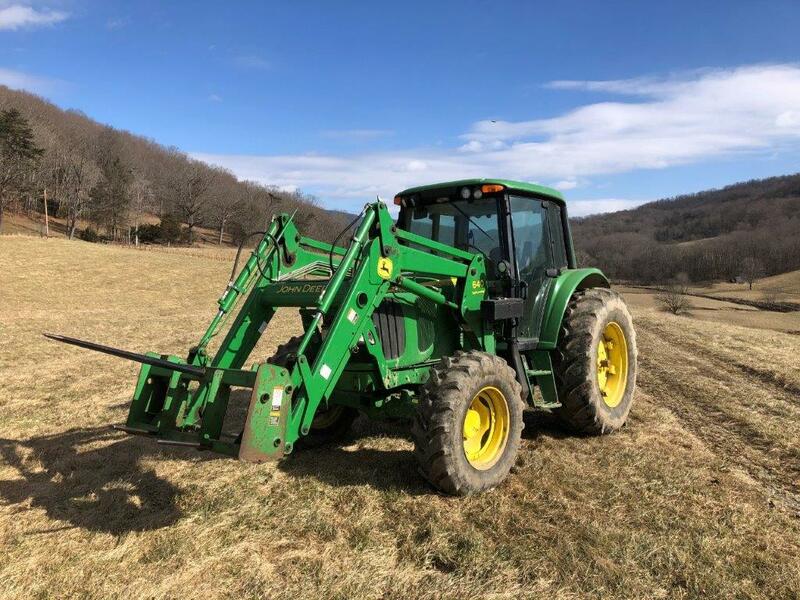 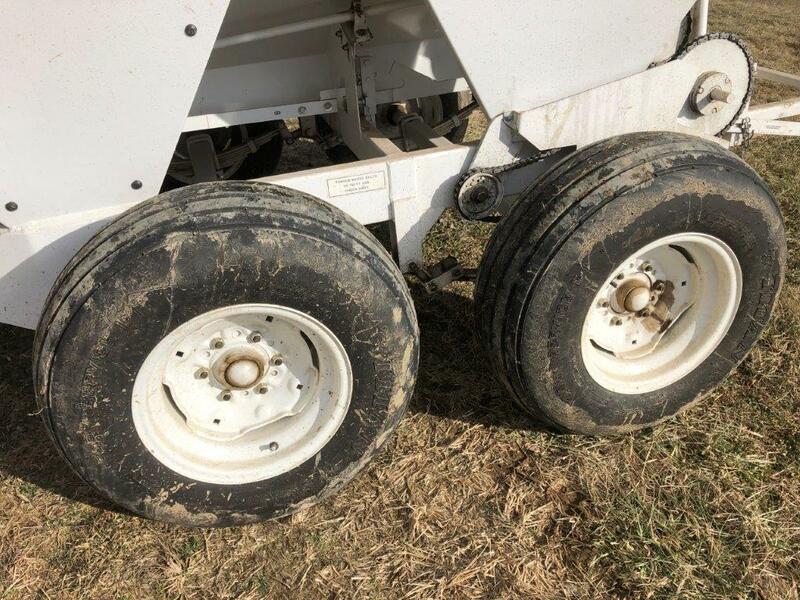 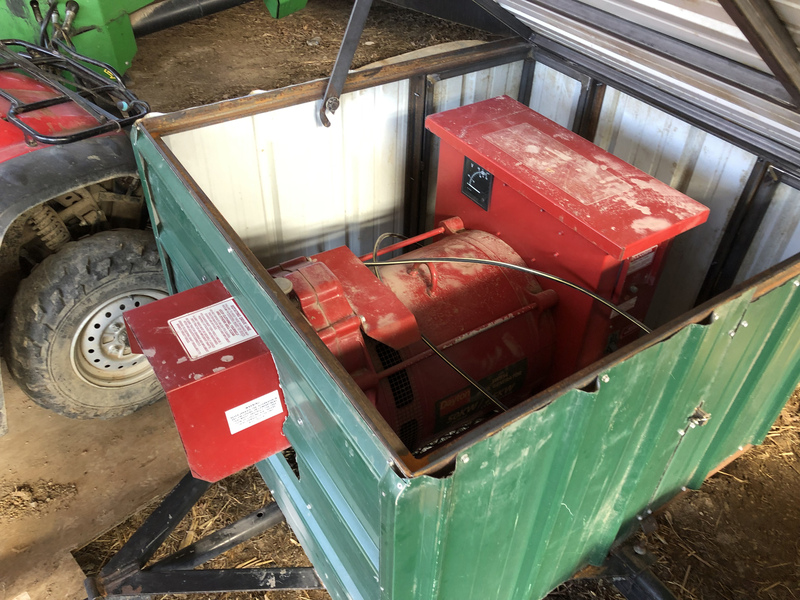 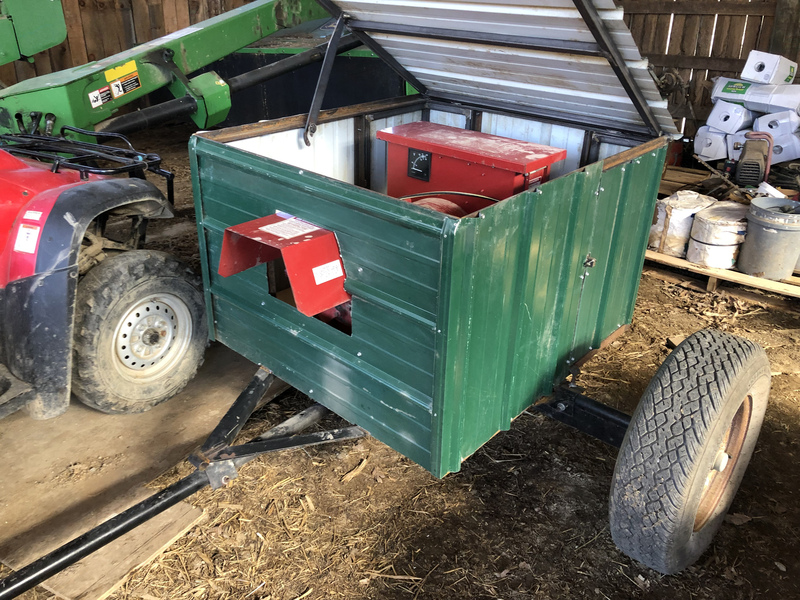 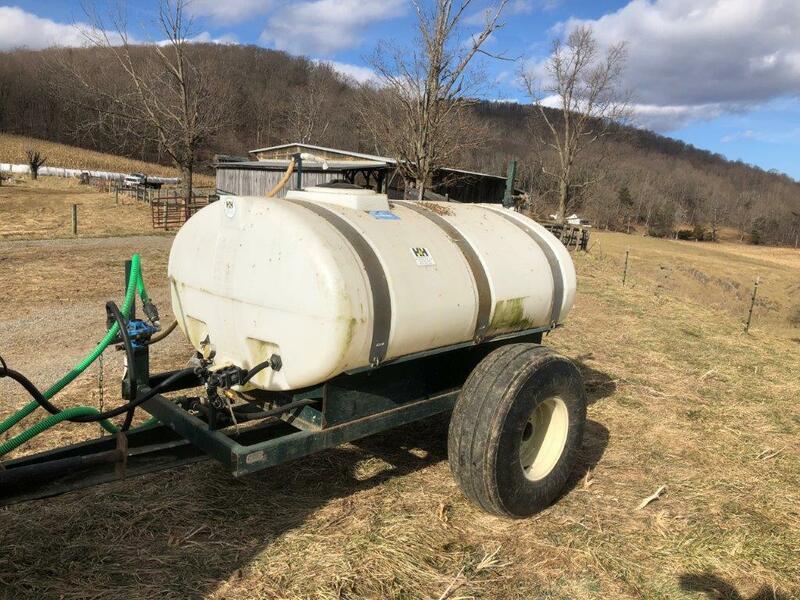 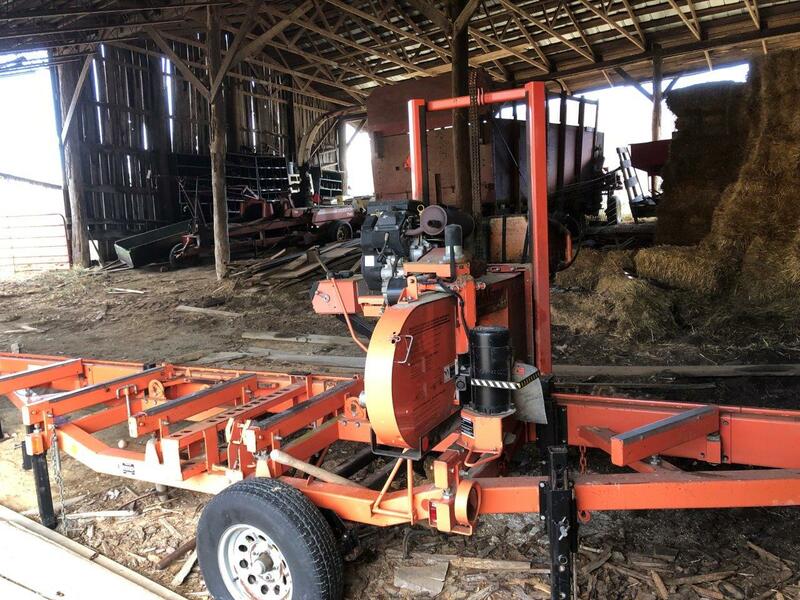 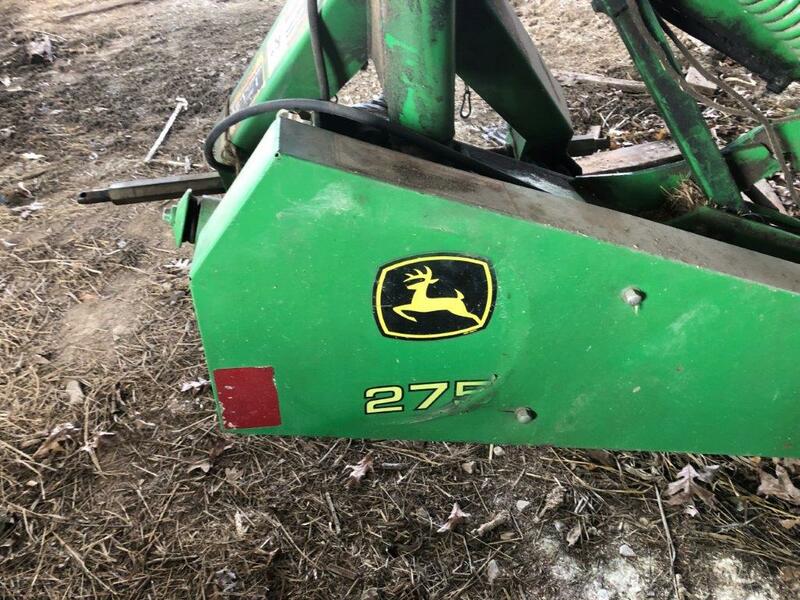 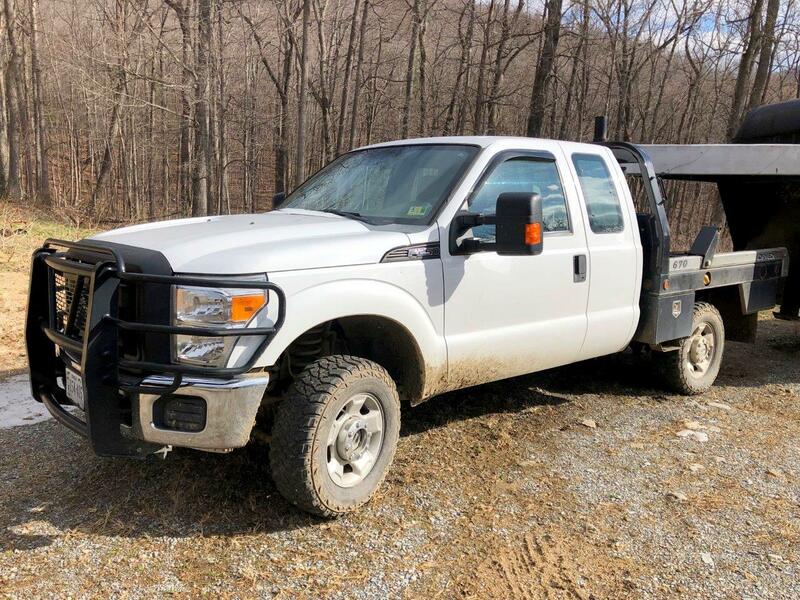 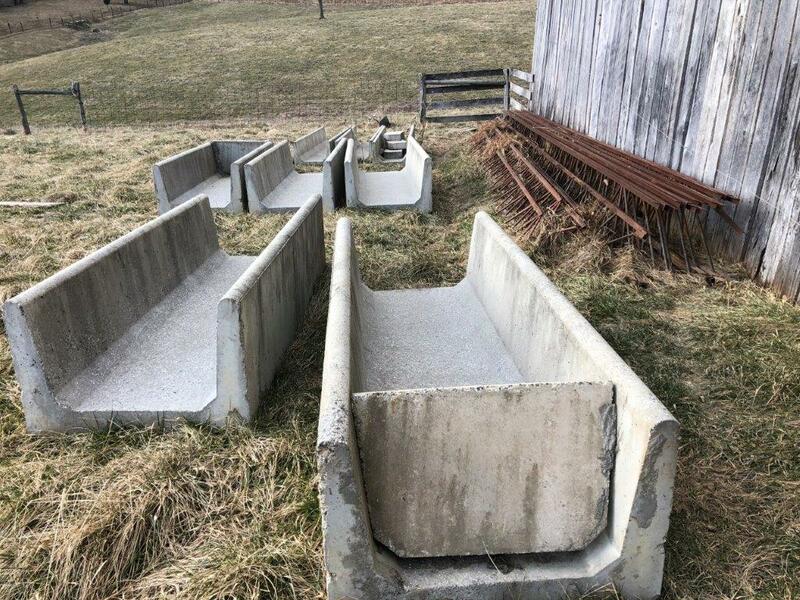 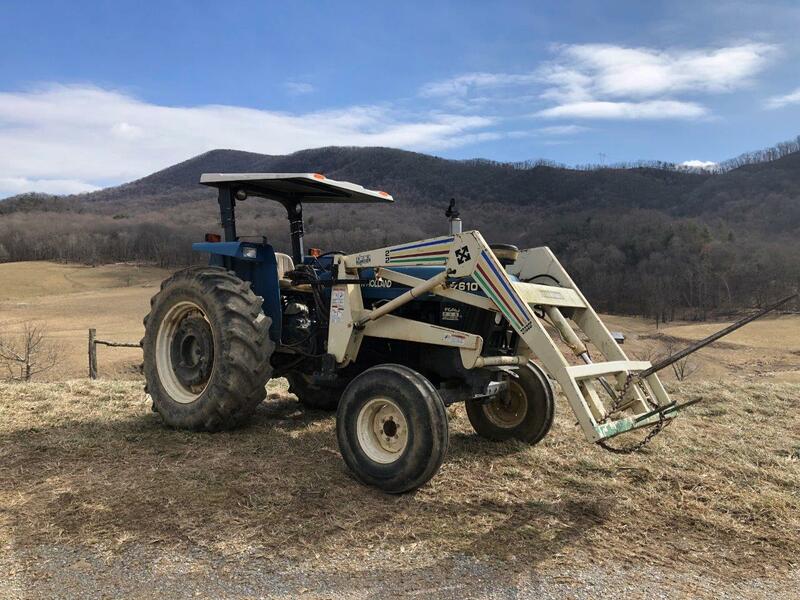 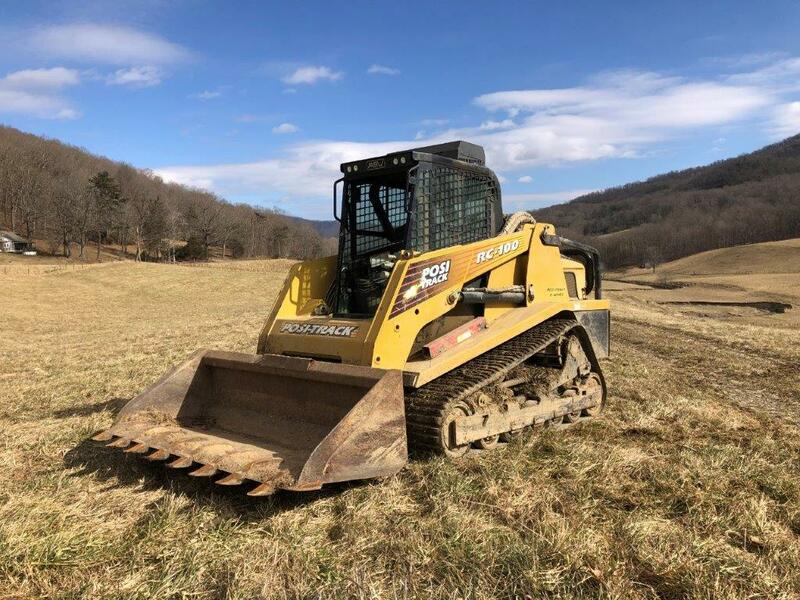 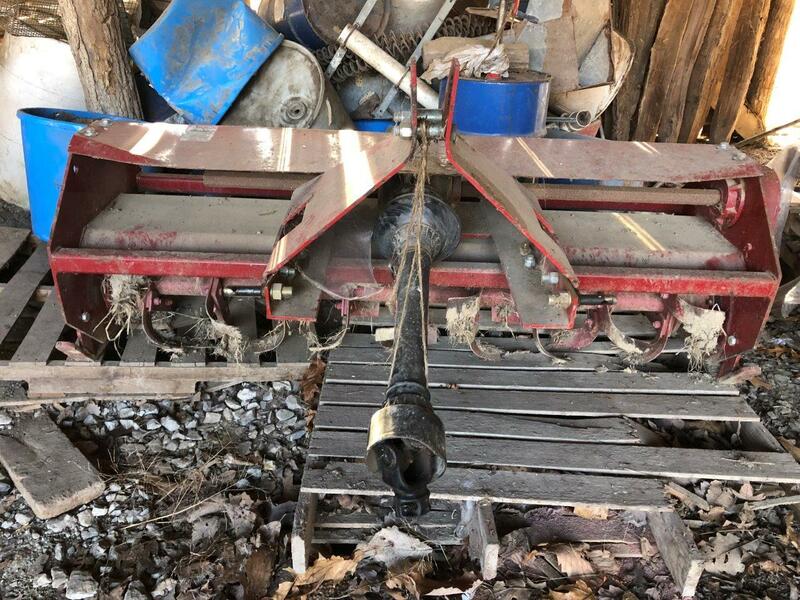 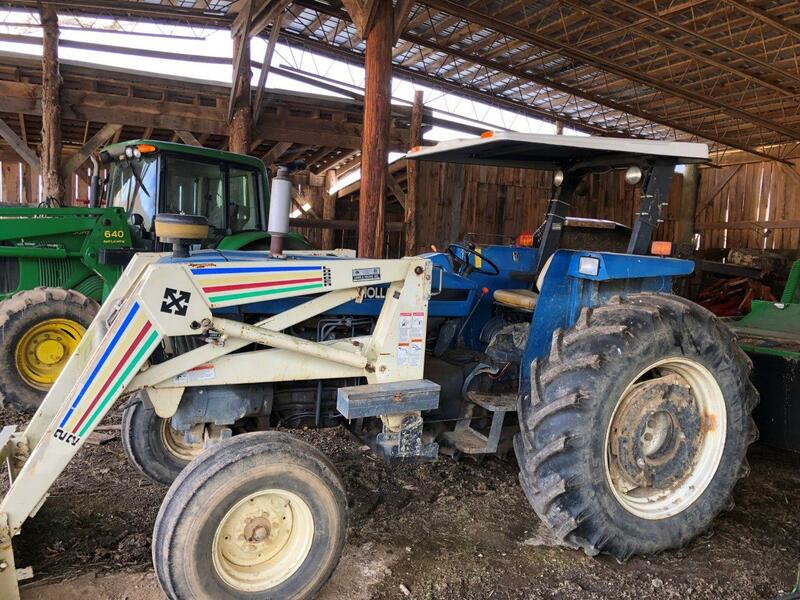 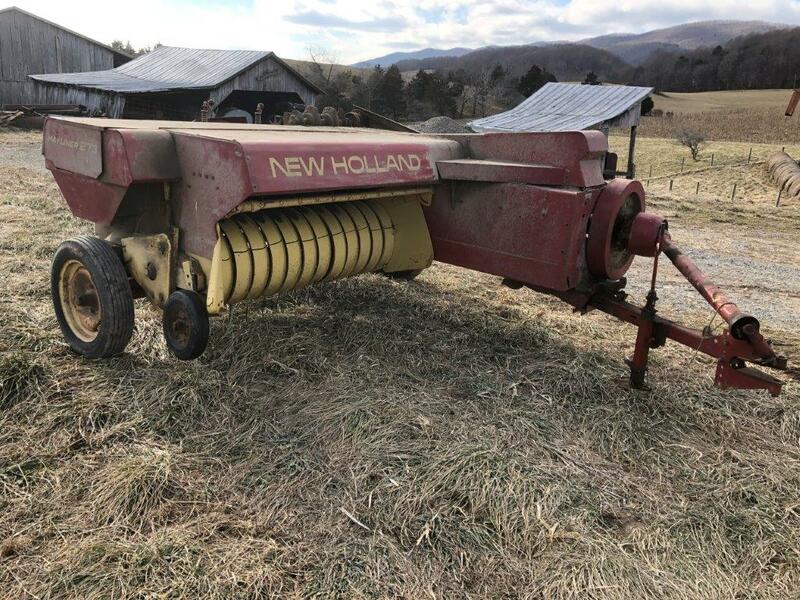 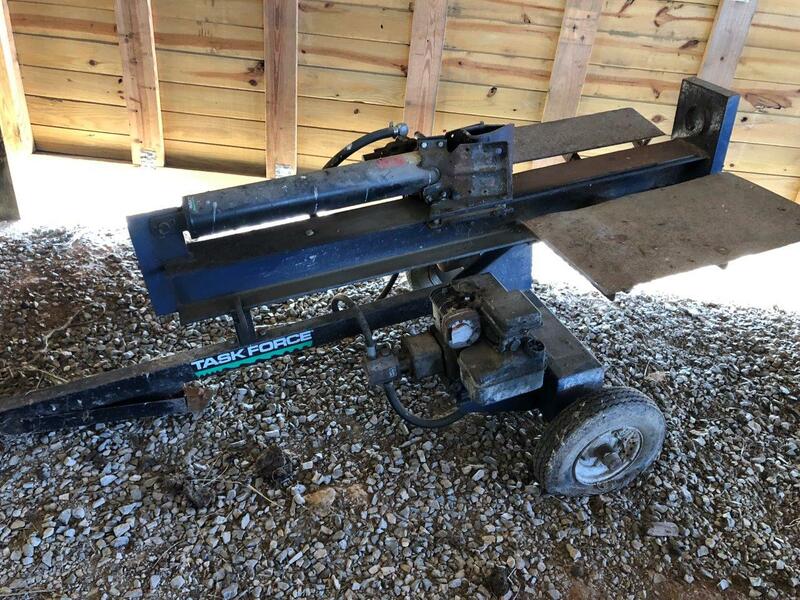 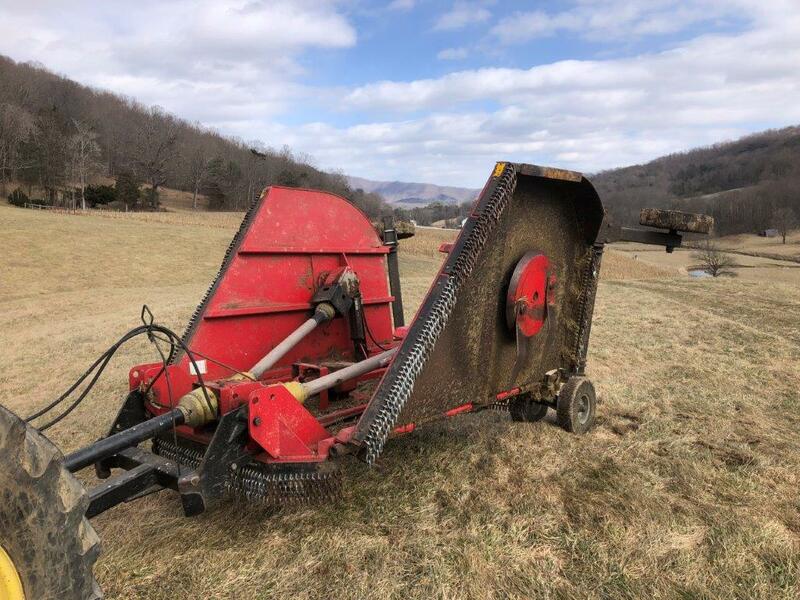 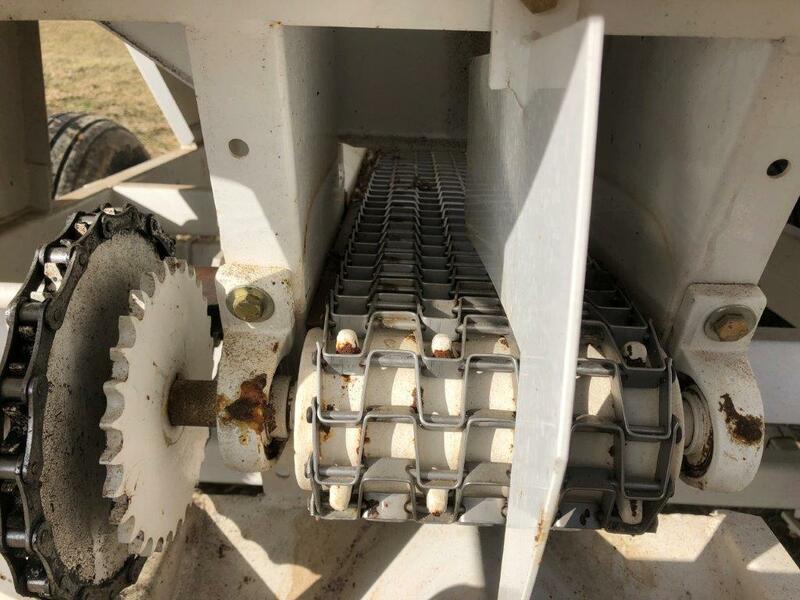 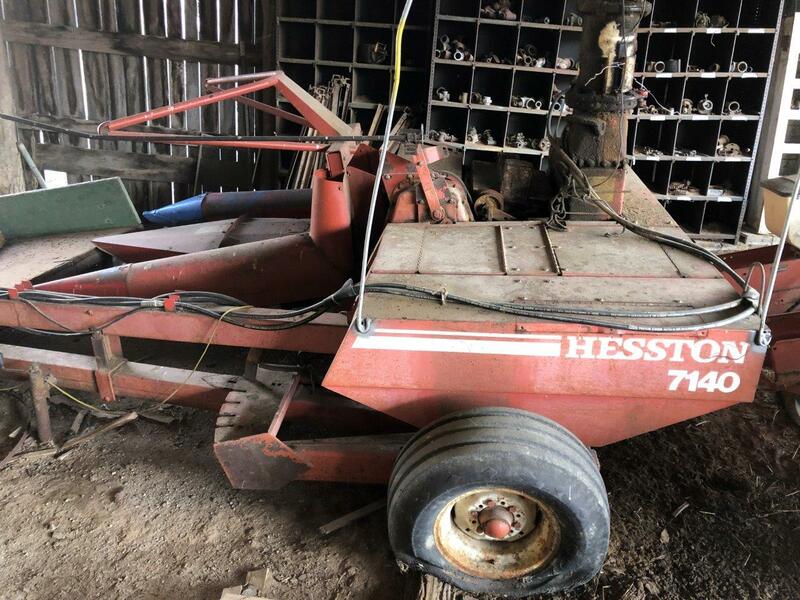 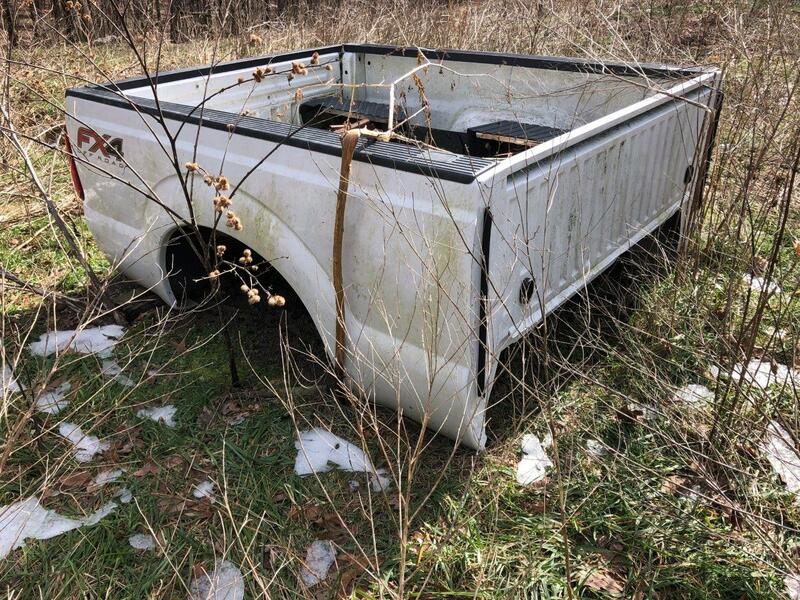 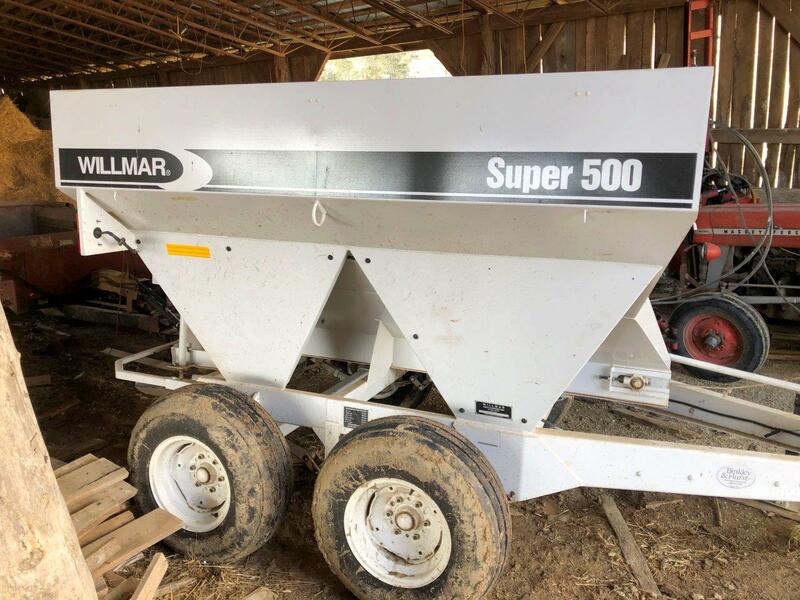 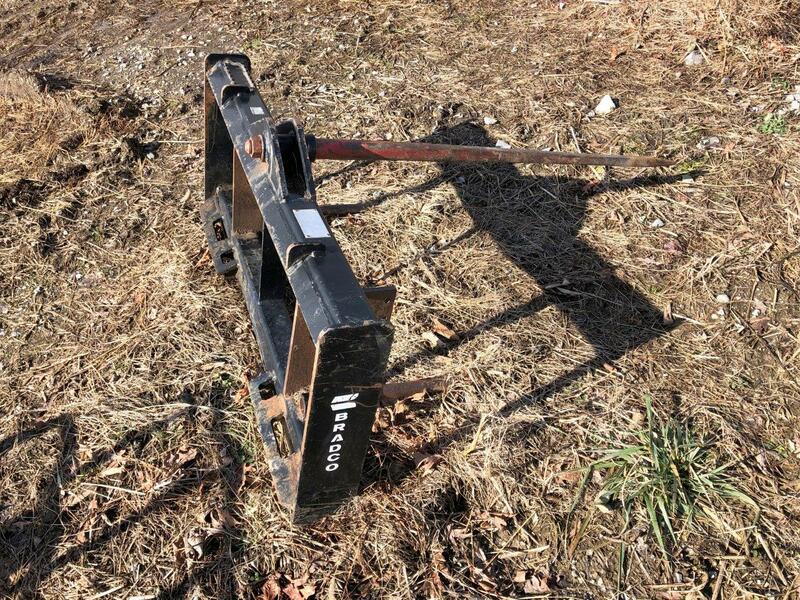 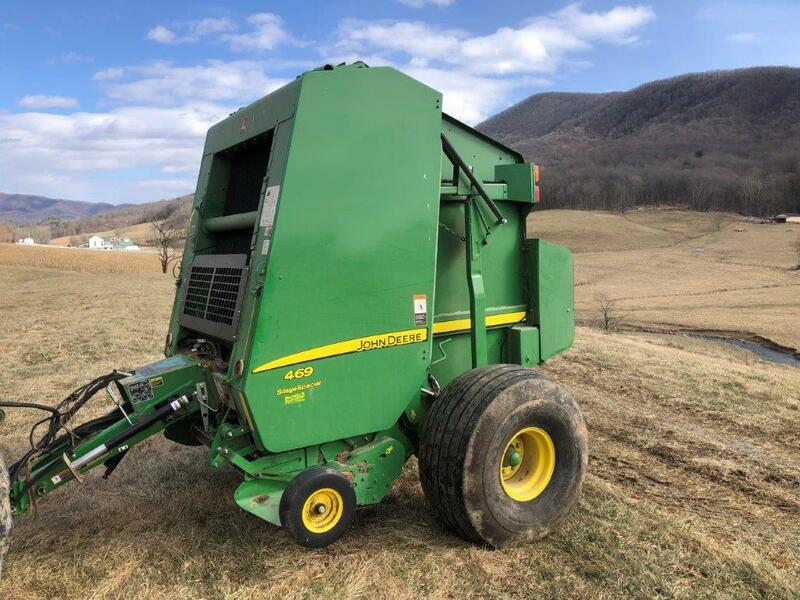 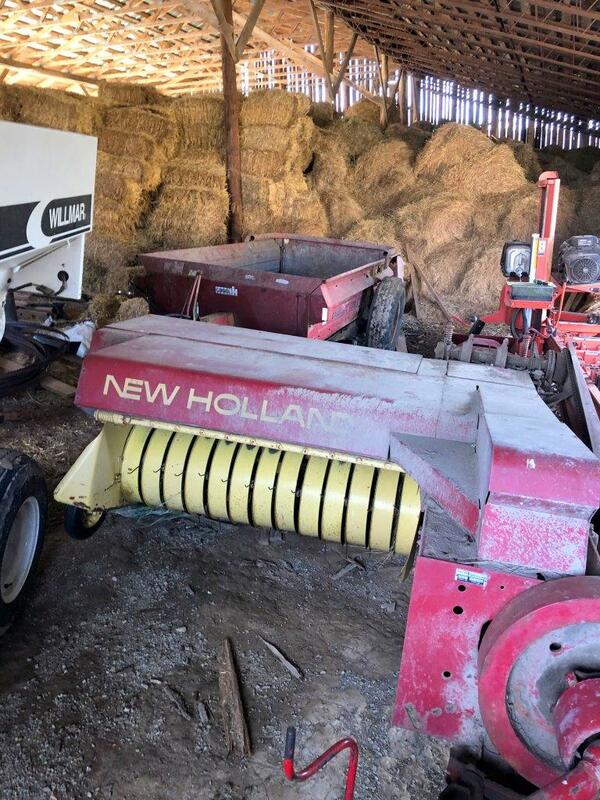 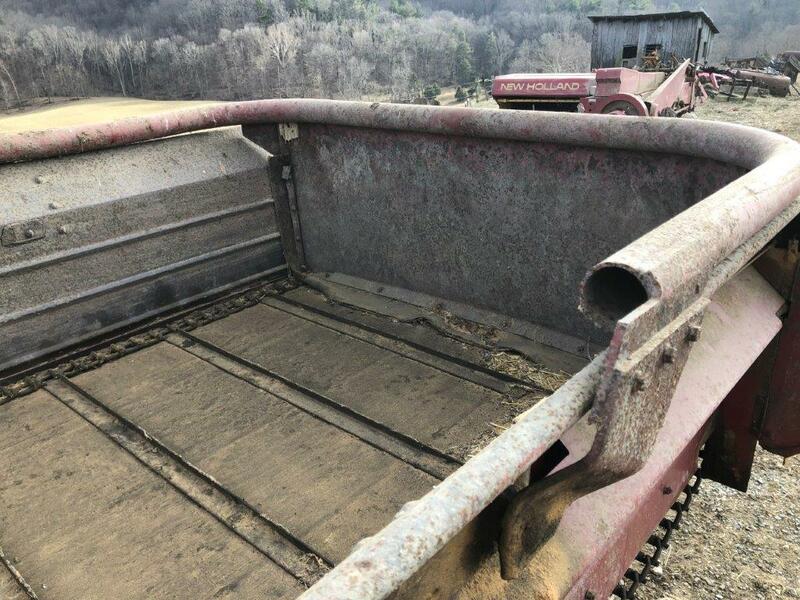 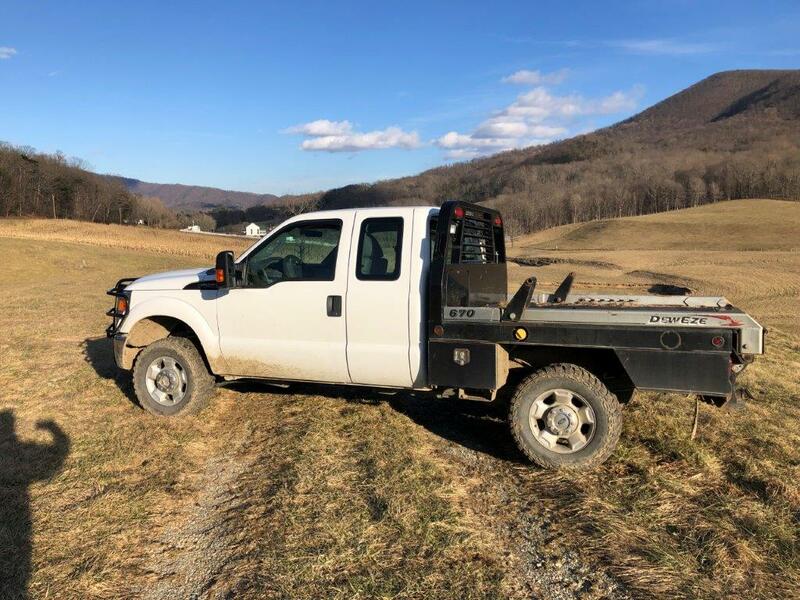 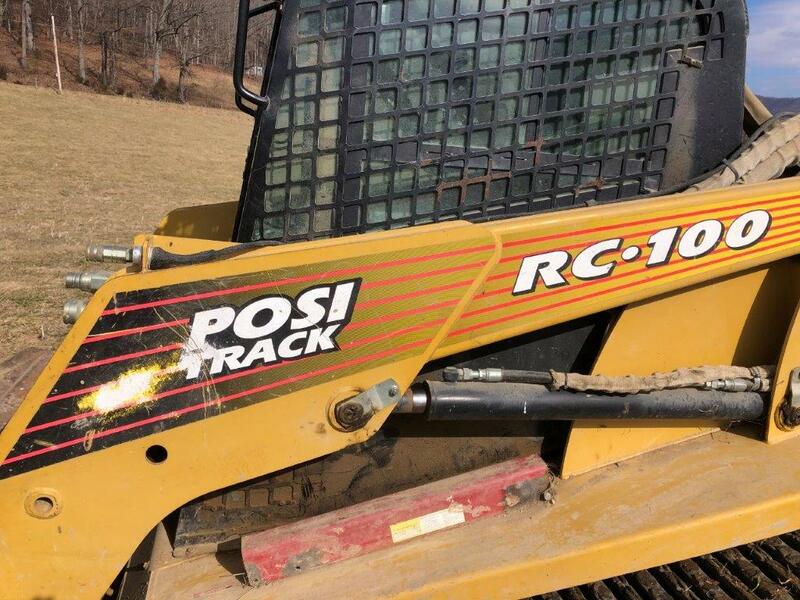 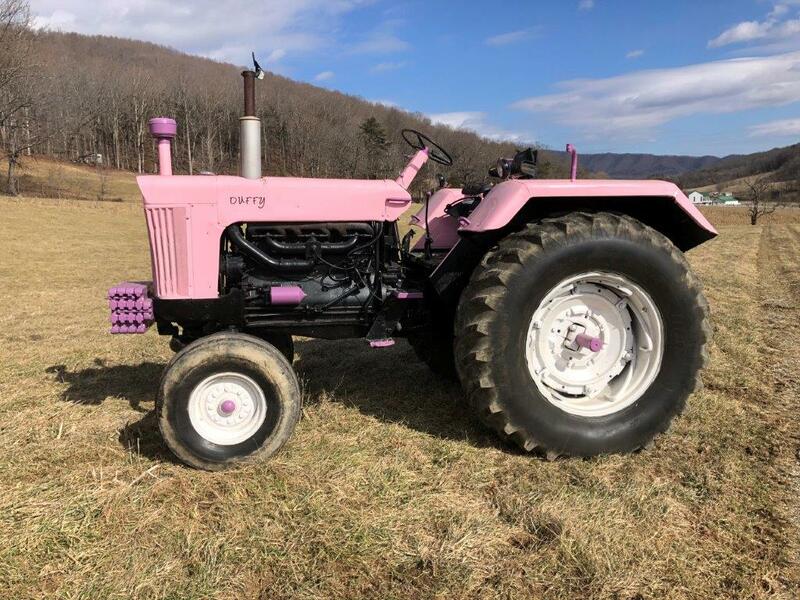 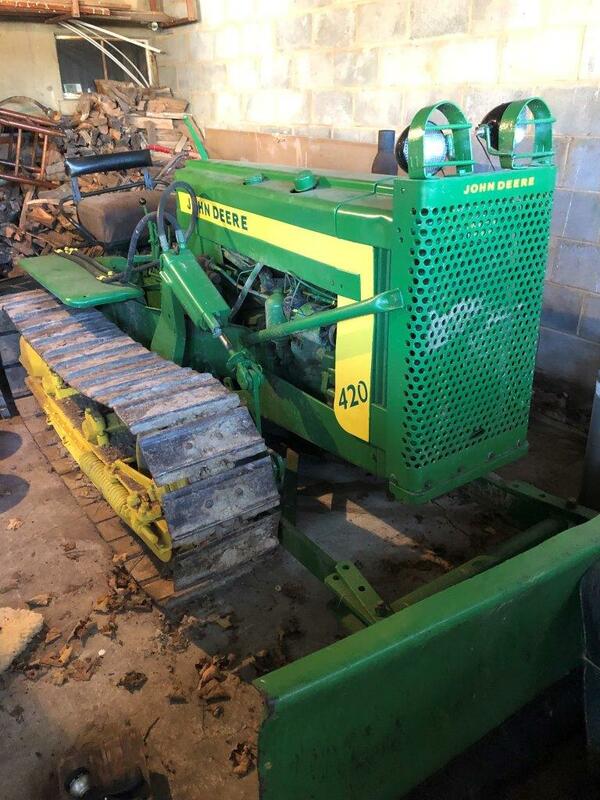 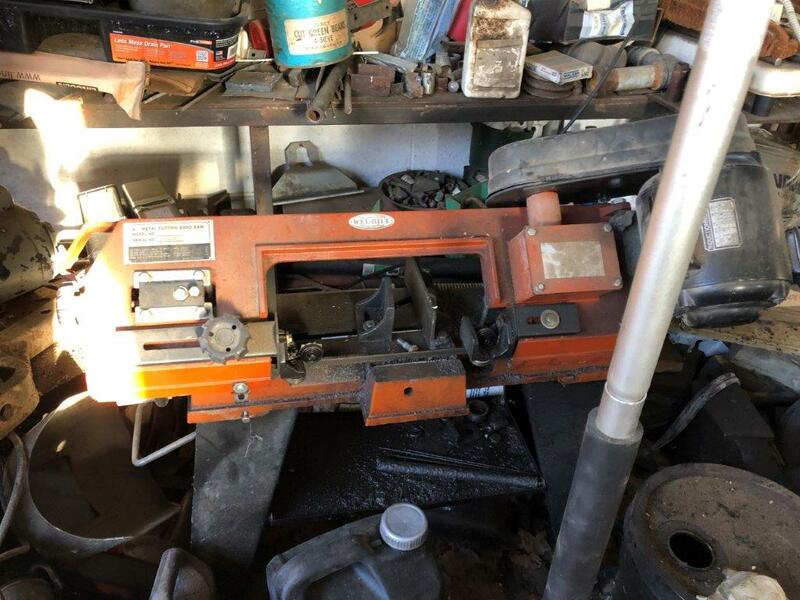 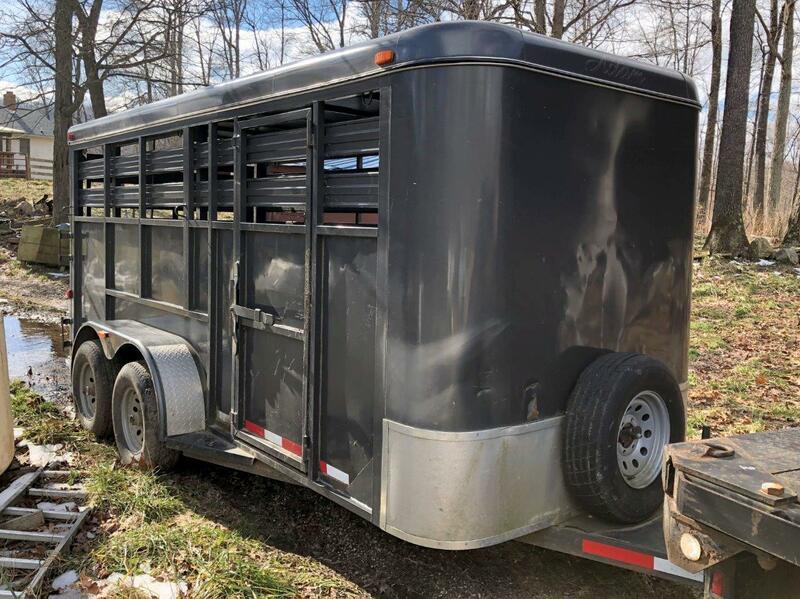 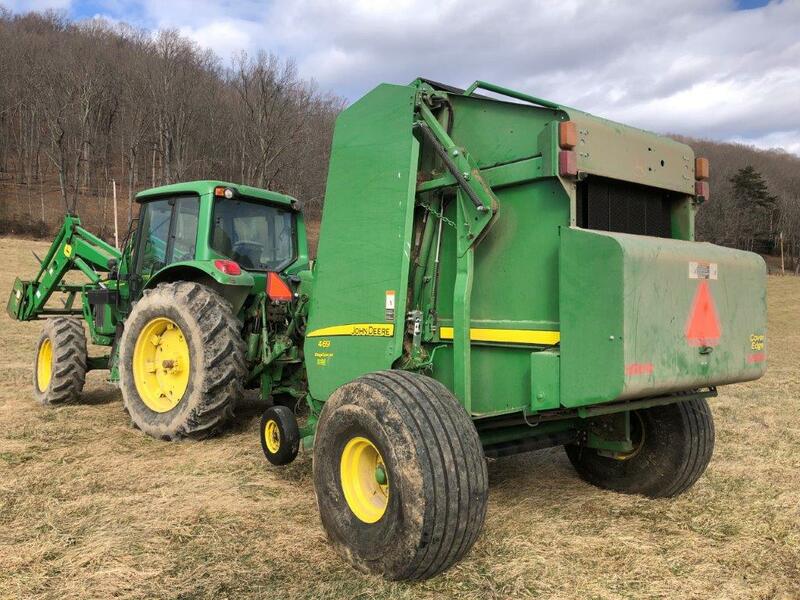 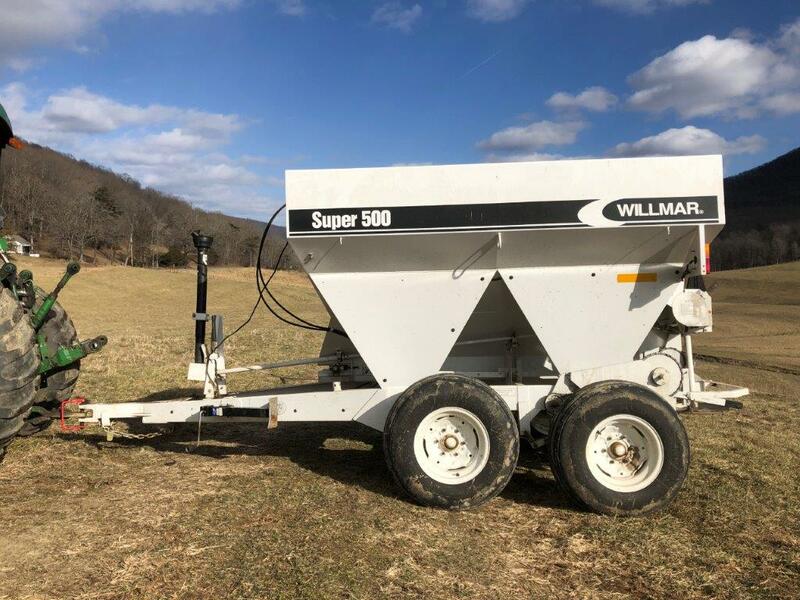 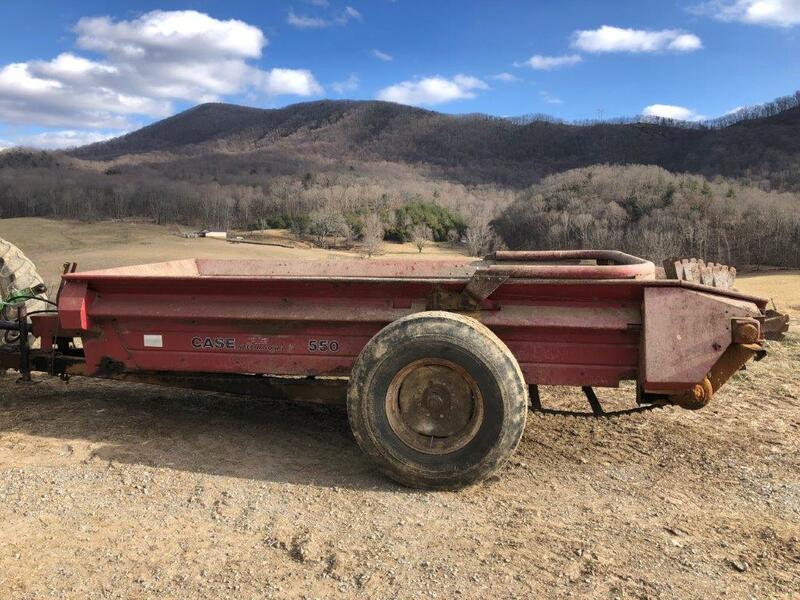 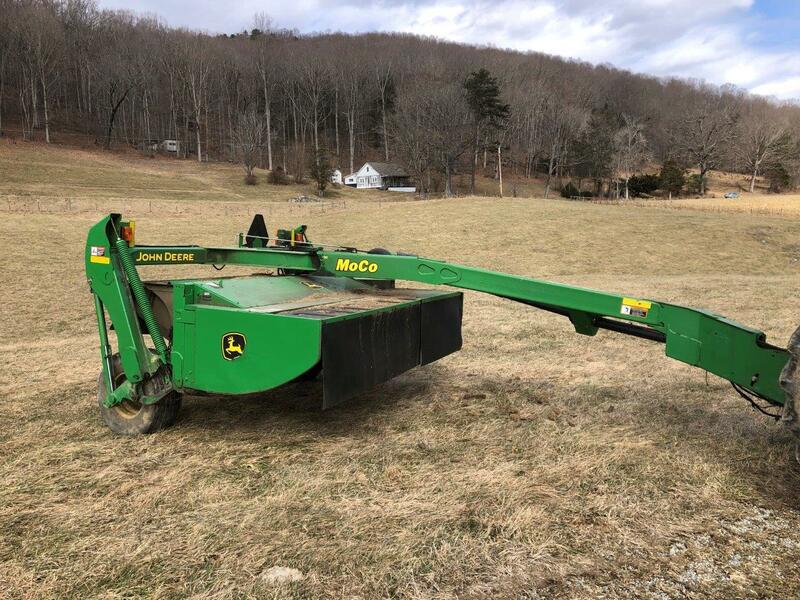 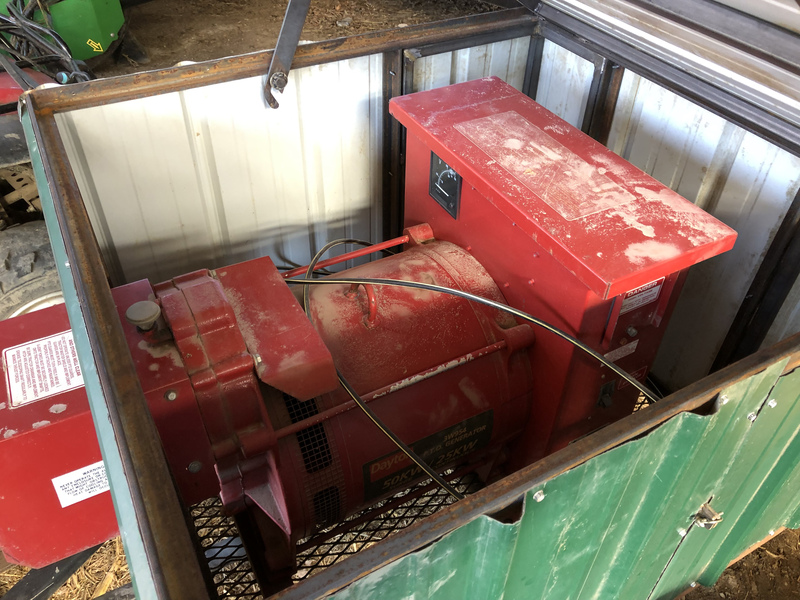 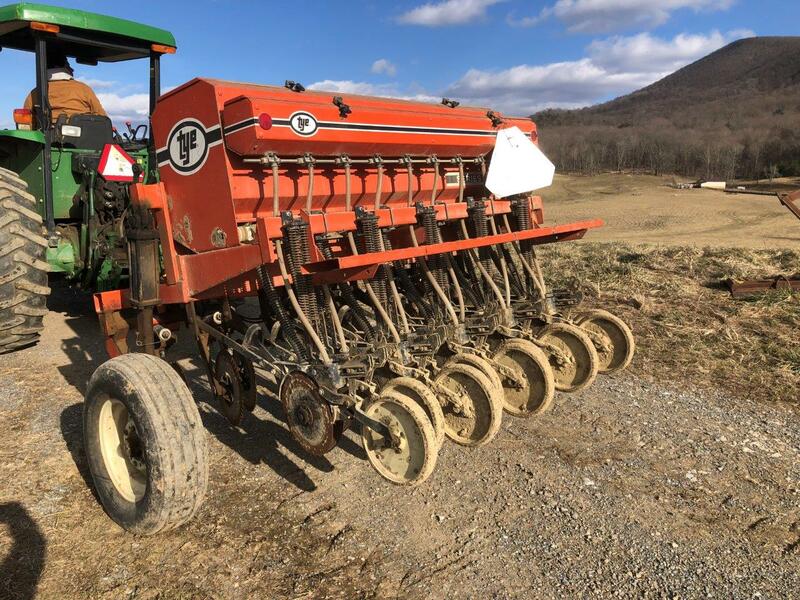 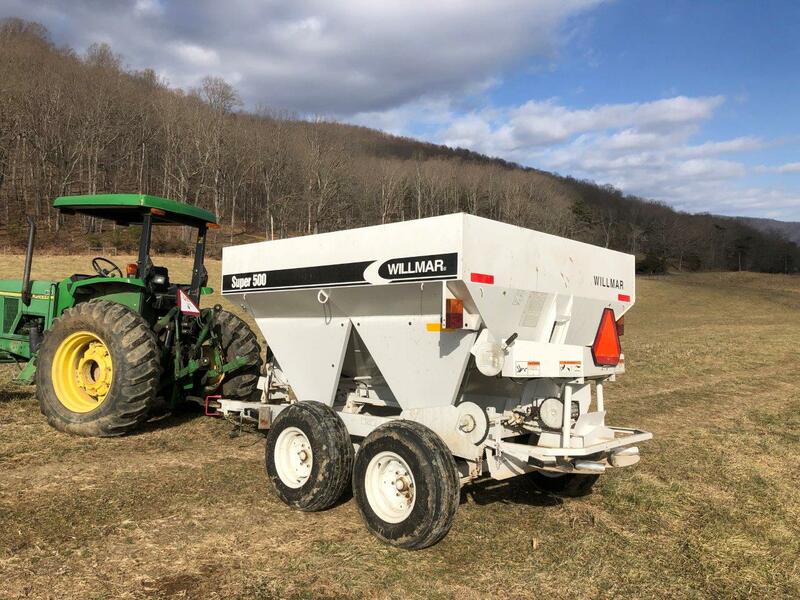 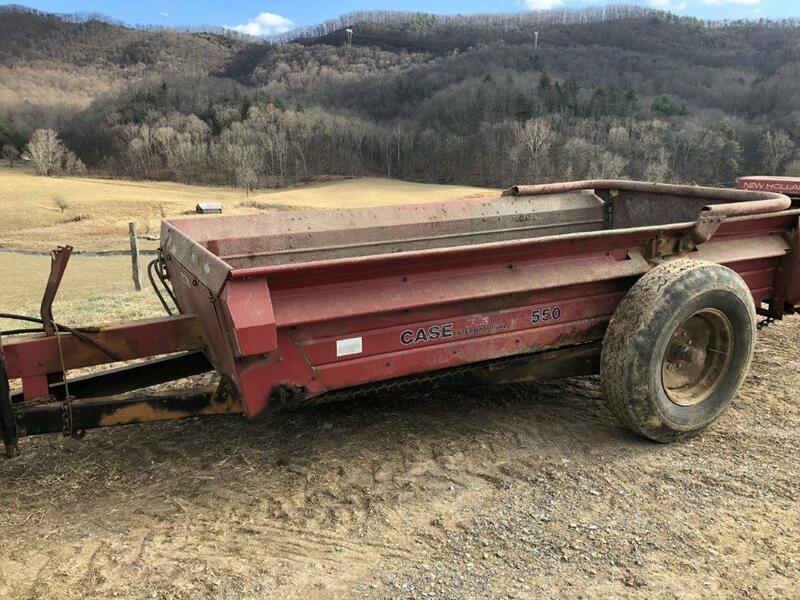 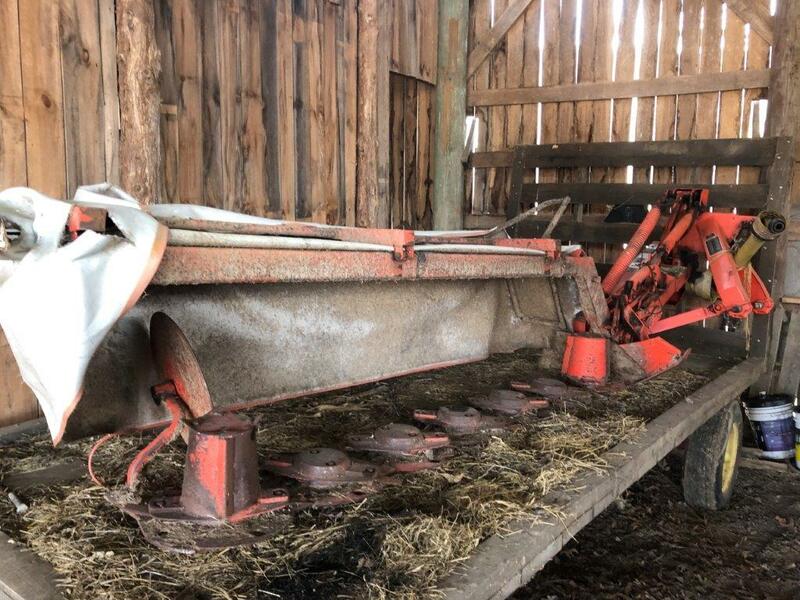 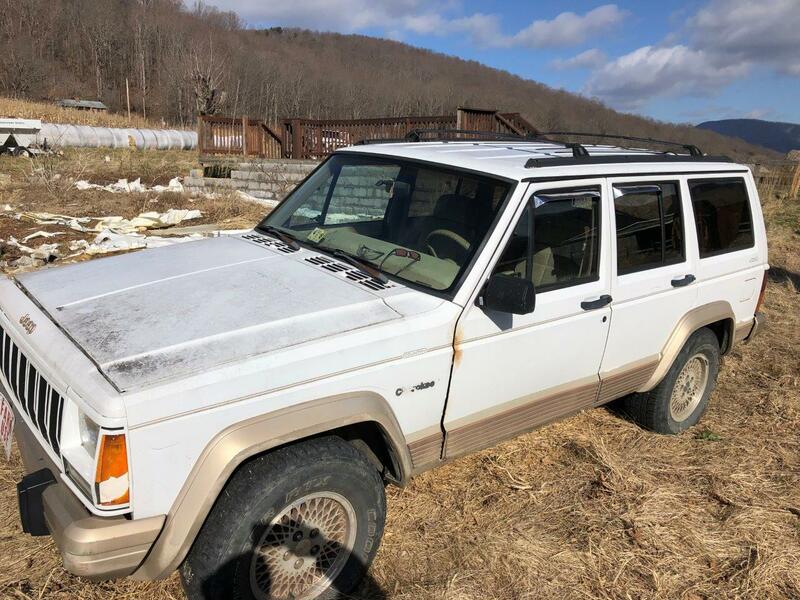 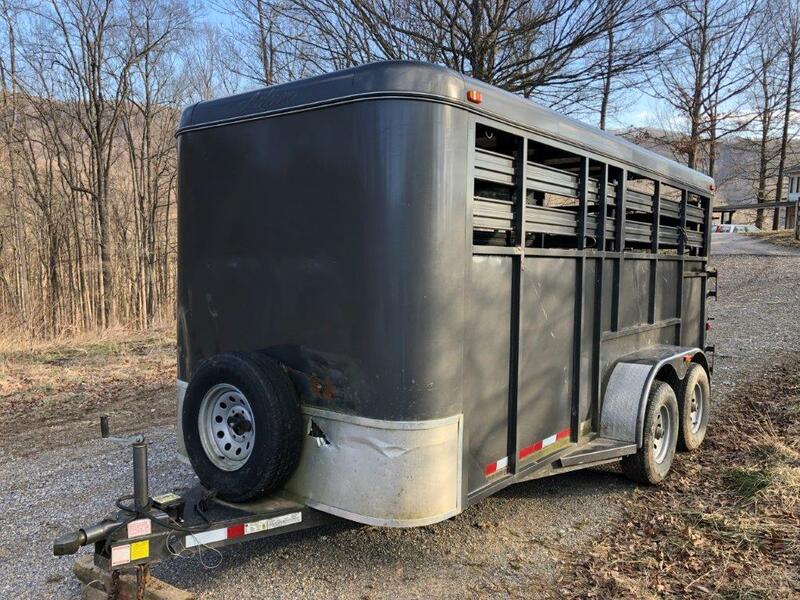 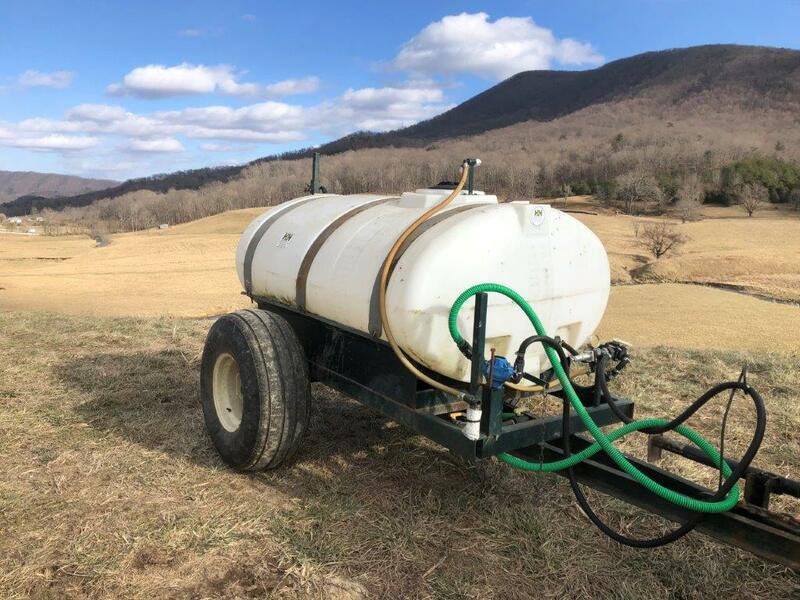 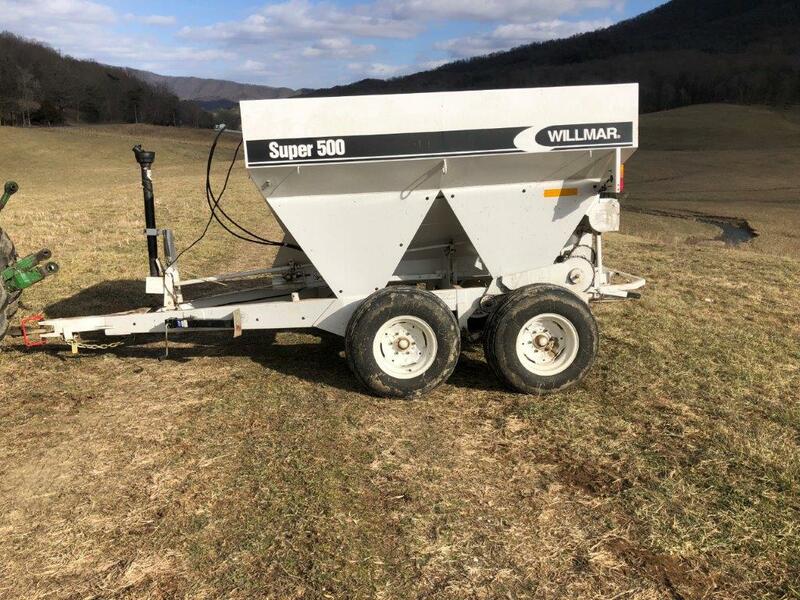 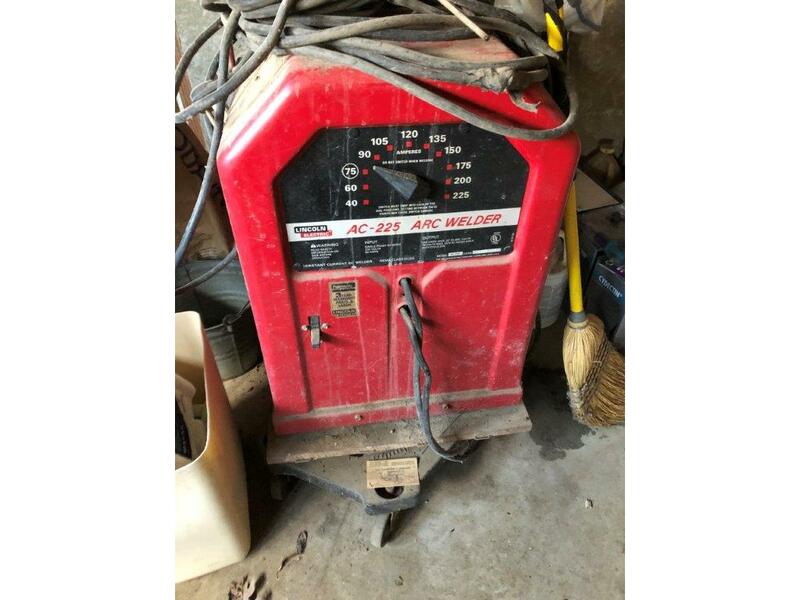 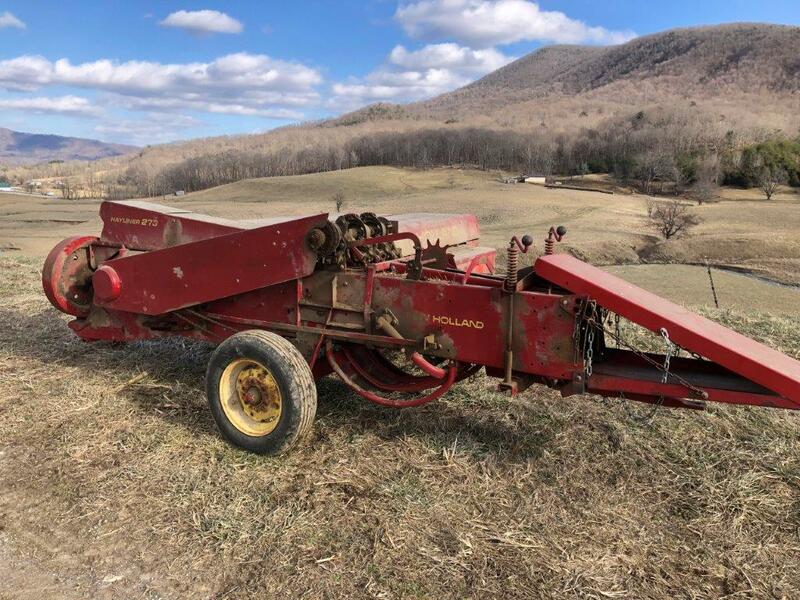 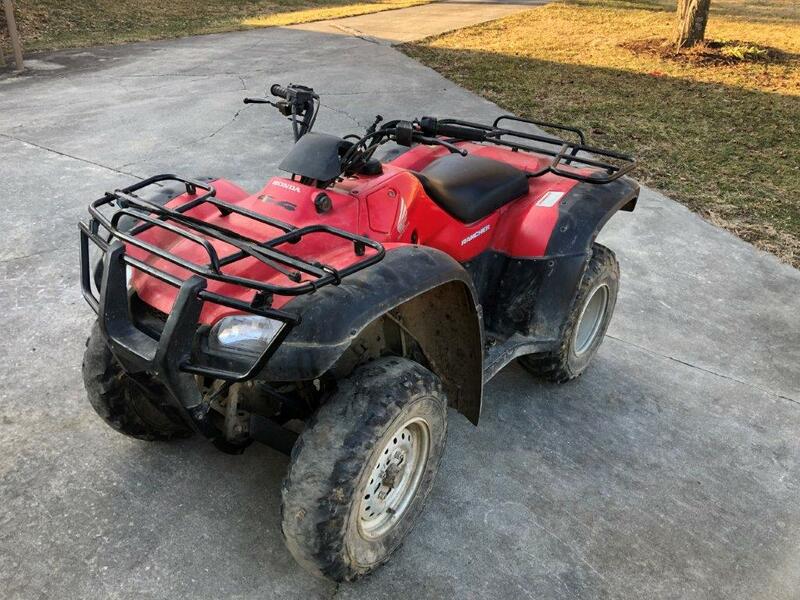 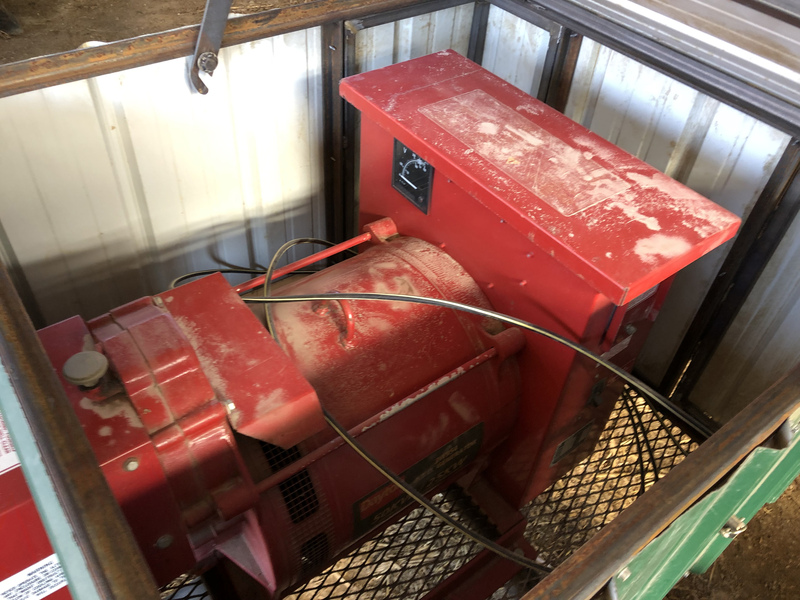 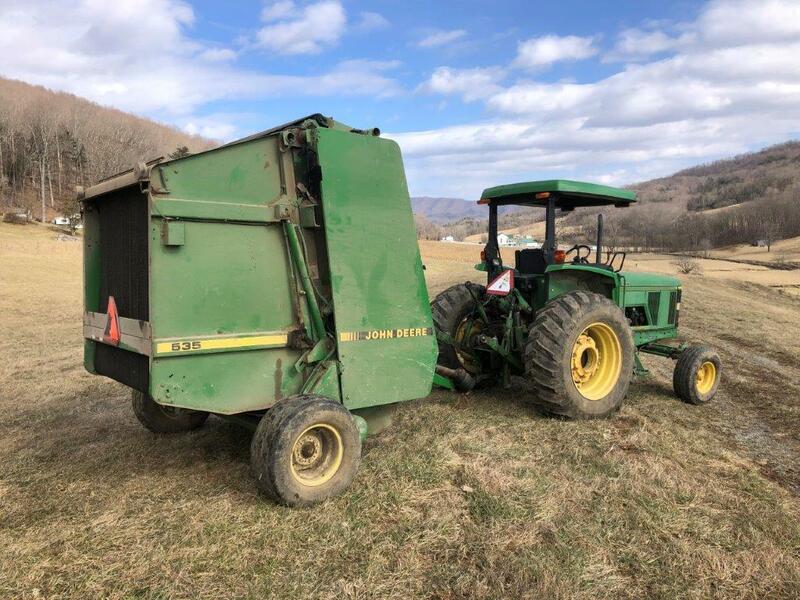 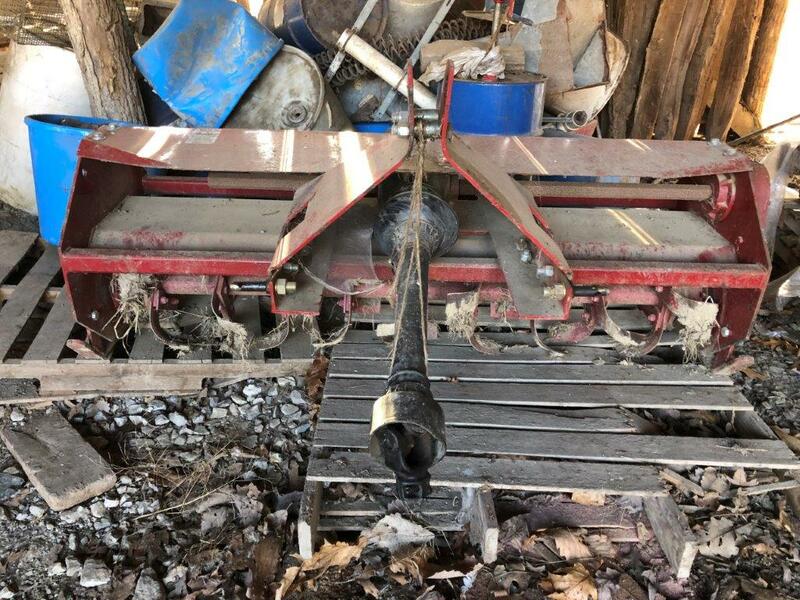 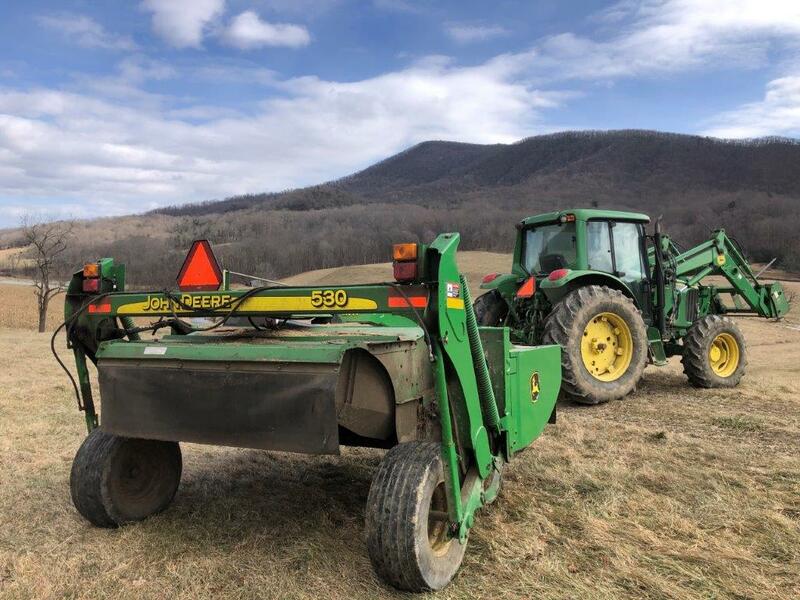 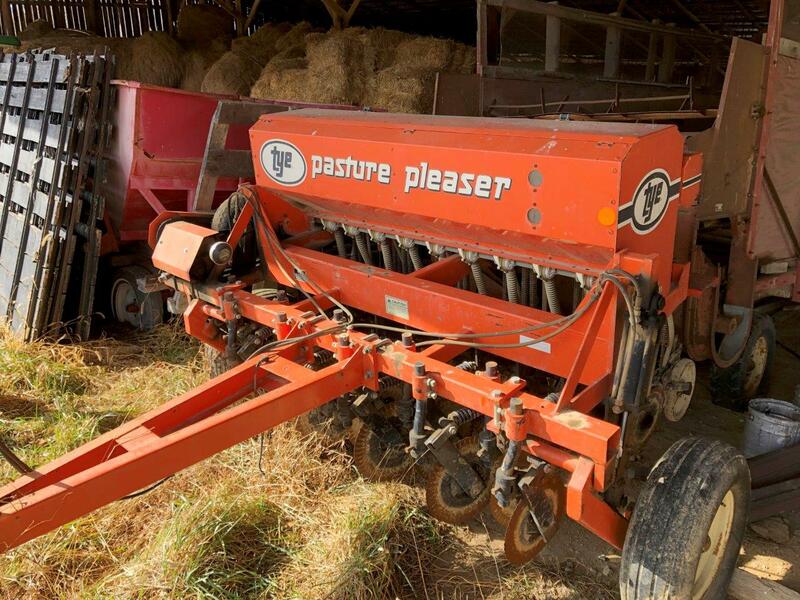 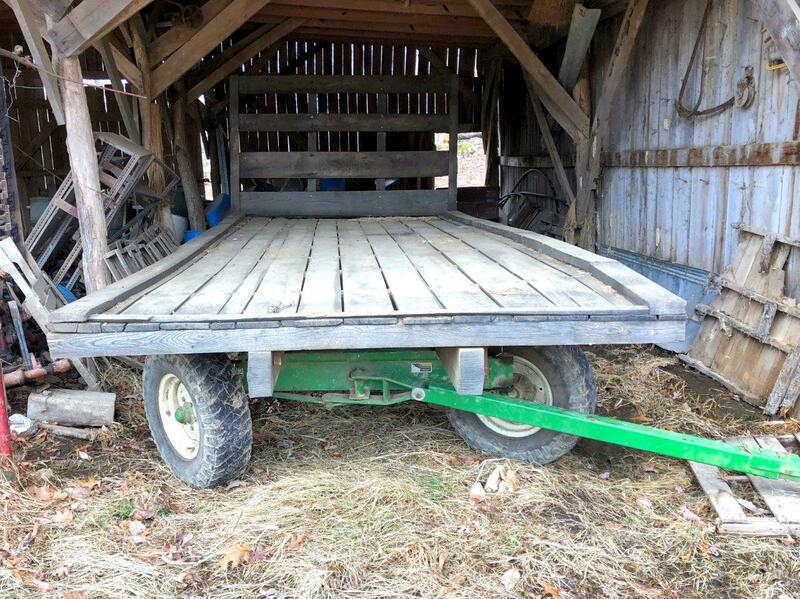 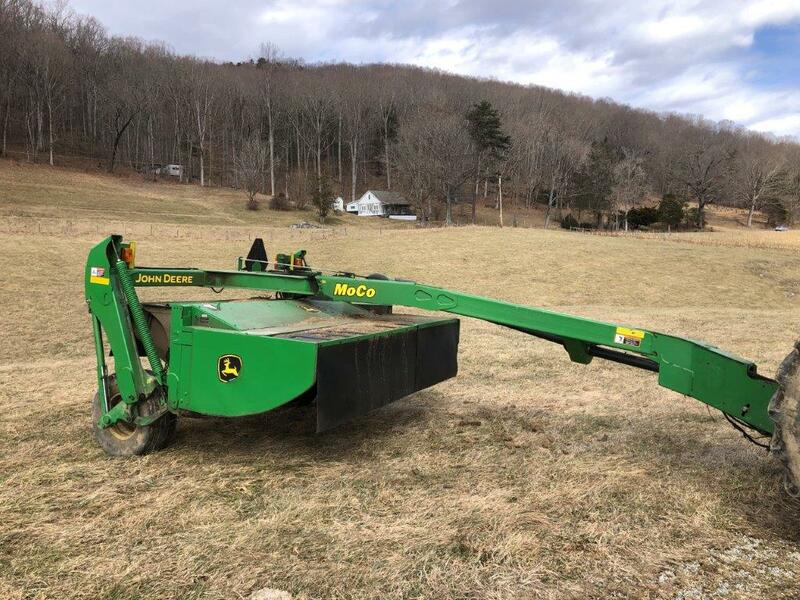 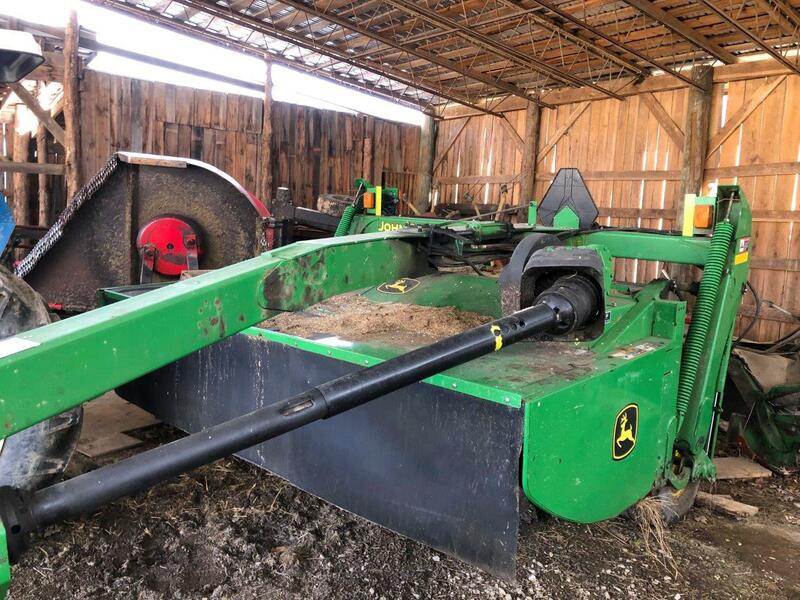 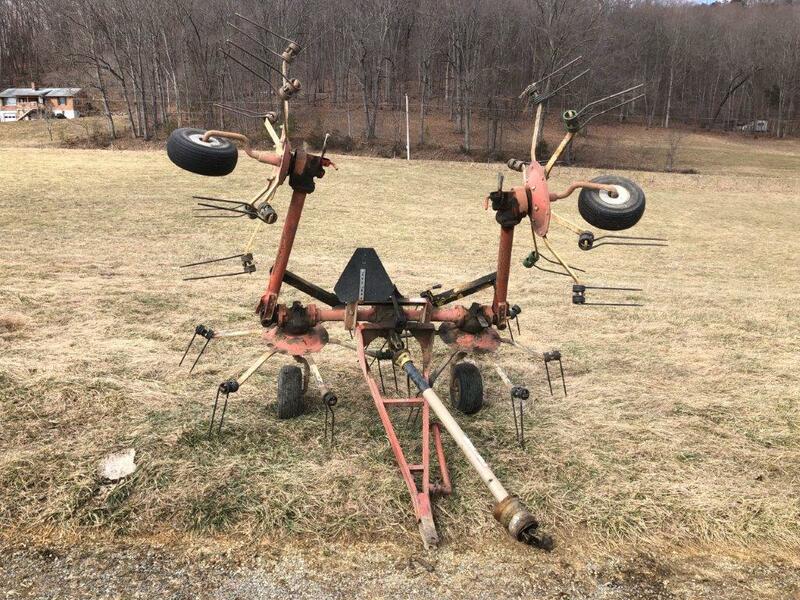 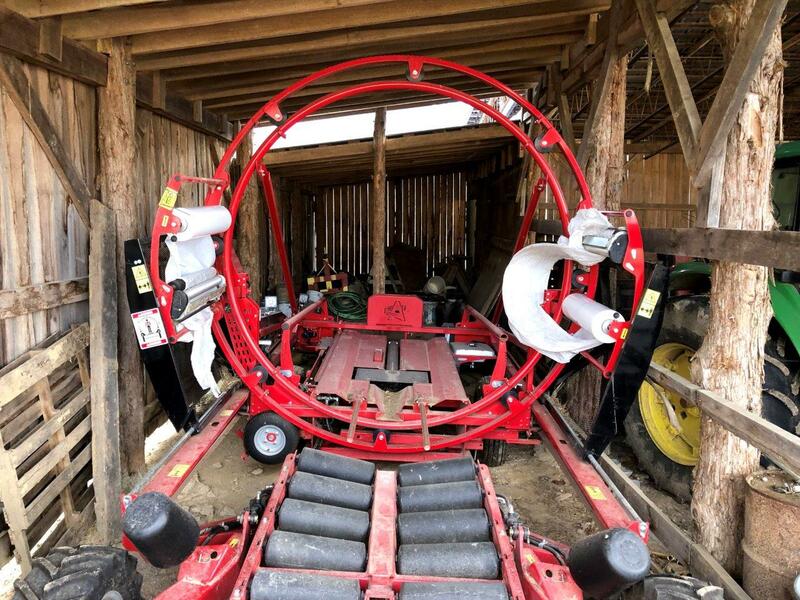 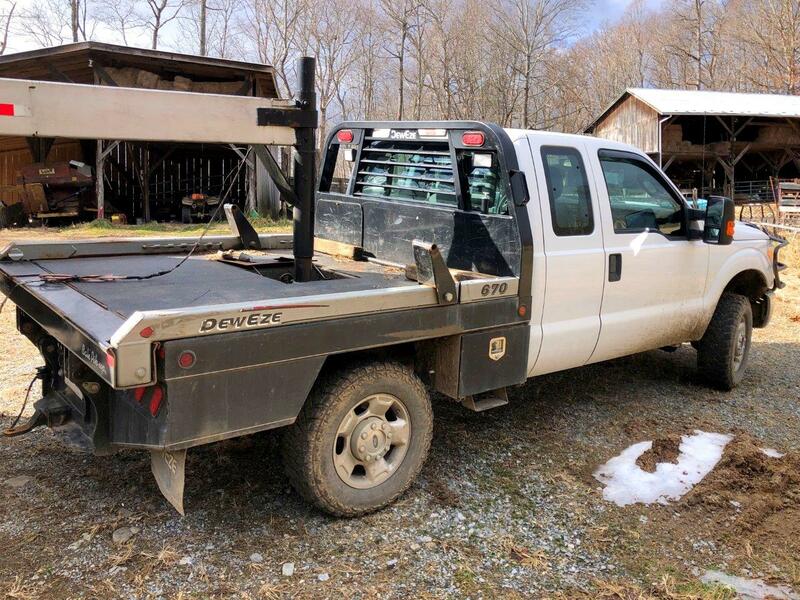 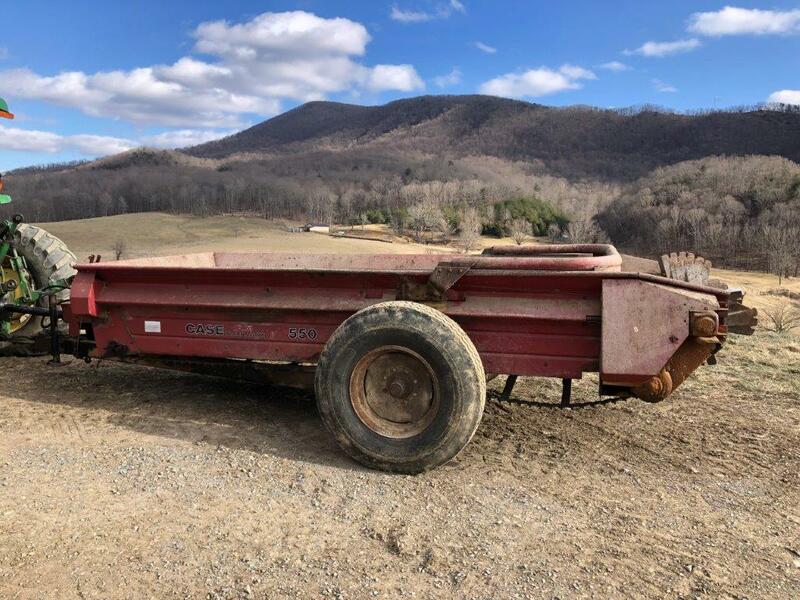 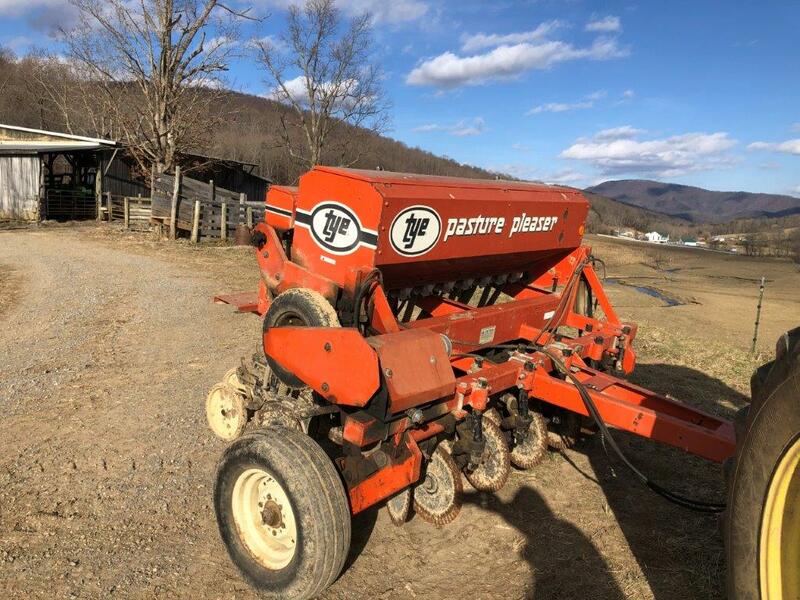 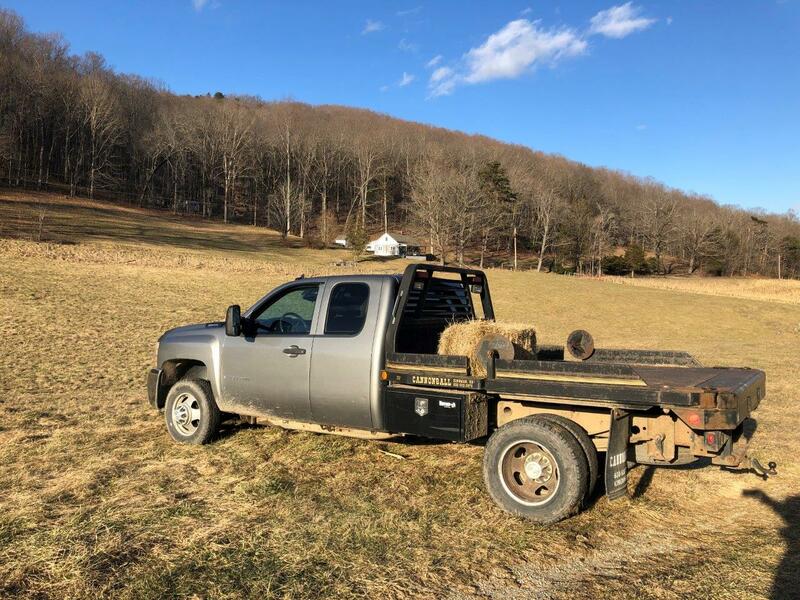 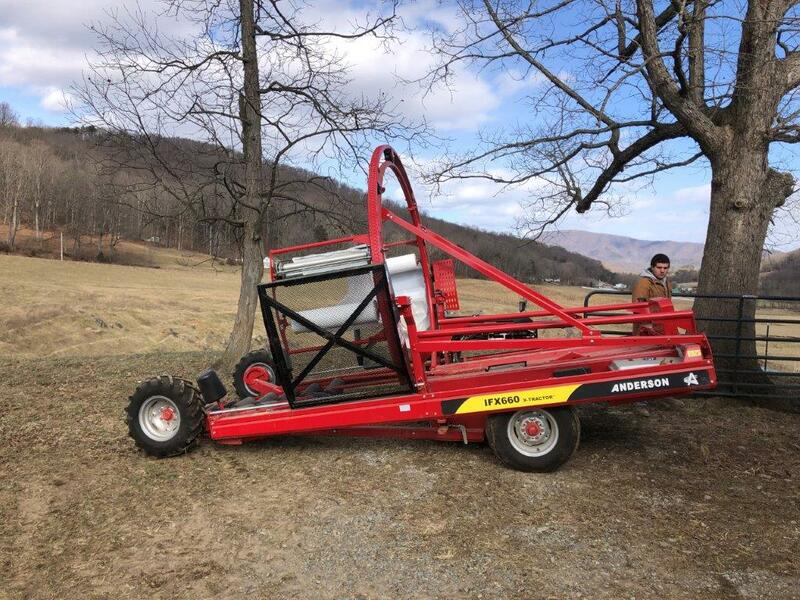 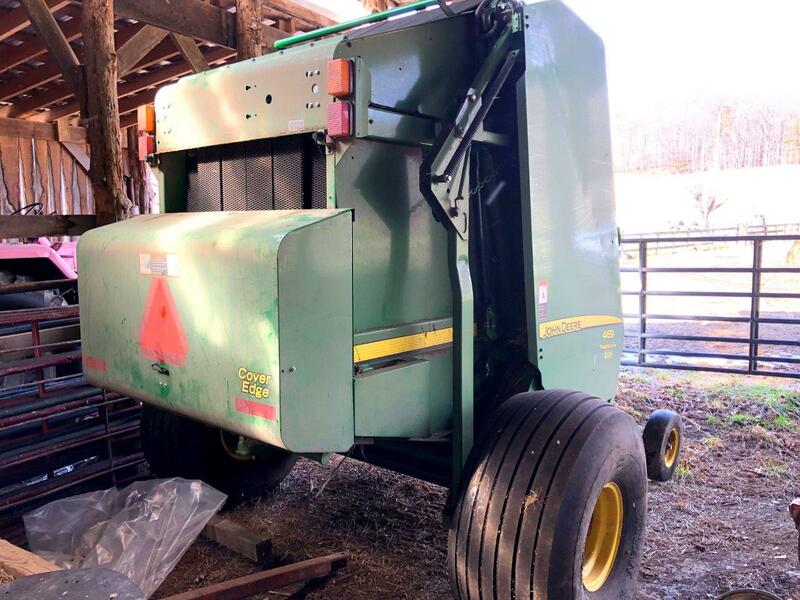 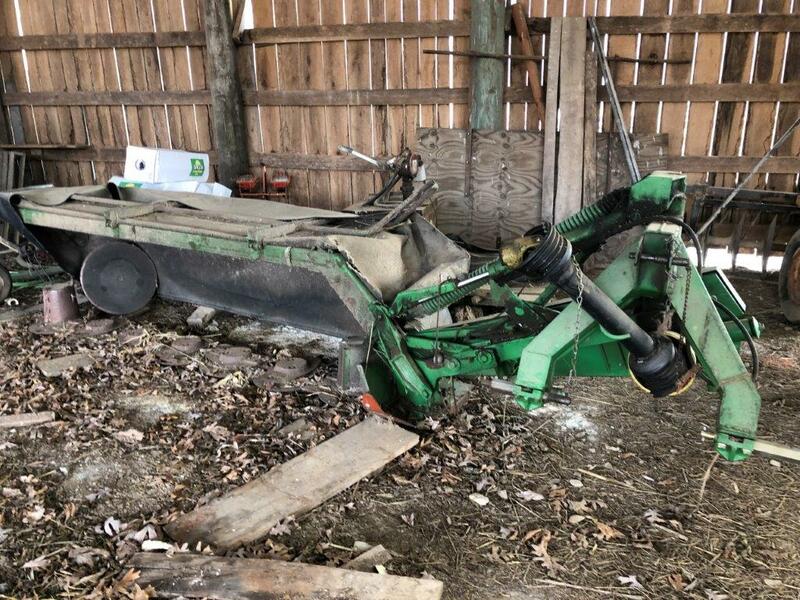 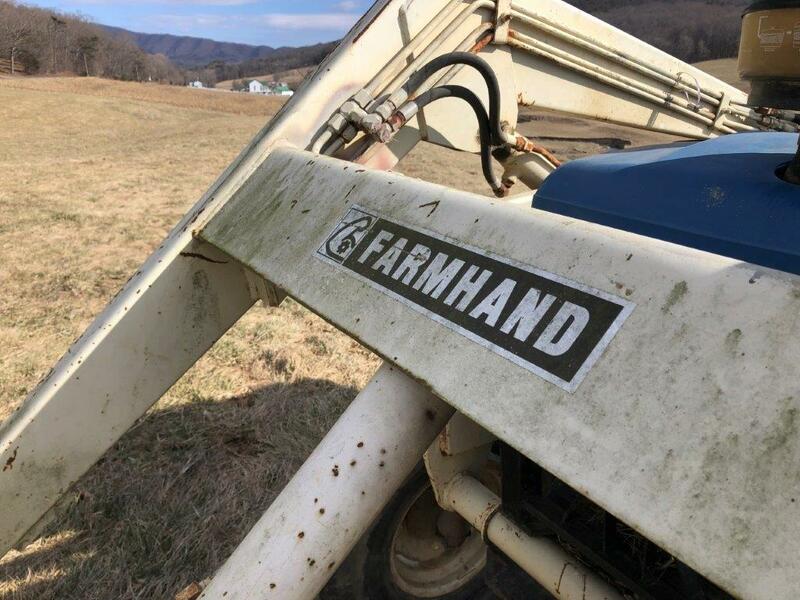 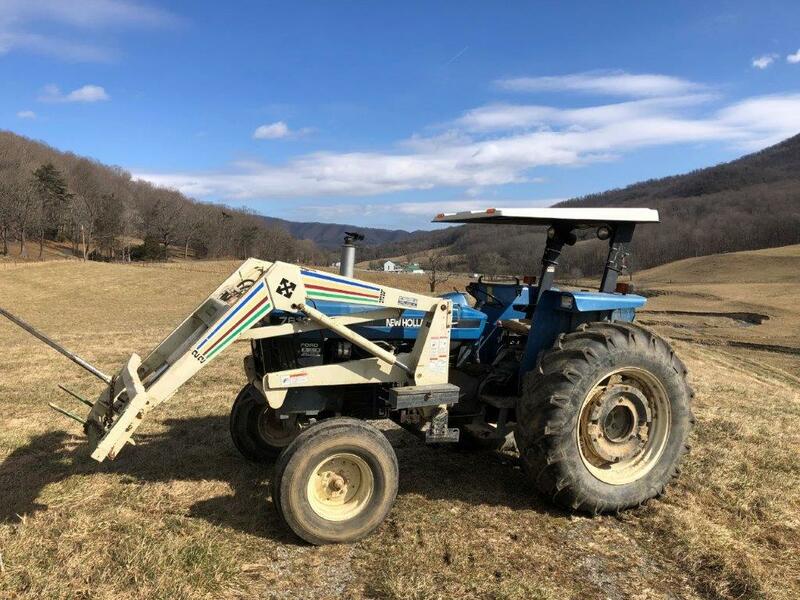 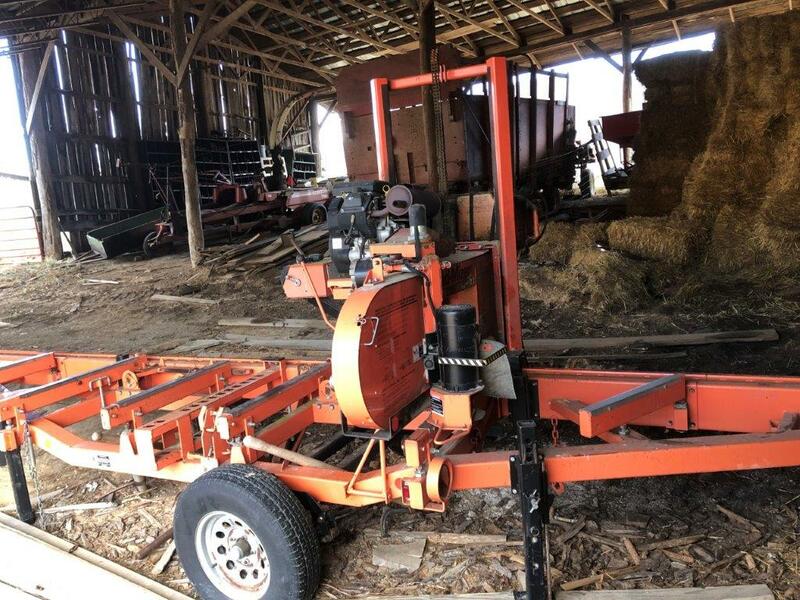 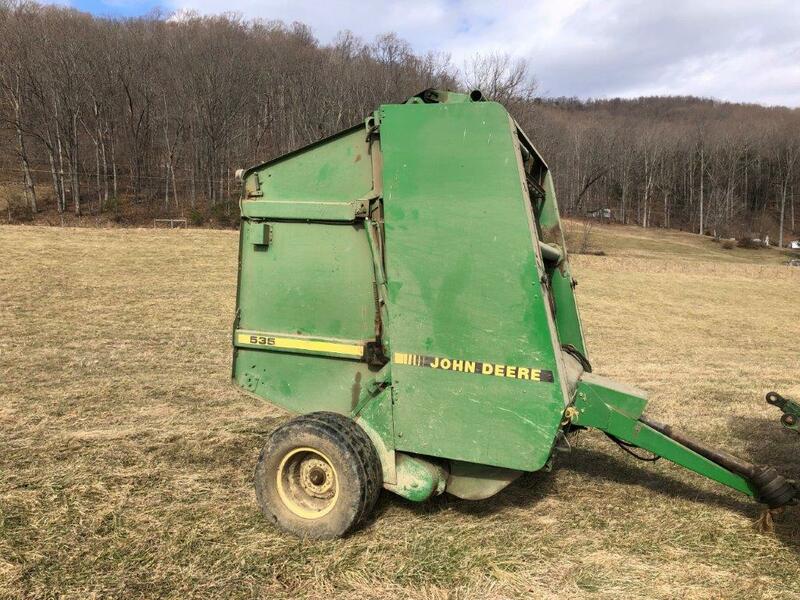 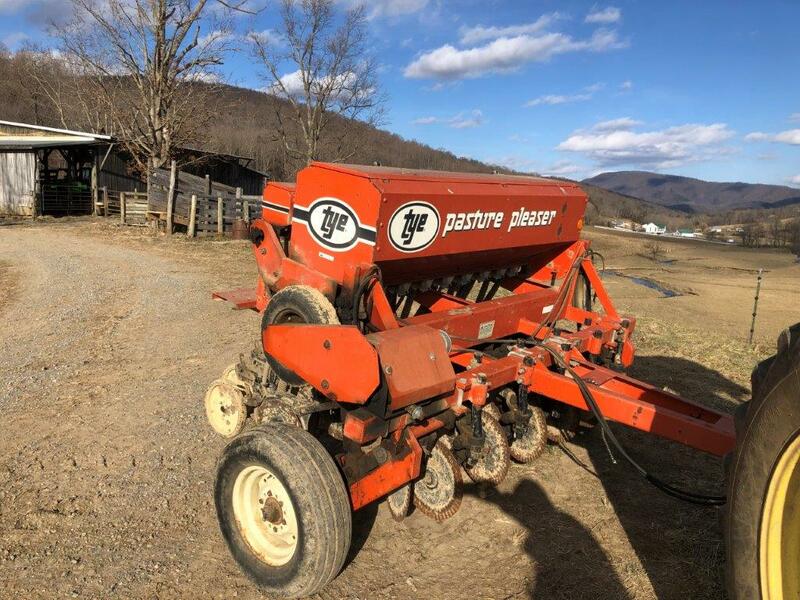 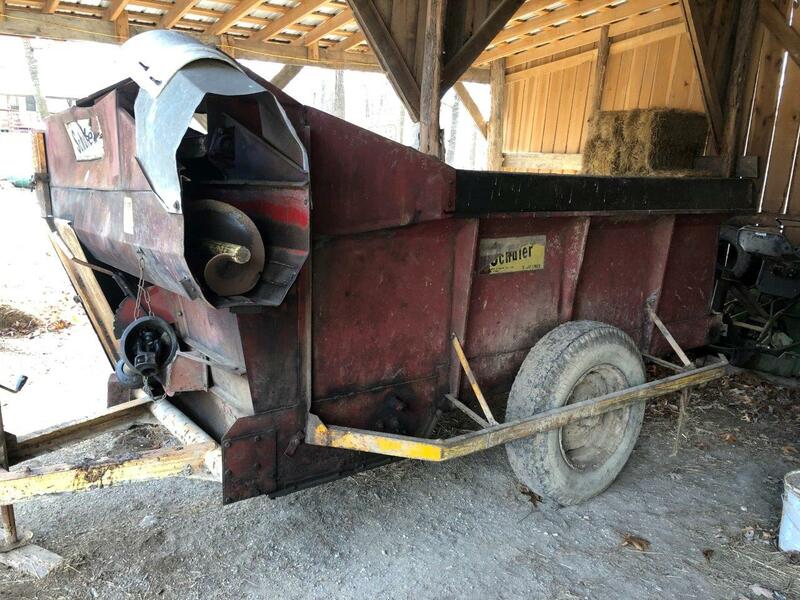 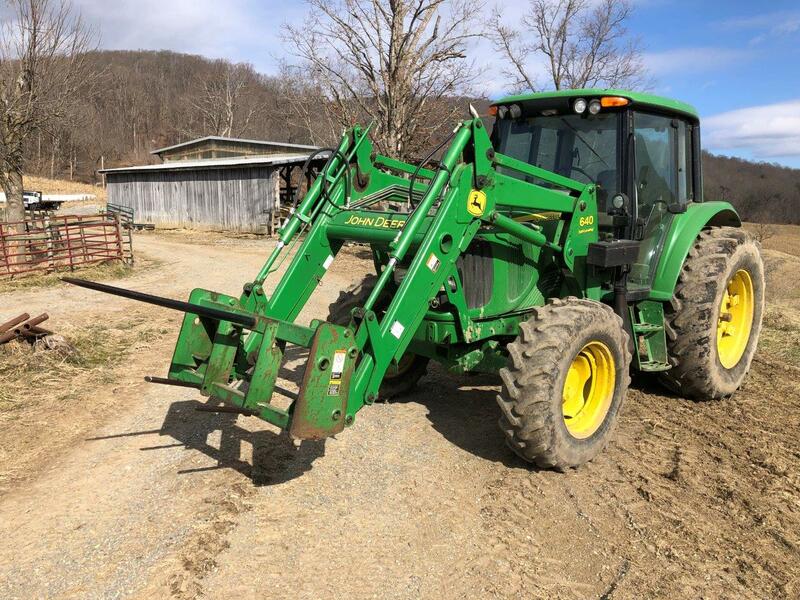 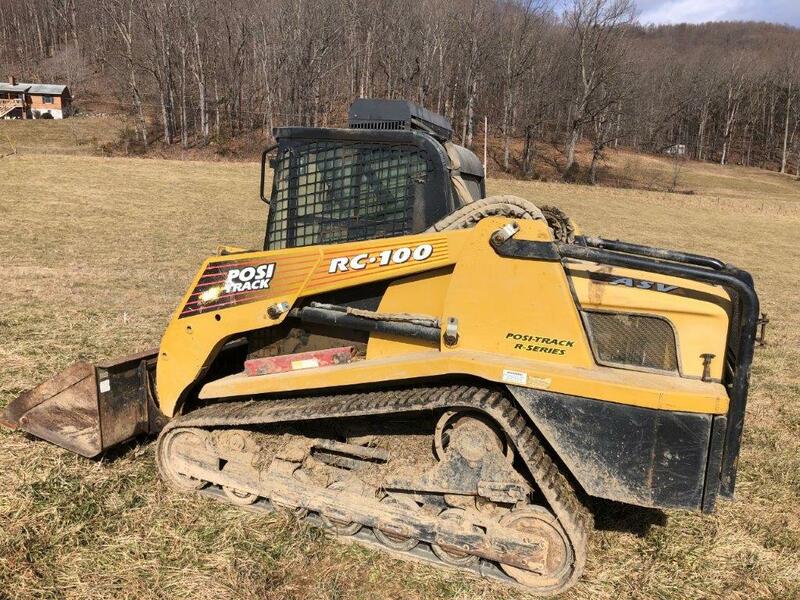 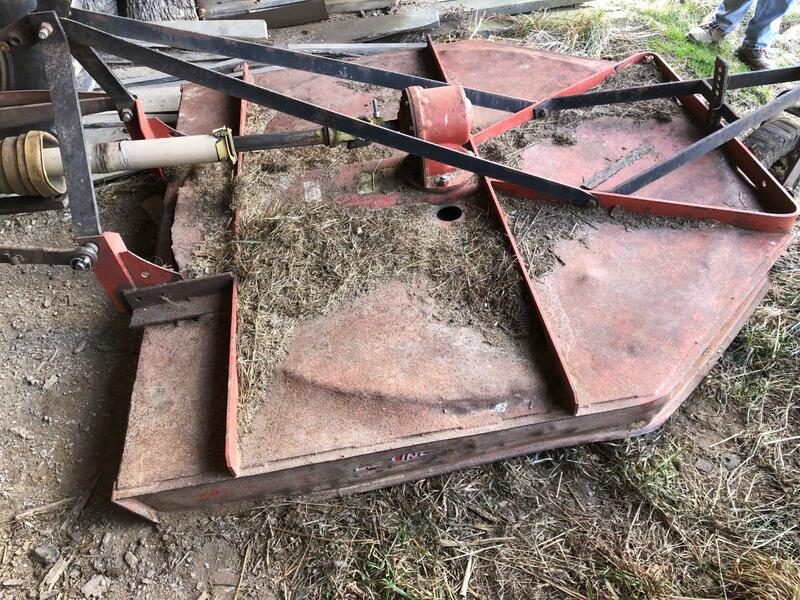 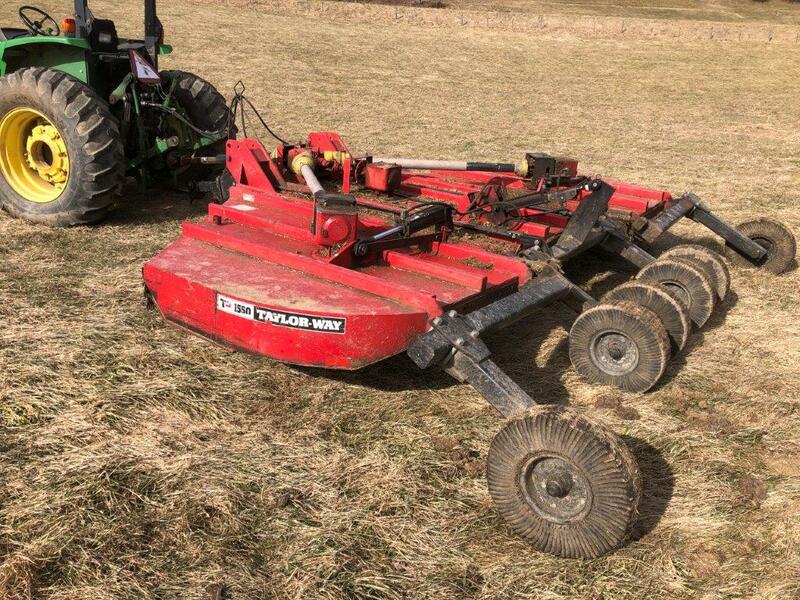 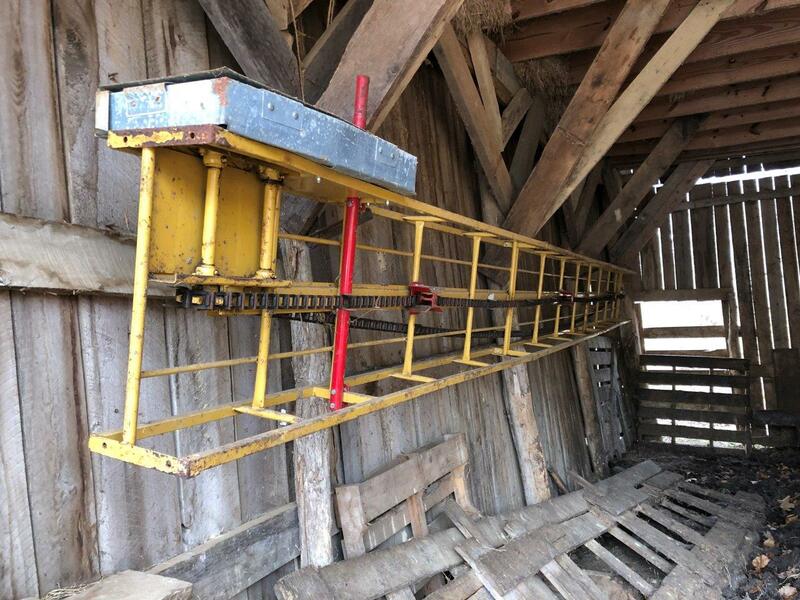 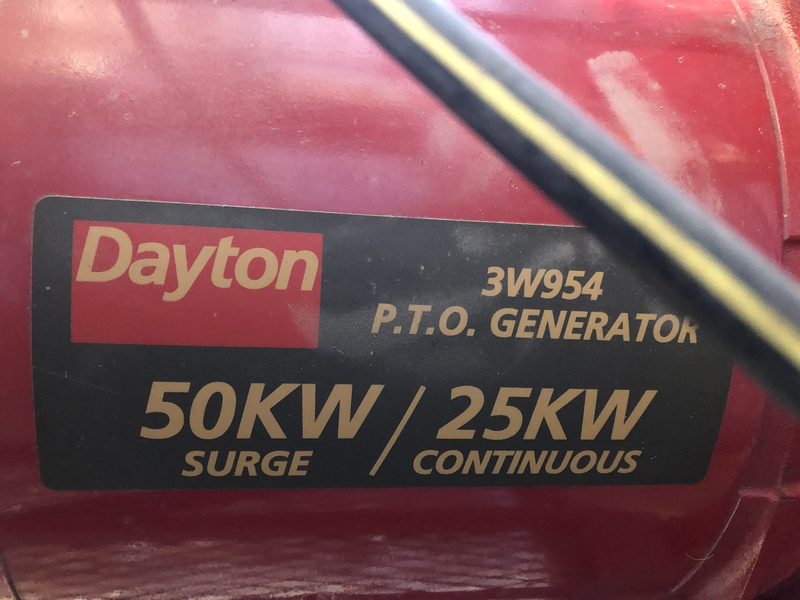 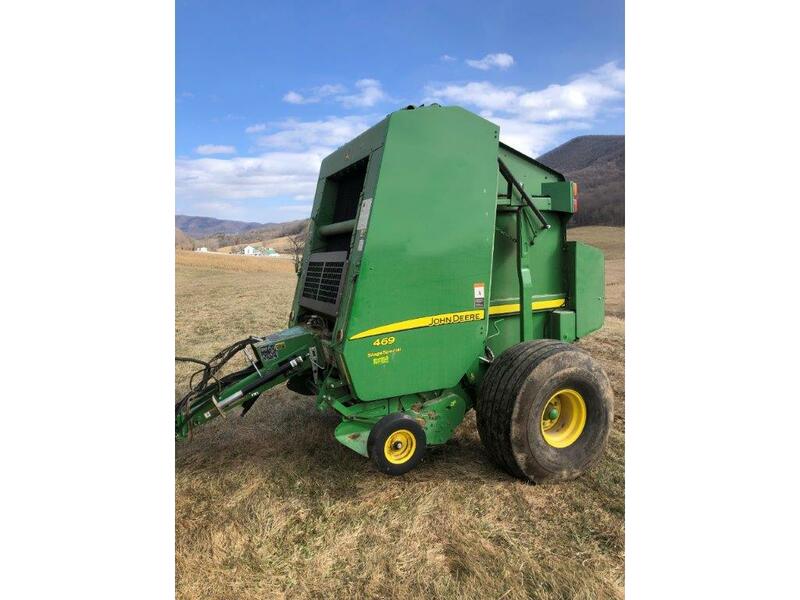 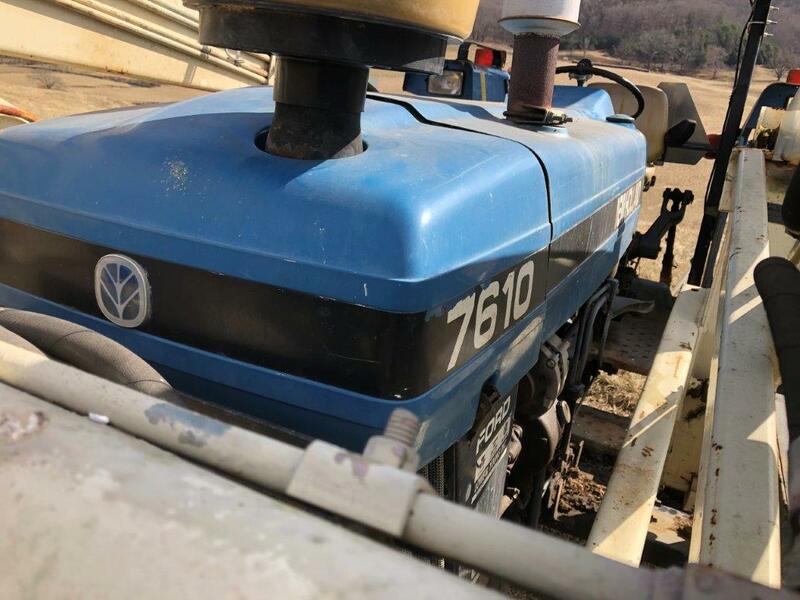 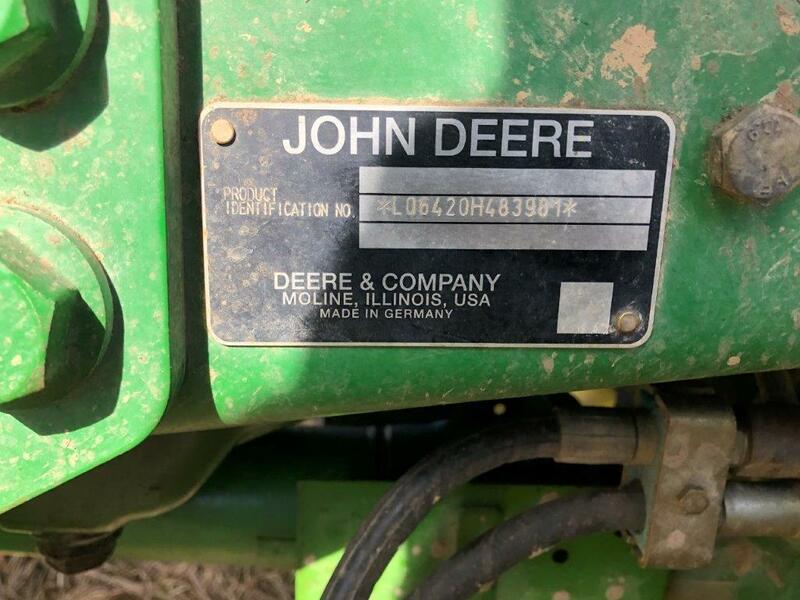 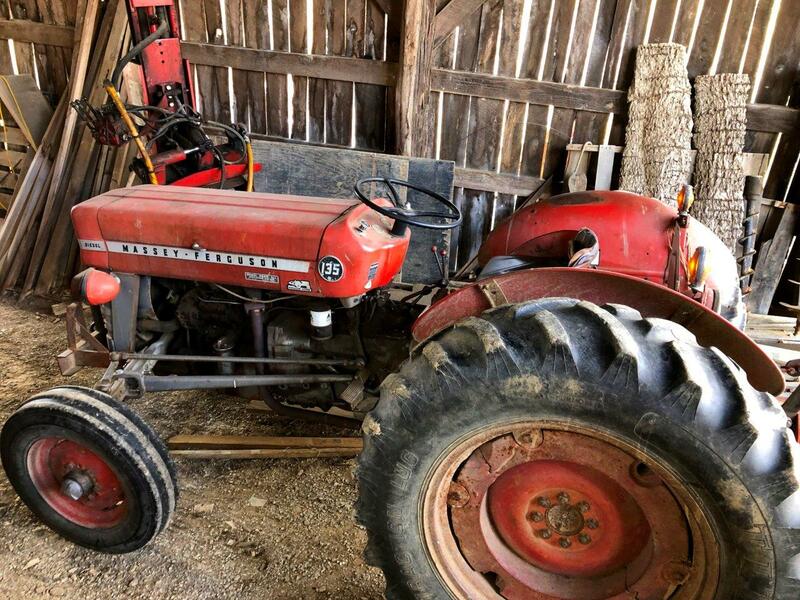 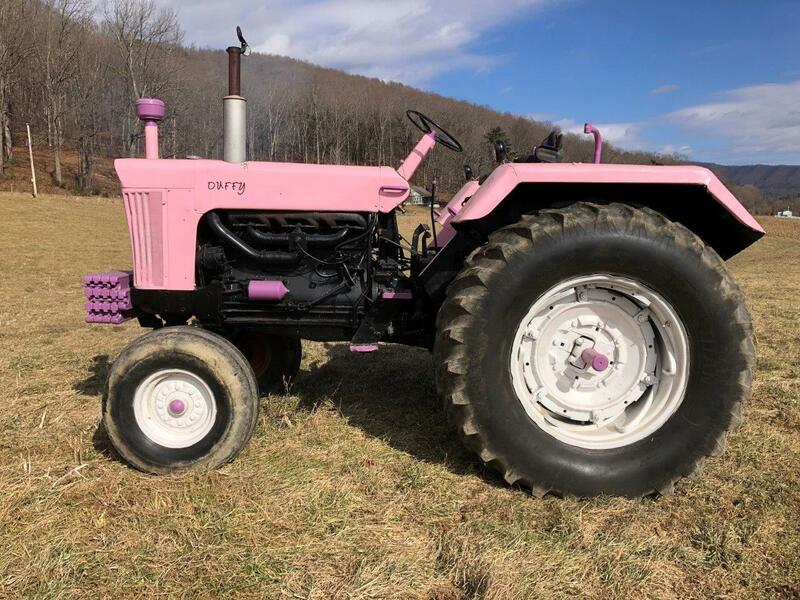 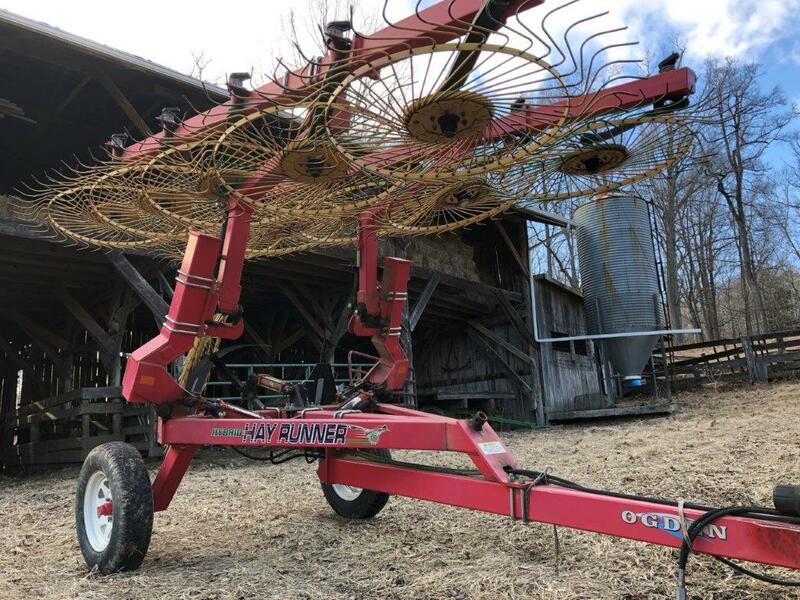 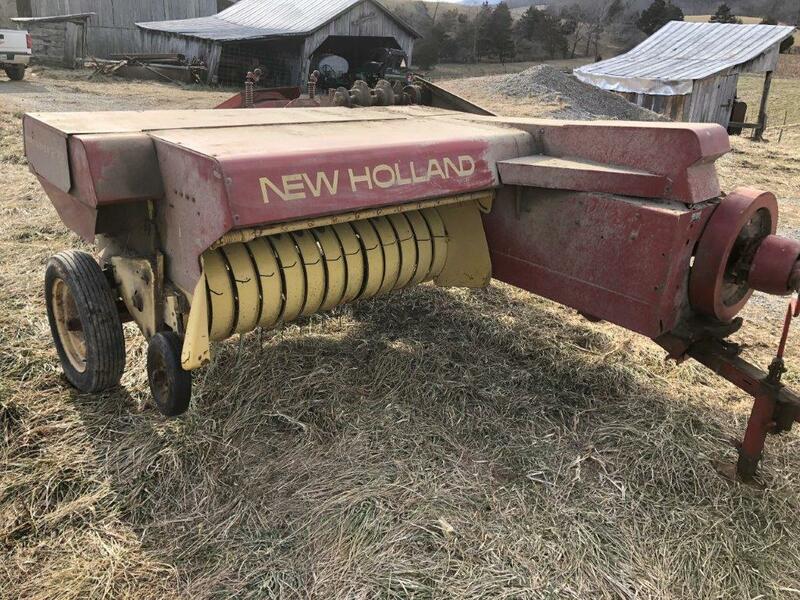 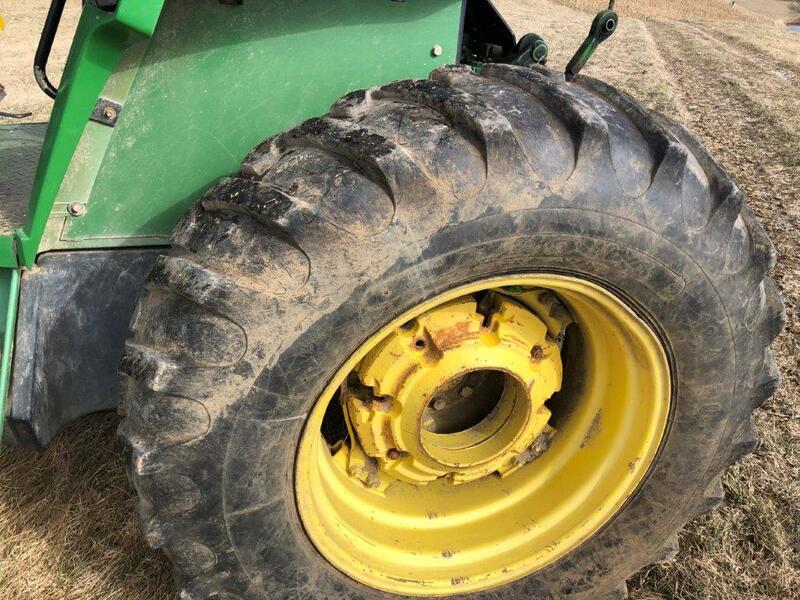 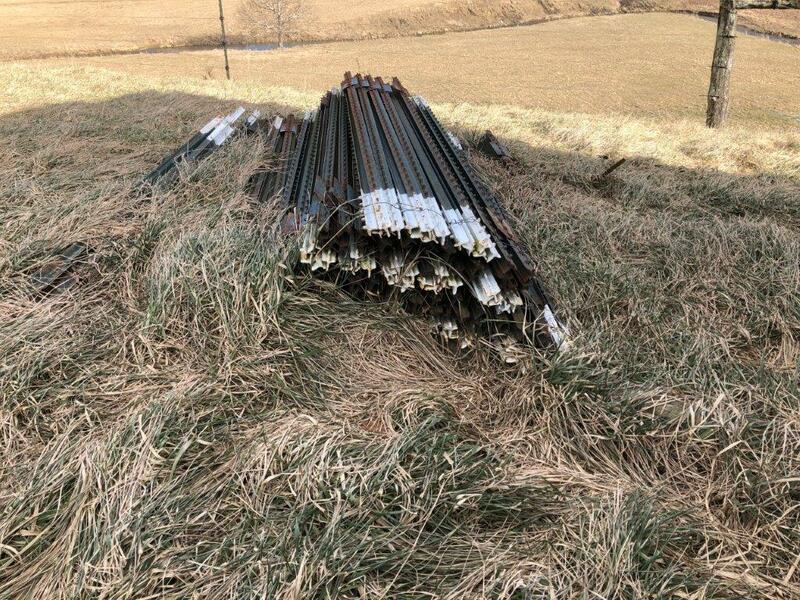 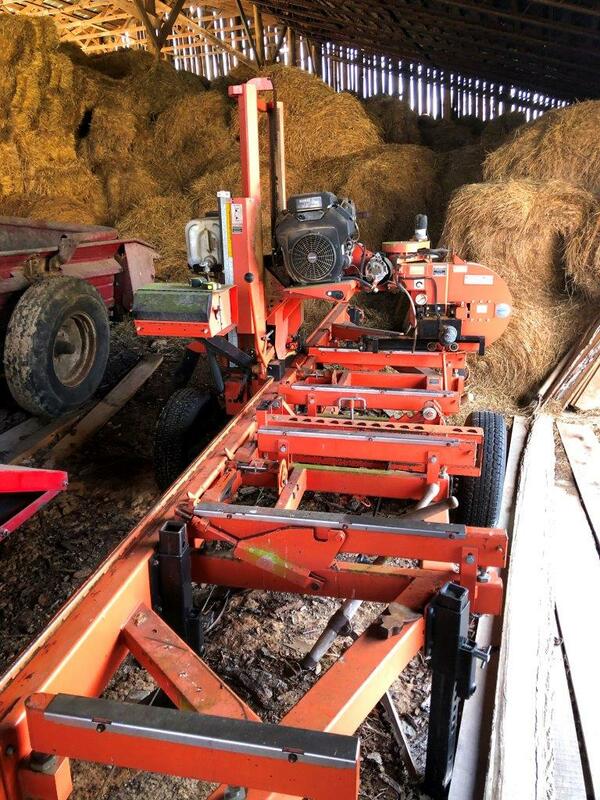 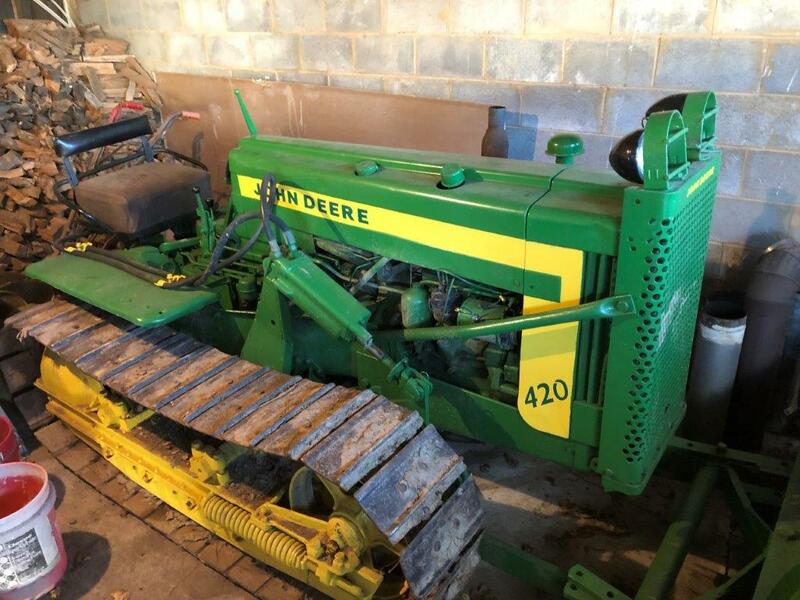 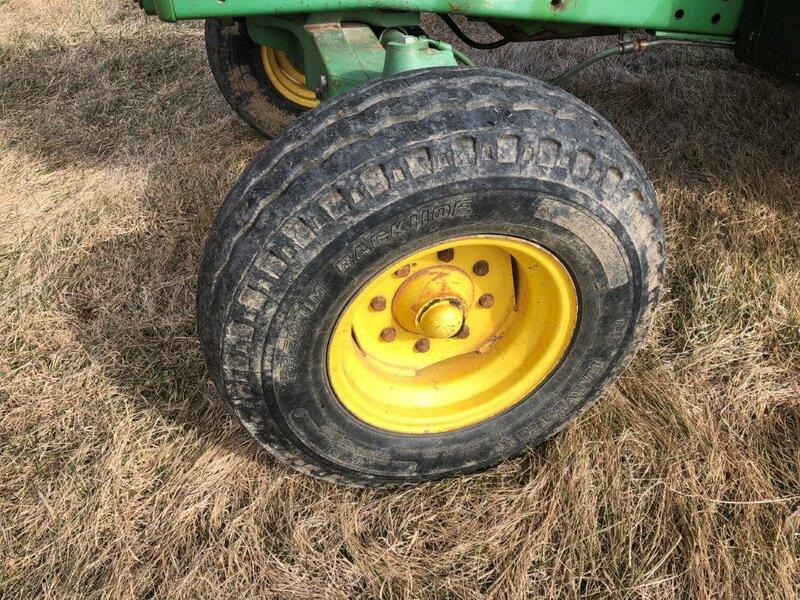 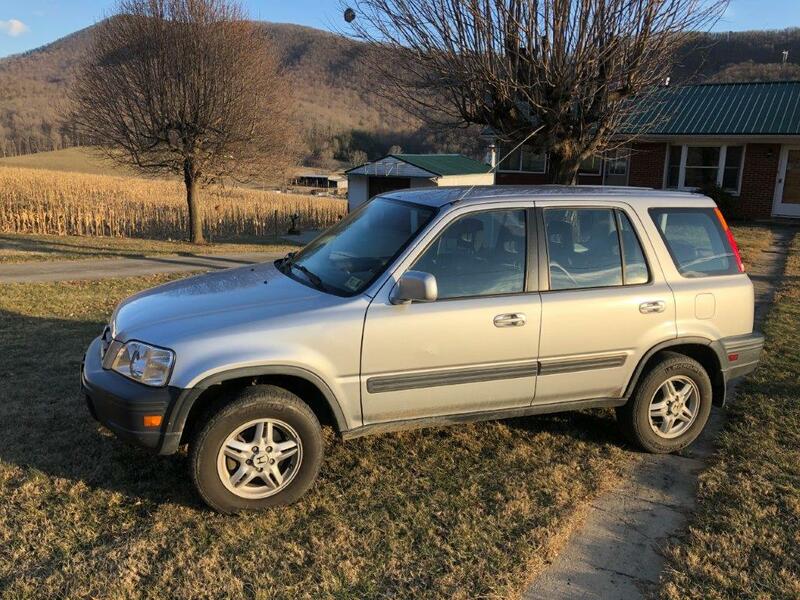 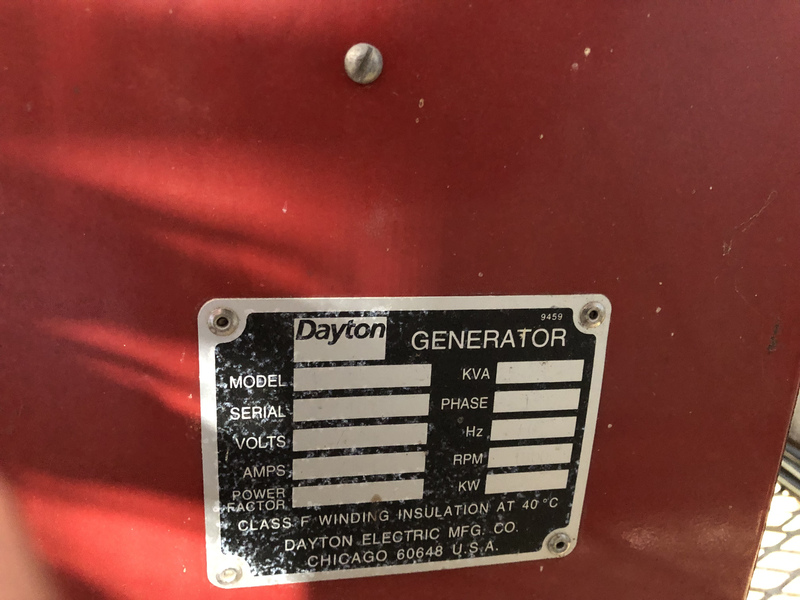 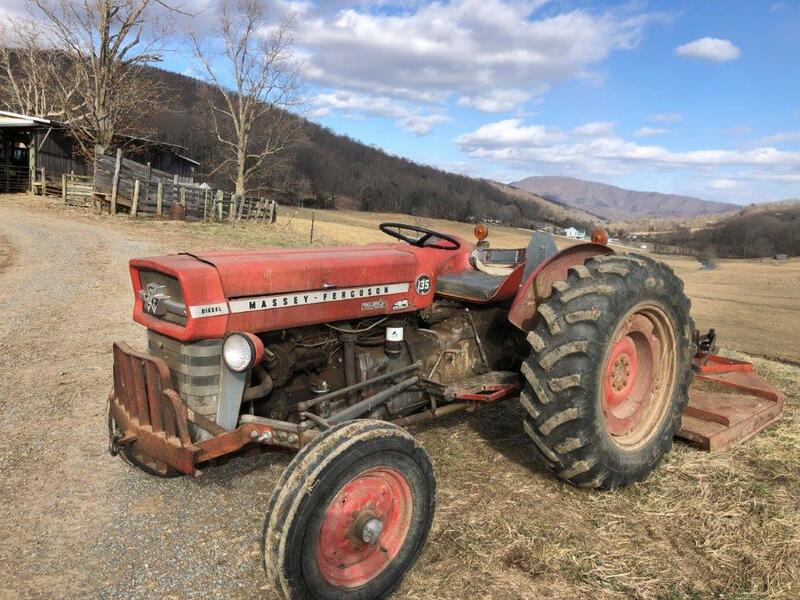 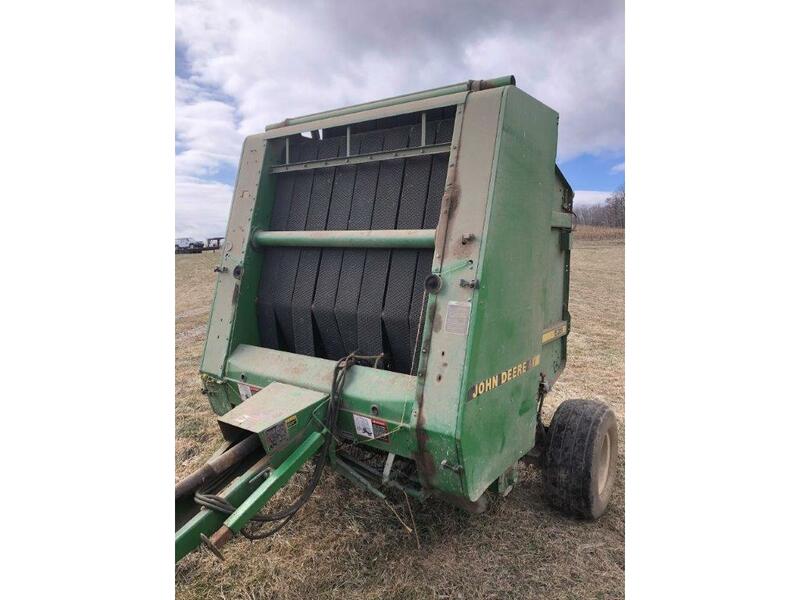 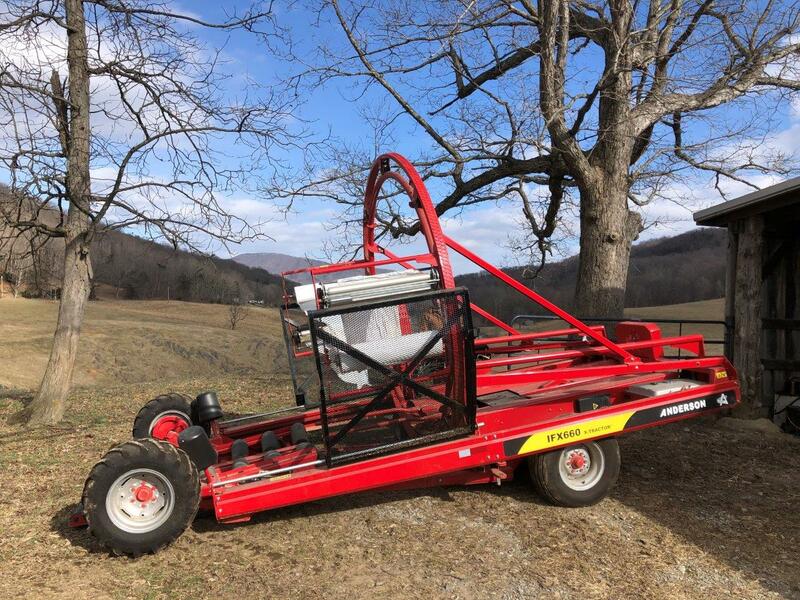 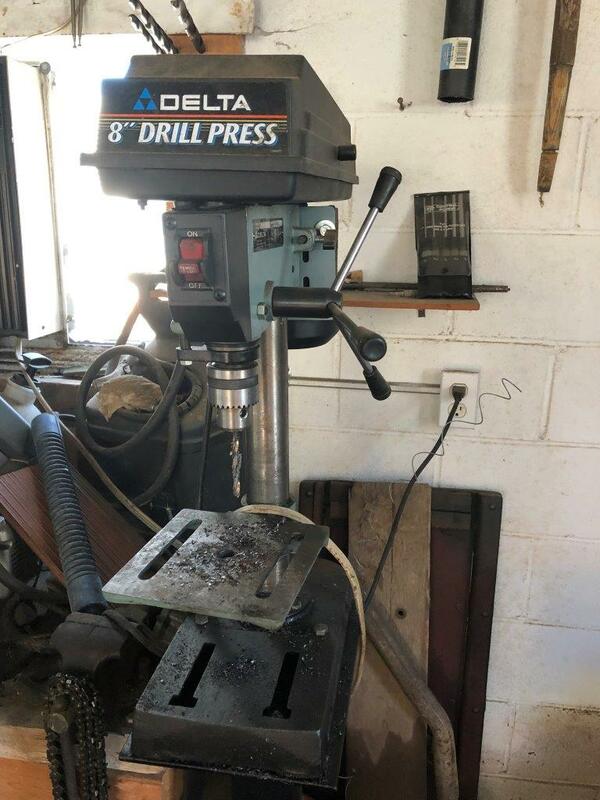 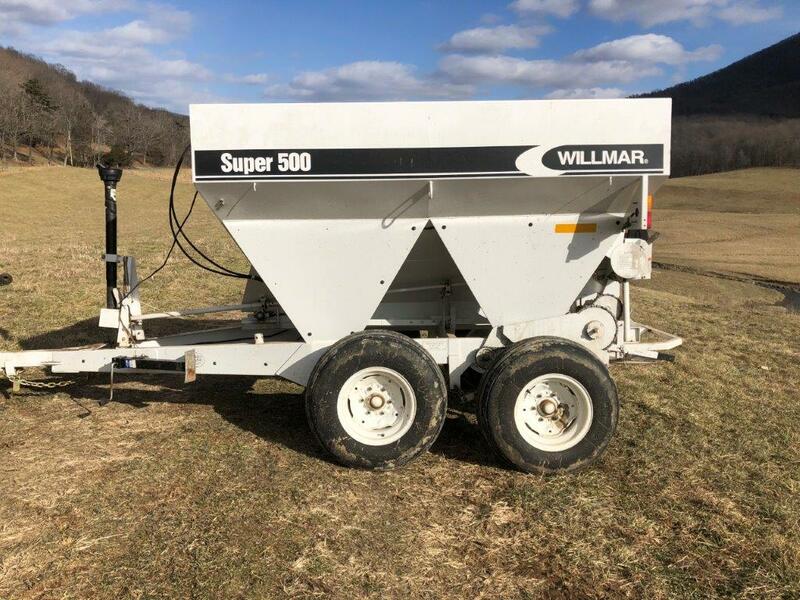 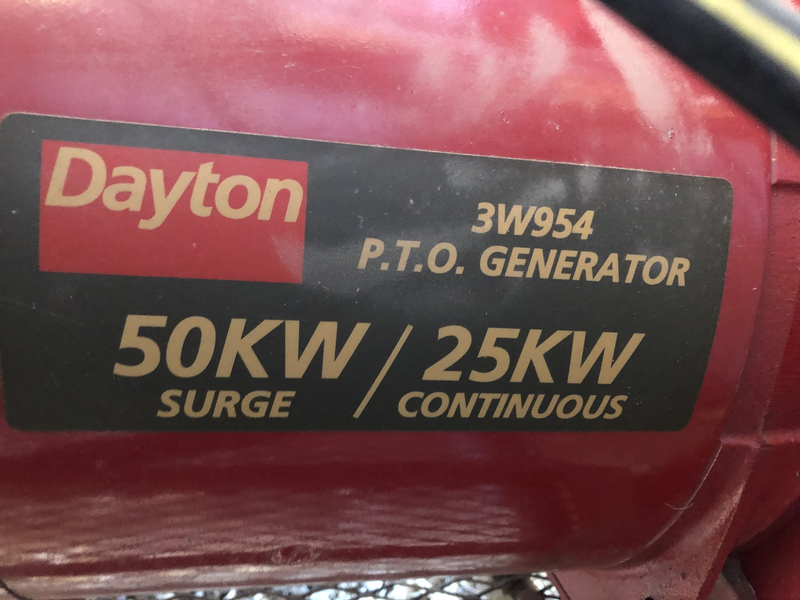 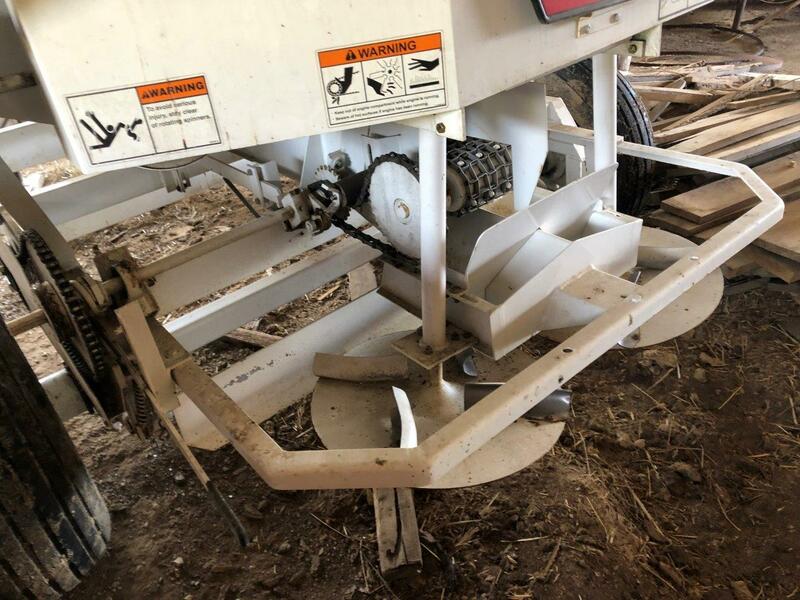 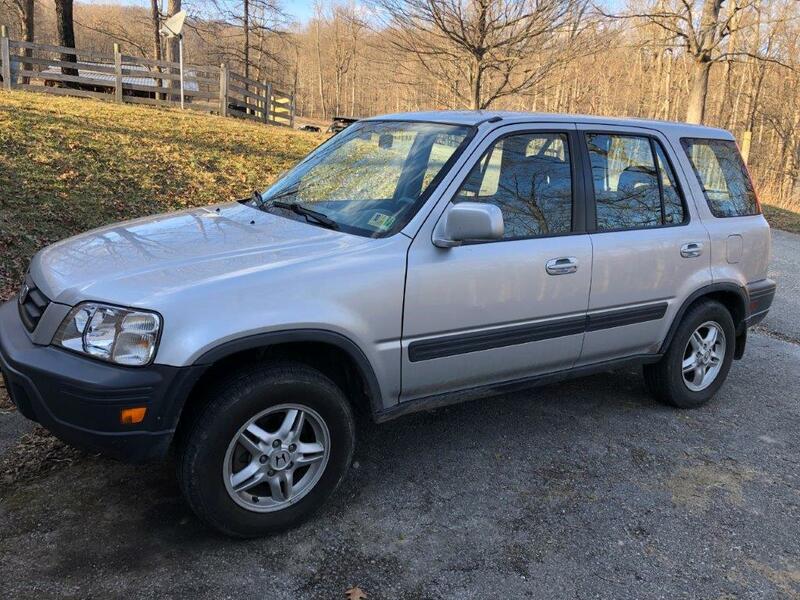 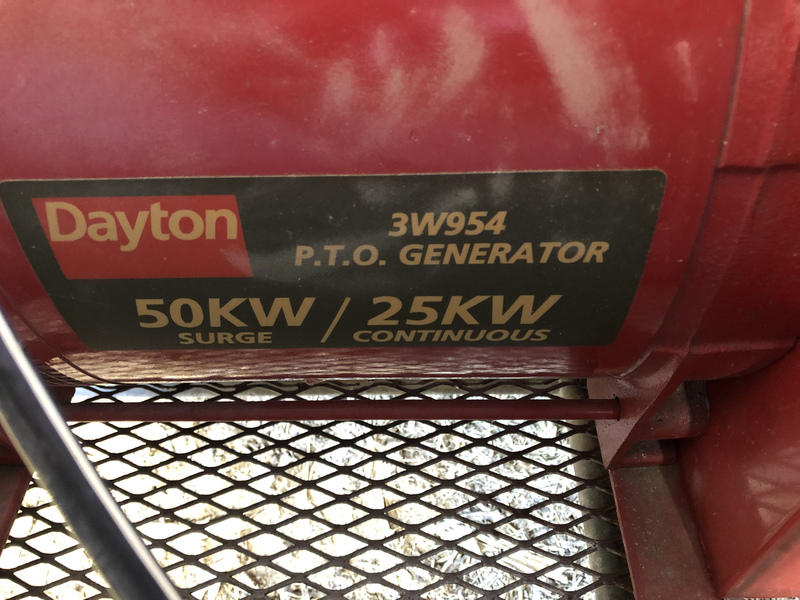 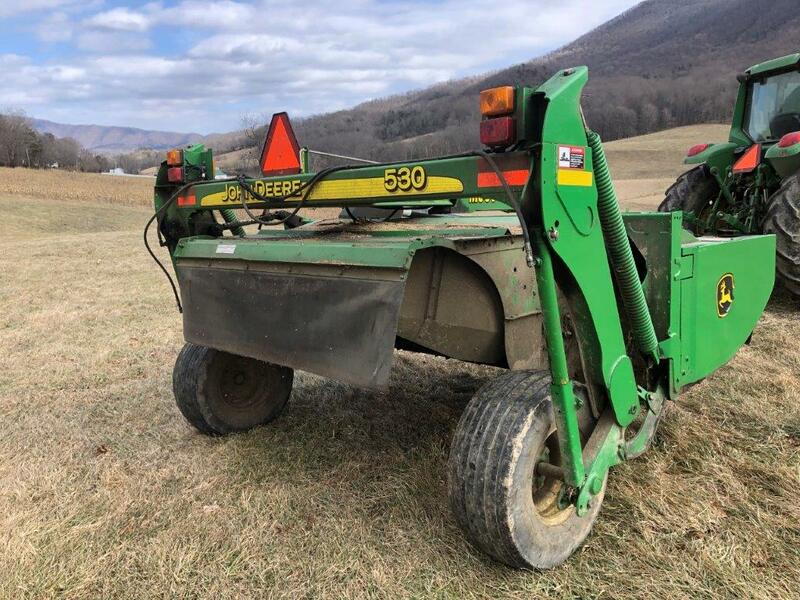 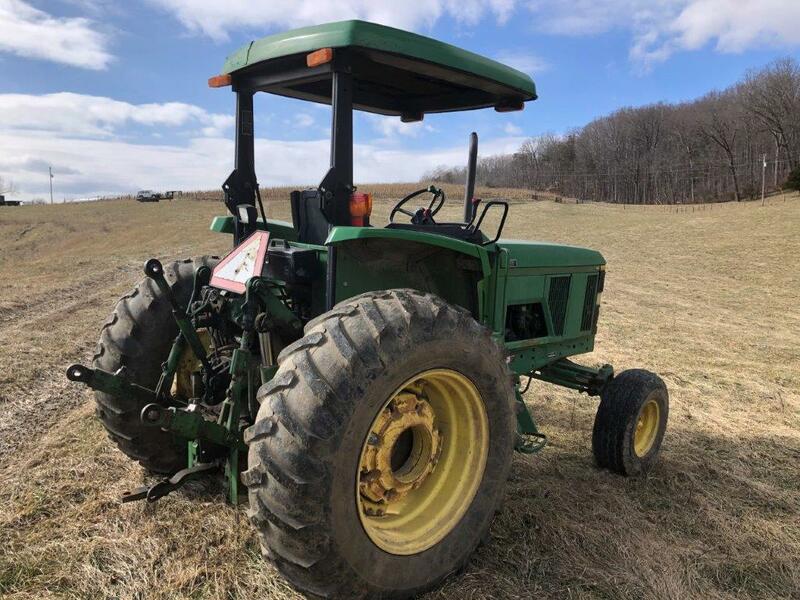 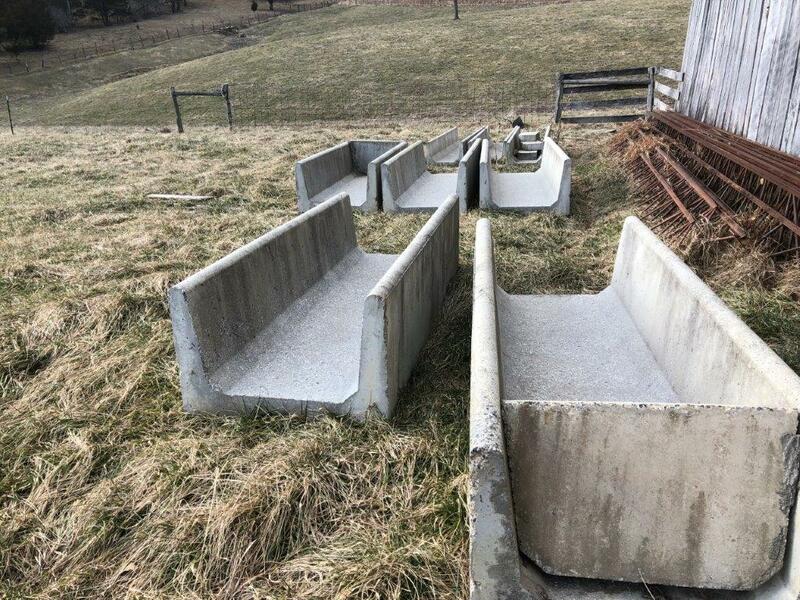 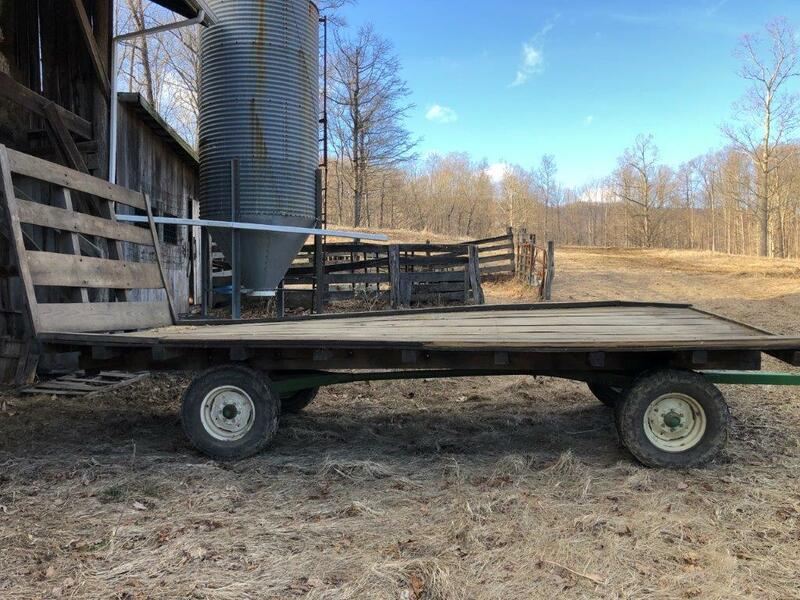 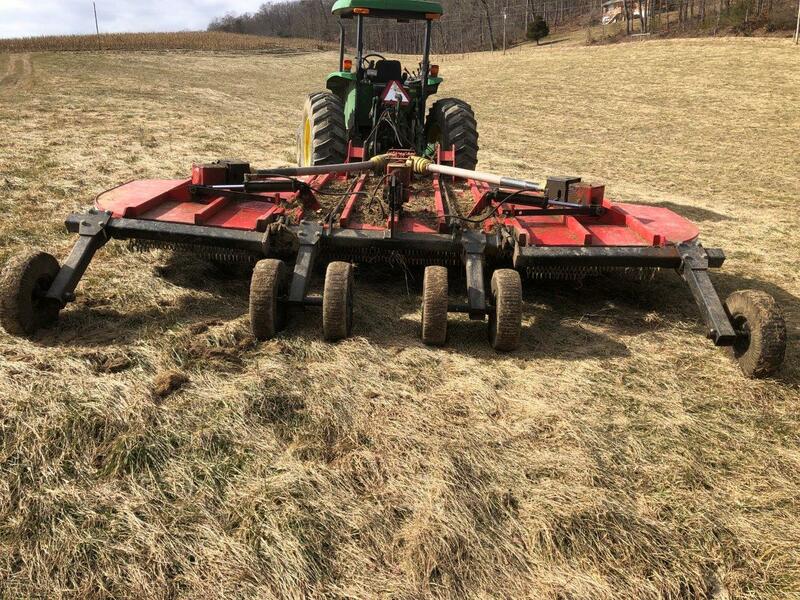 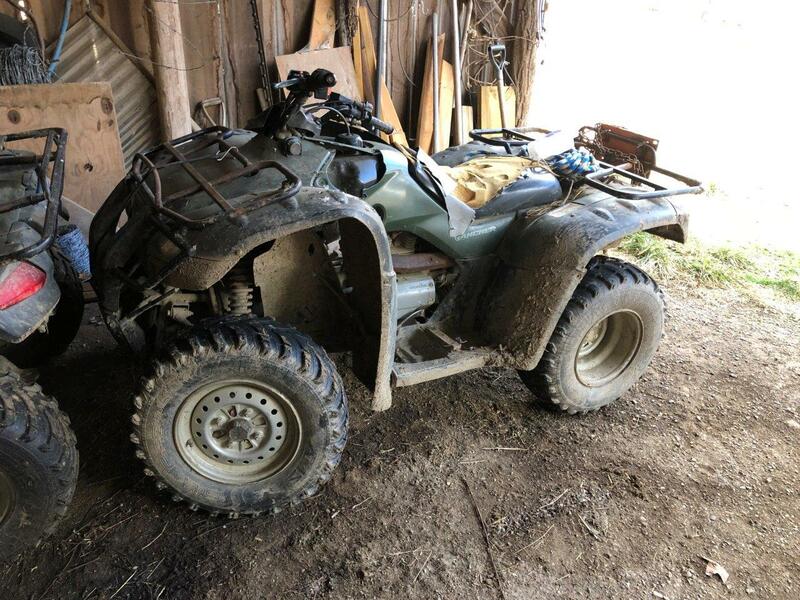 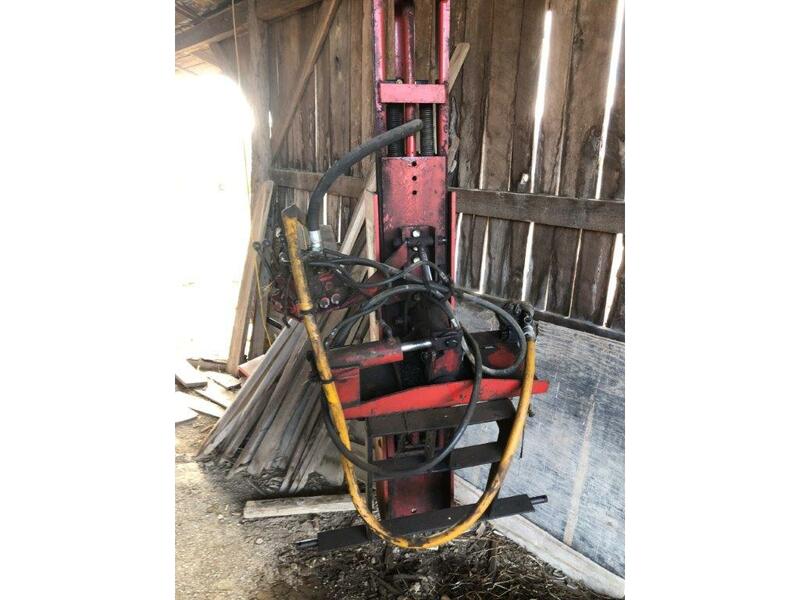 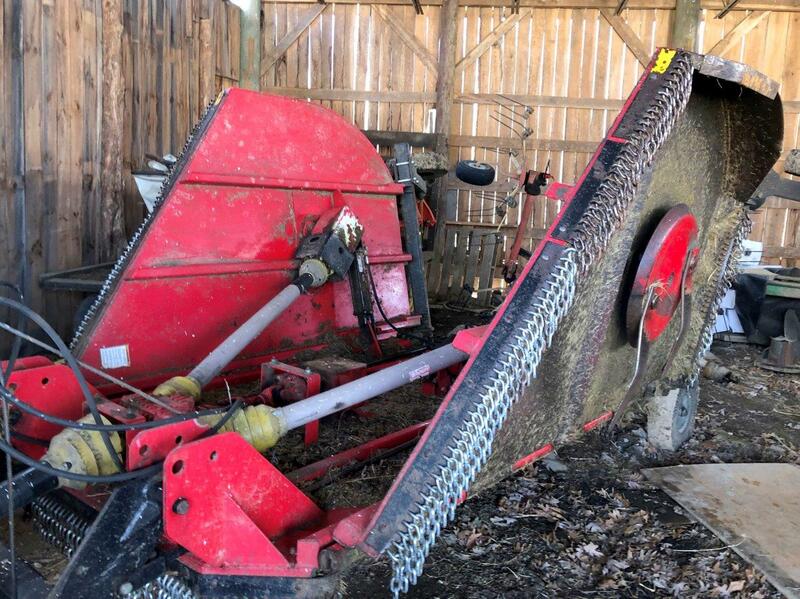 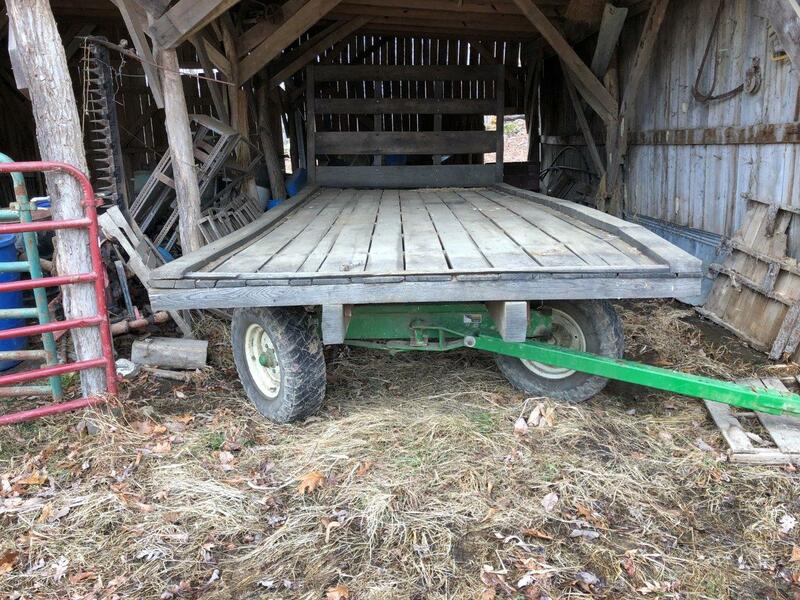 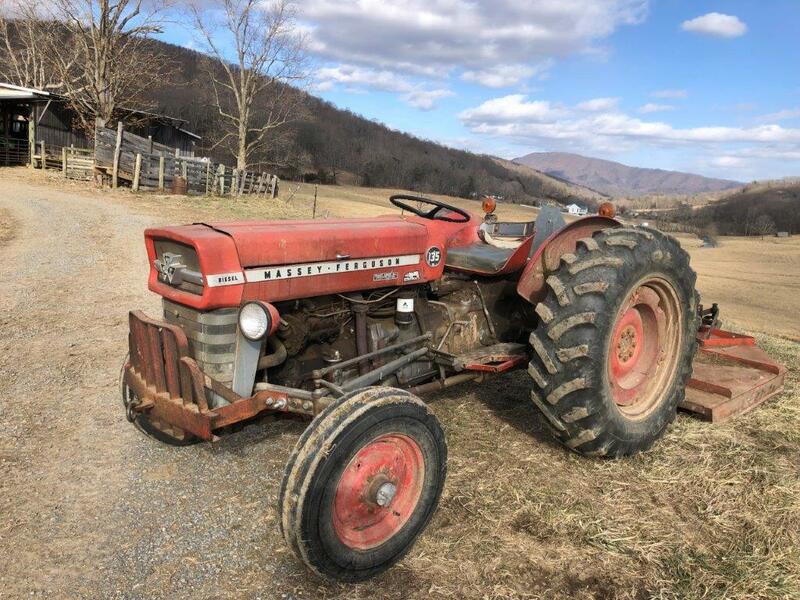 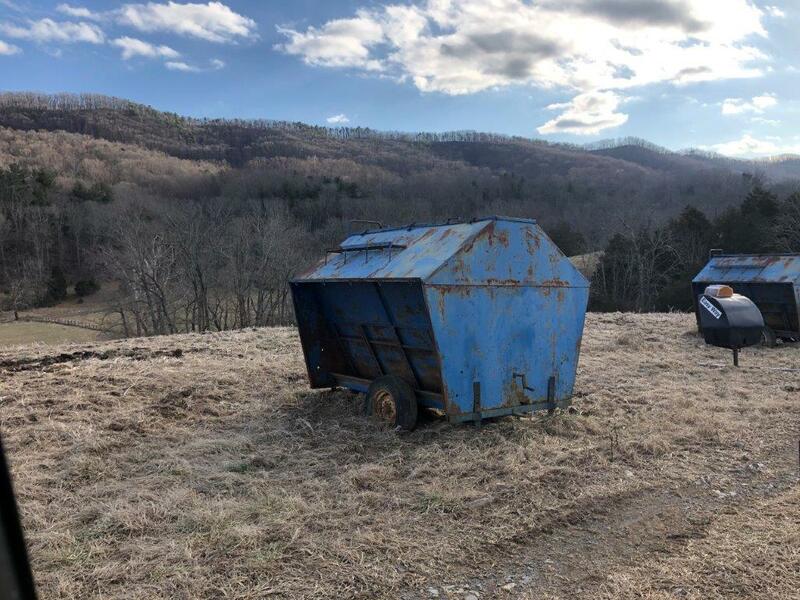 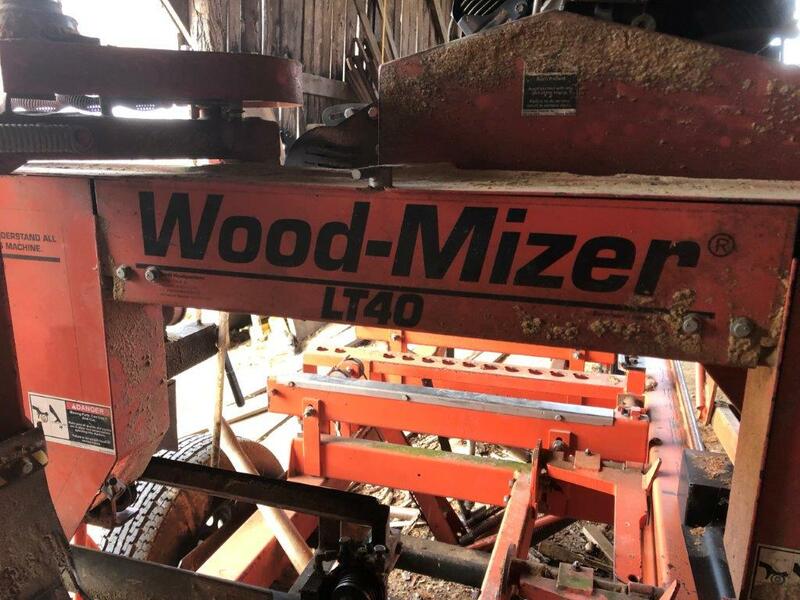 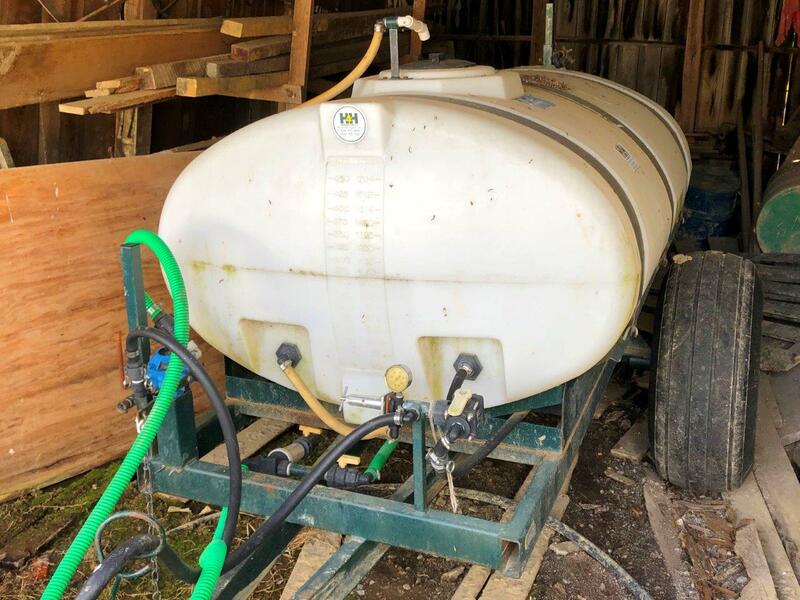 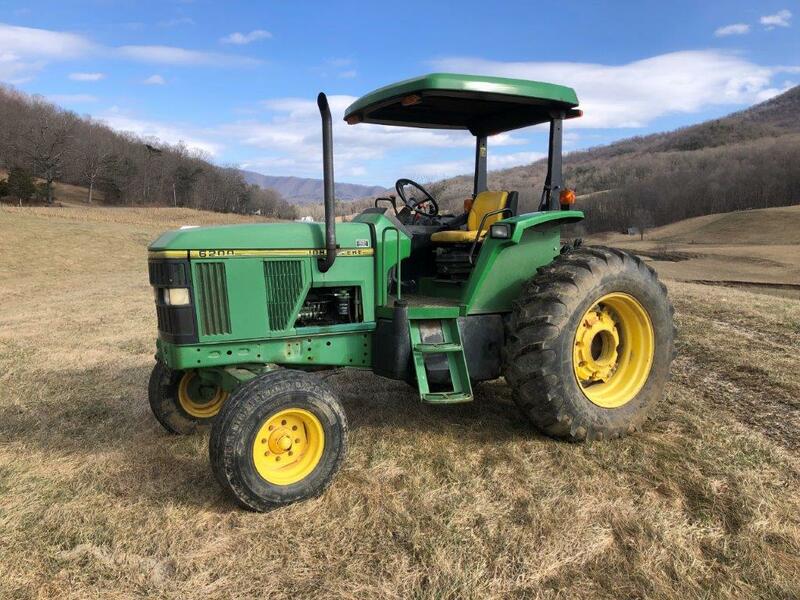 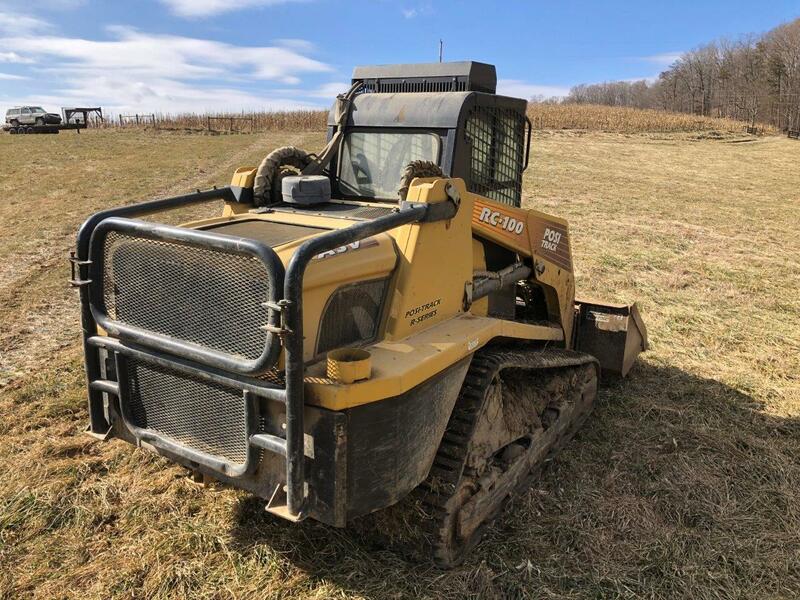 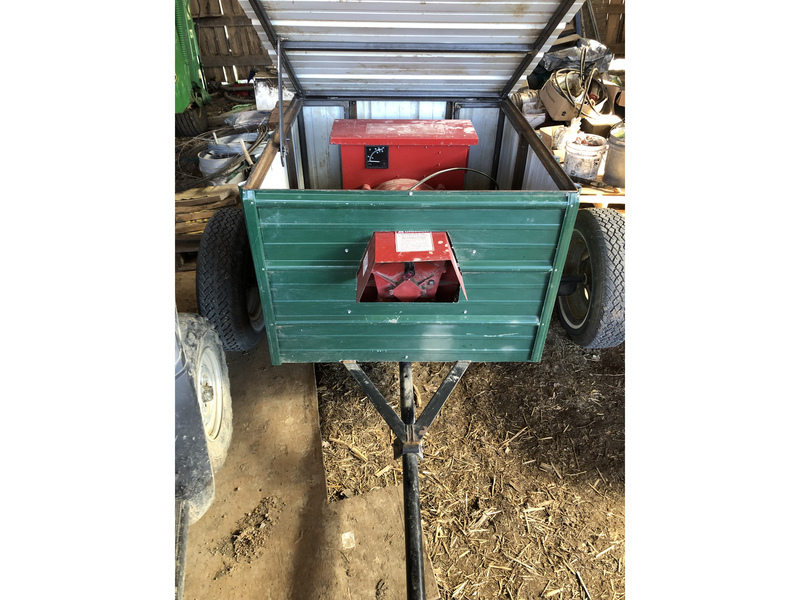 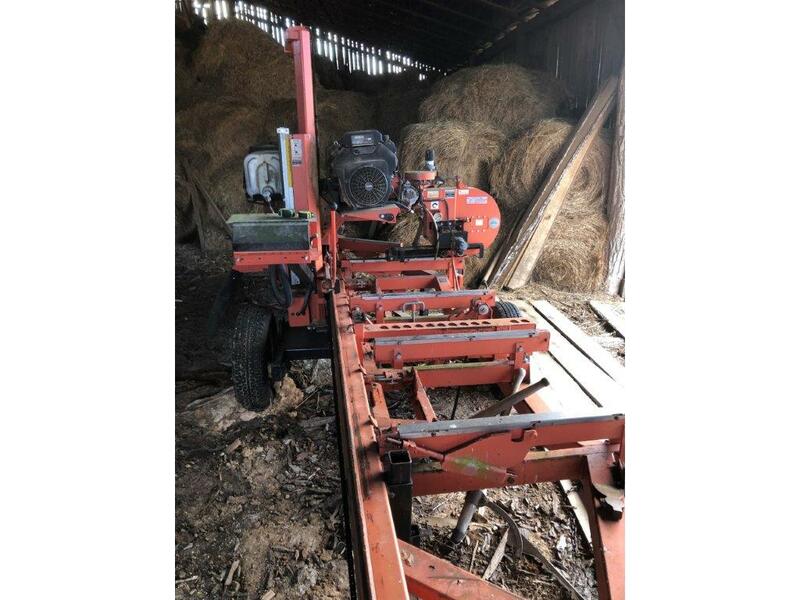 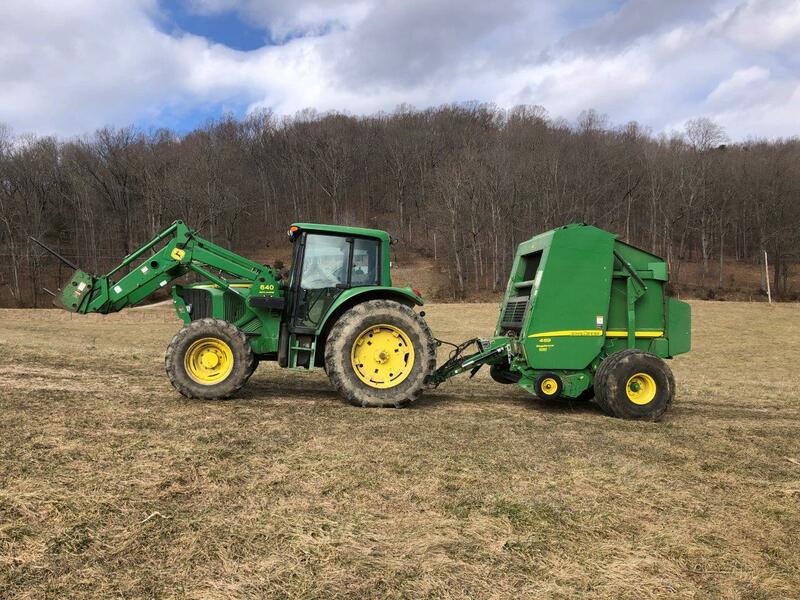 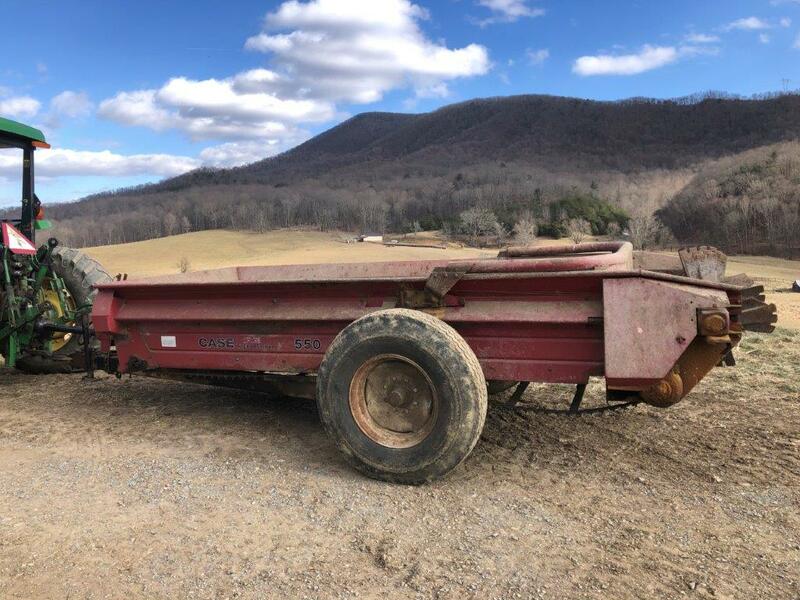 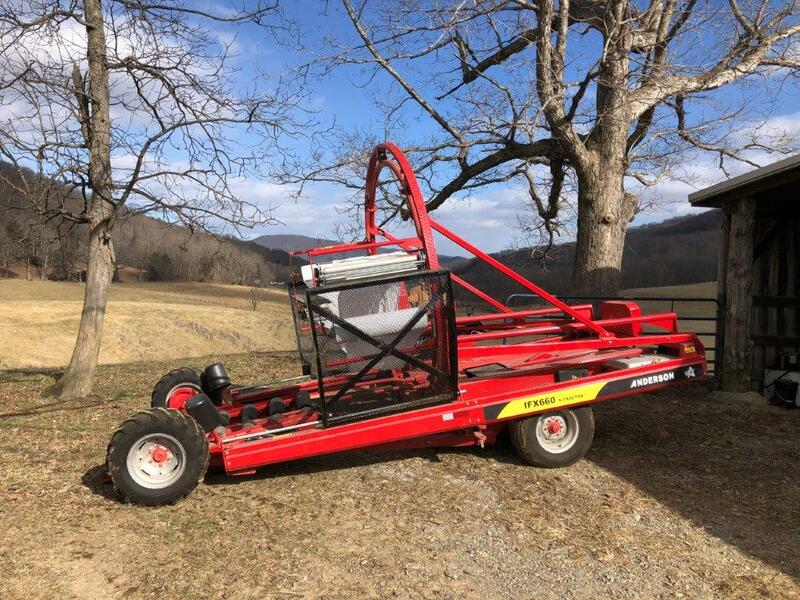 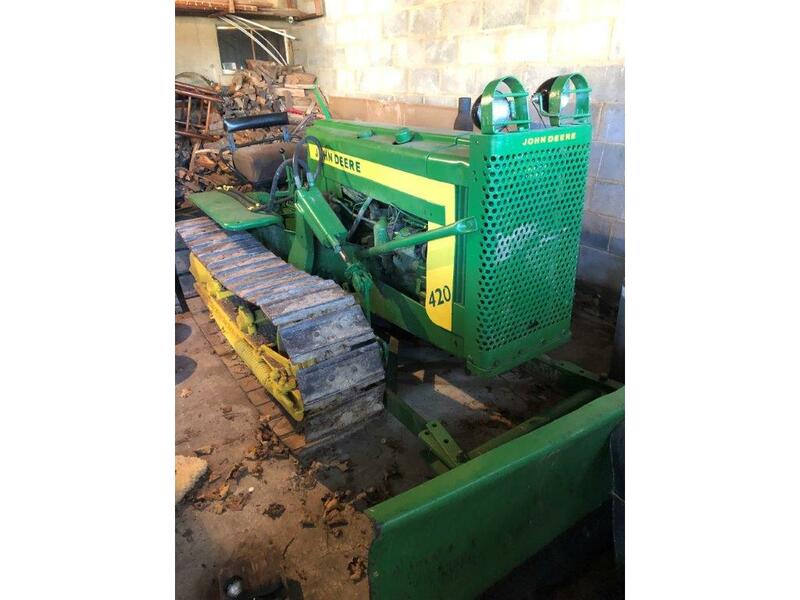 Greg Duffy Estate Auction: Real Estate and Farm Equipment – Woltz & Associates, Inc.
Mr. Duffy was a native of Roanoke County and lived his whole life in the Catawba Valley. 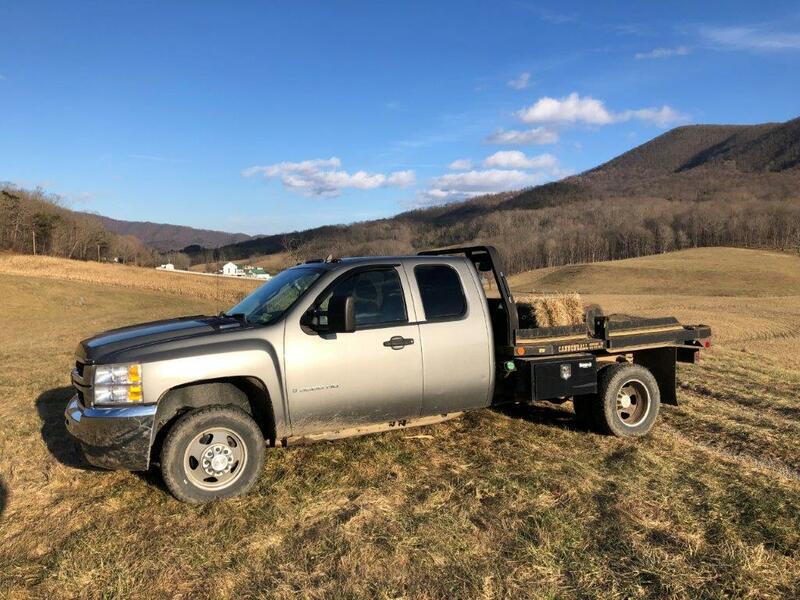 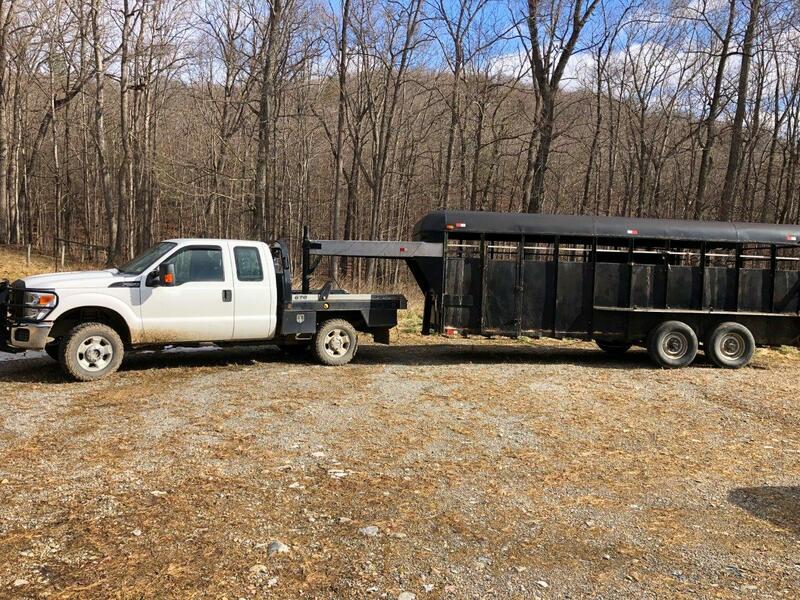 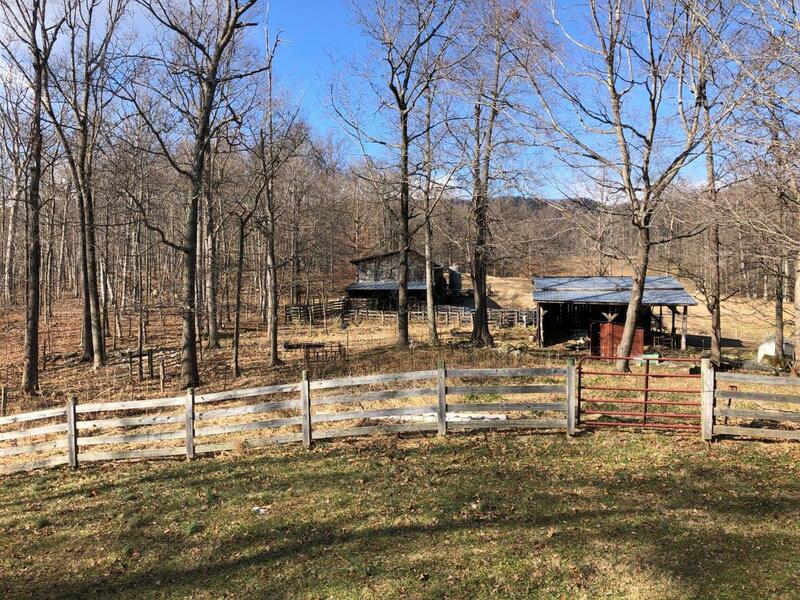 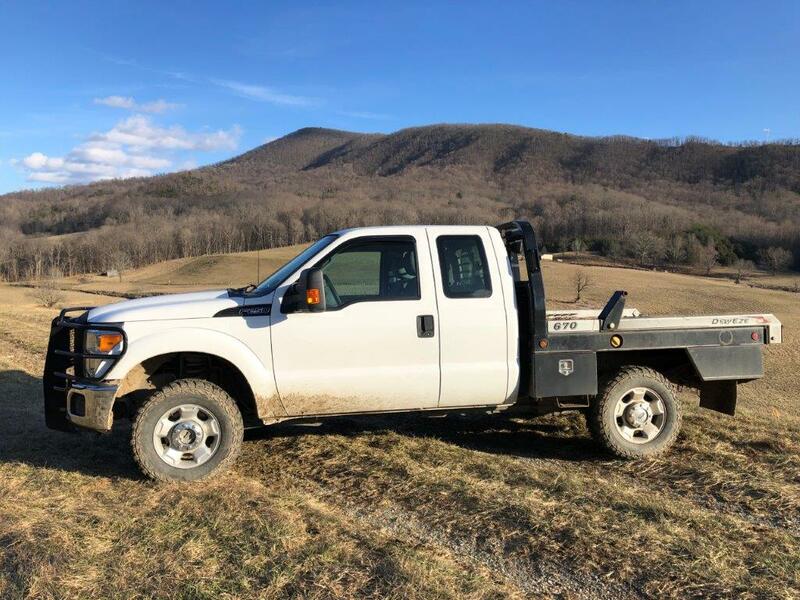 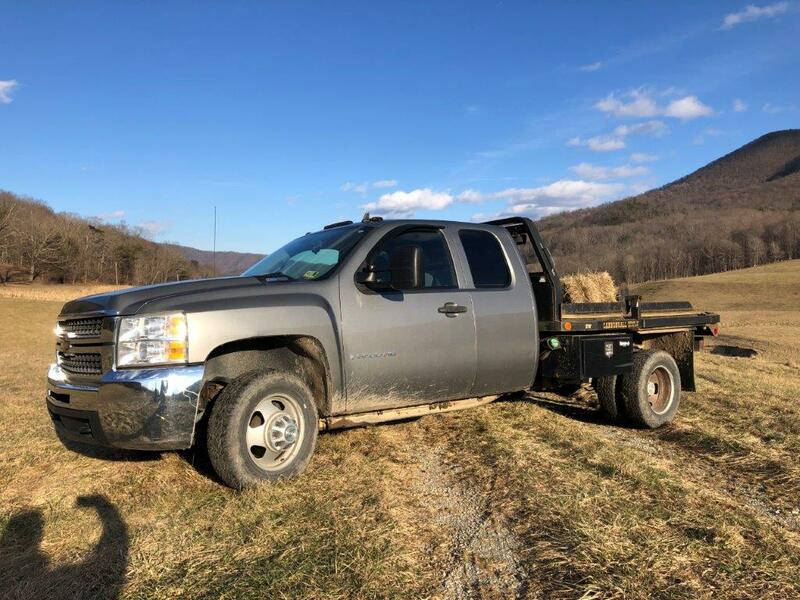 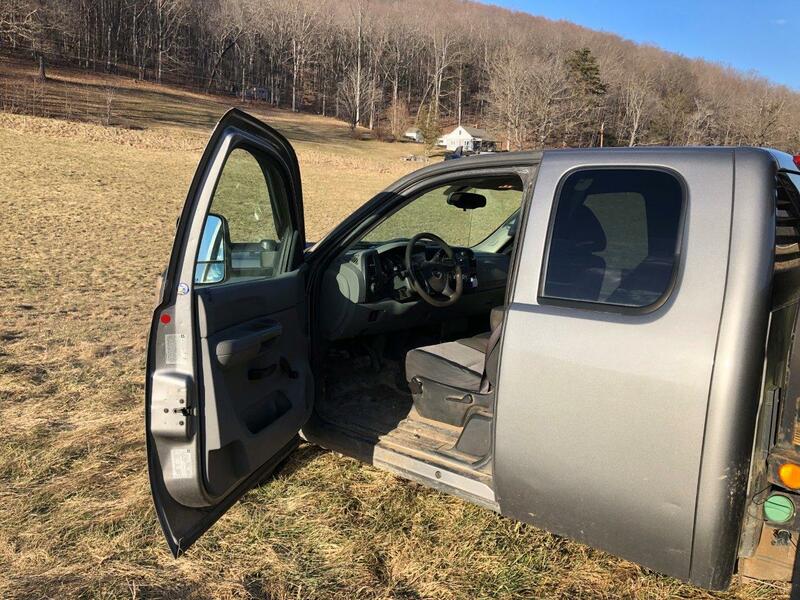 We will be selling his home which is nestled between North Mountain and Catawba Mountain on 18.8 acres along with several barns, other outbuildings, and extensive fencing ready for your livestock. 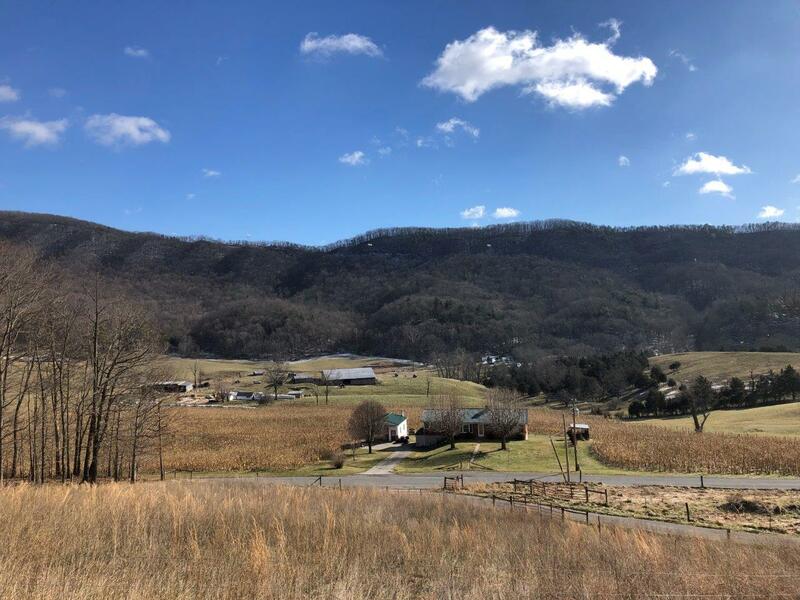 Come join the farm-to-table movement with this beautiful mini farmstead which is only minutes to Roanoke and Daleville. 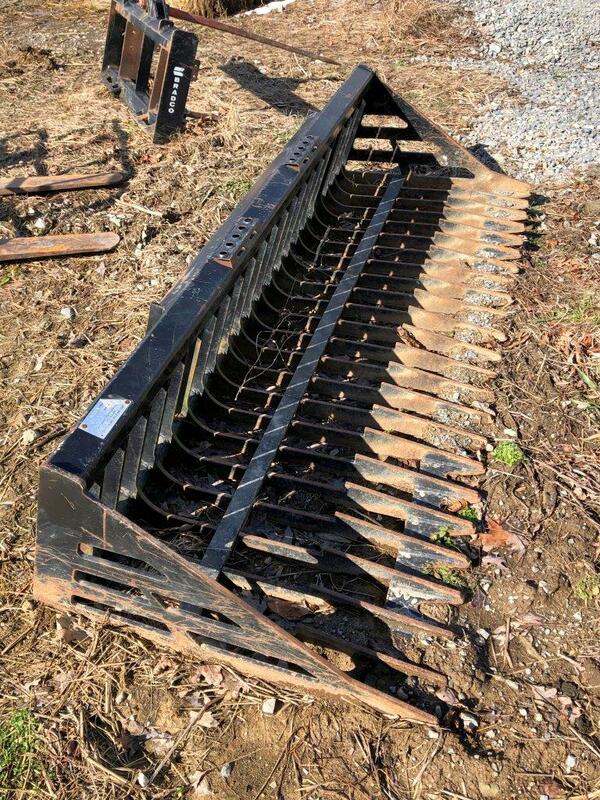 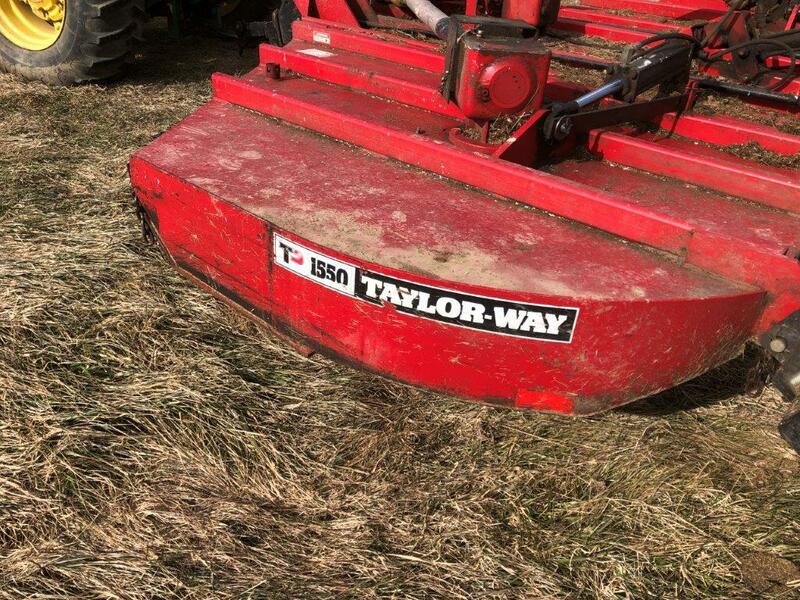 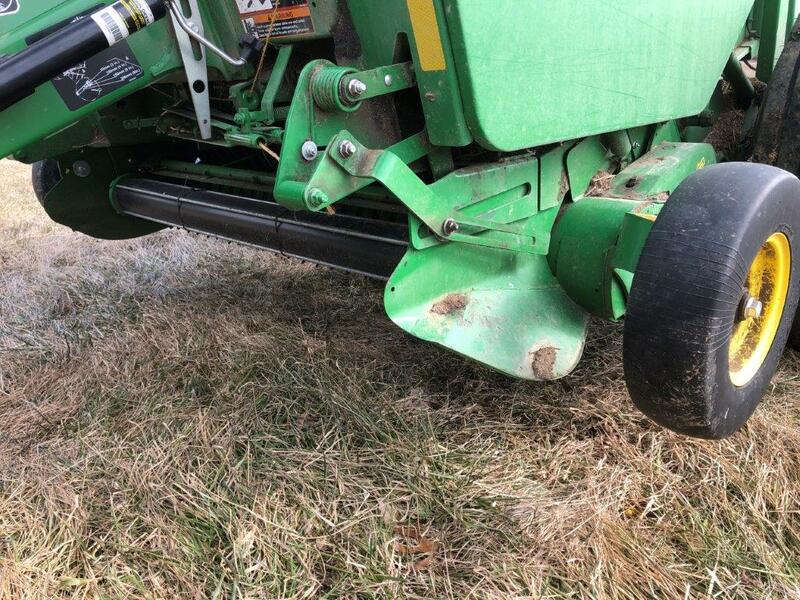 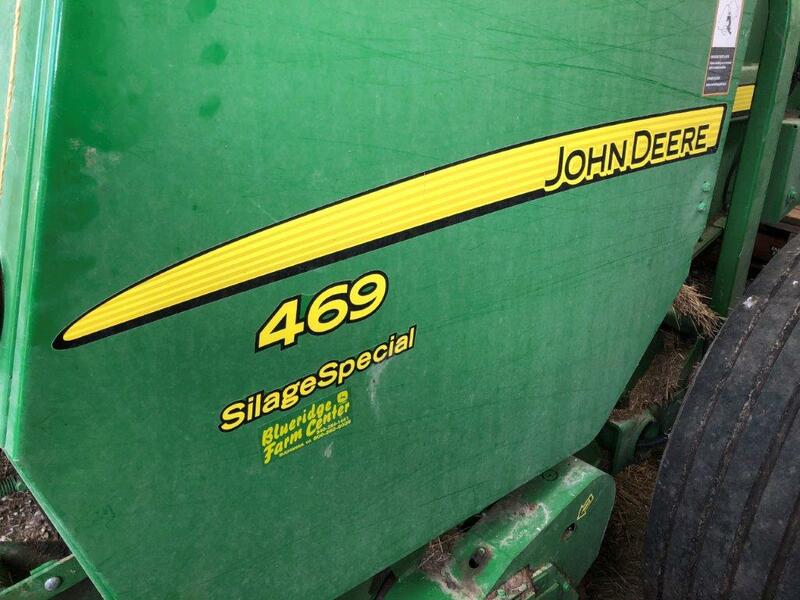 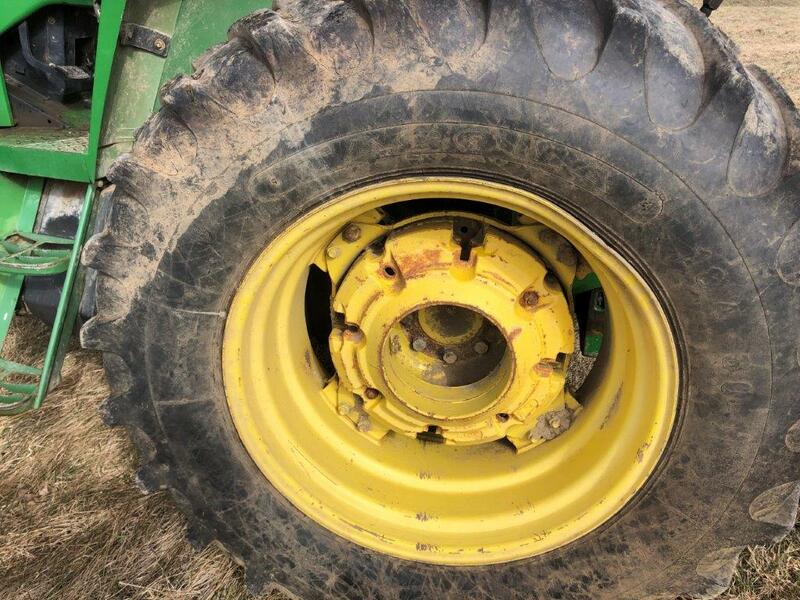 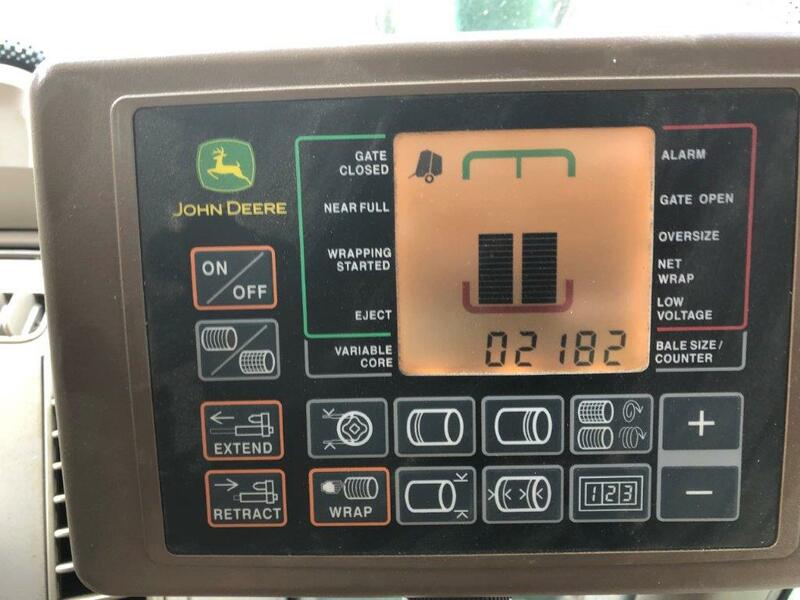 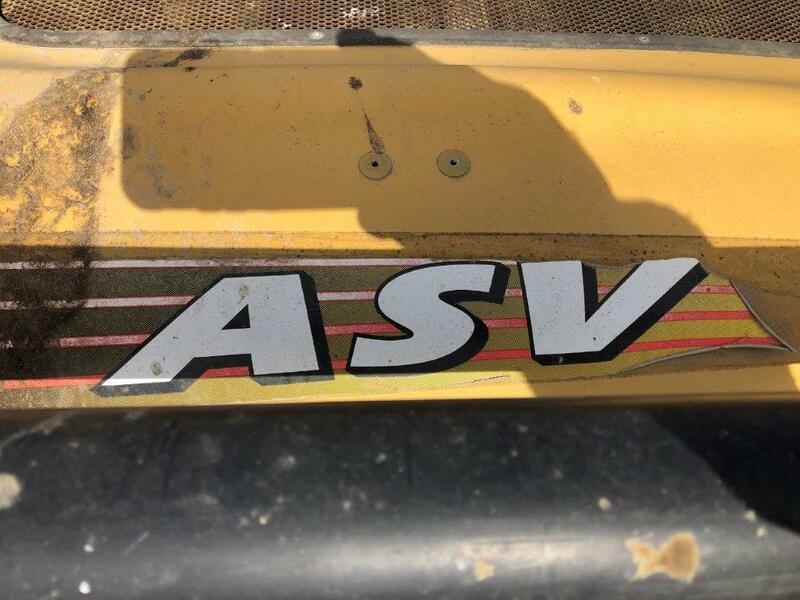 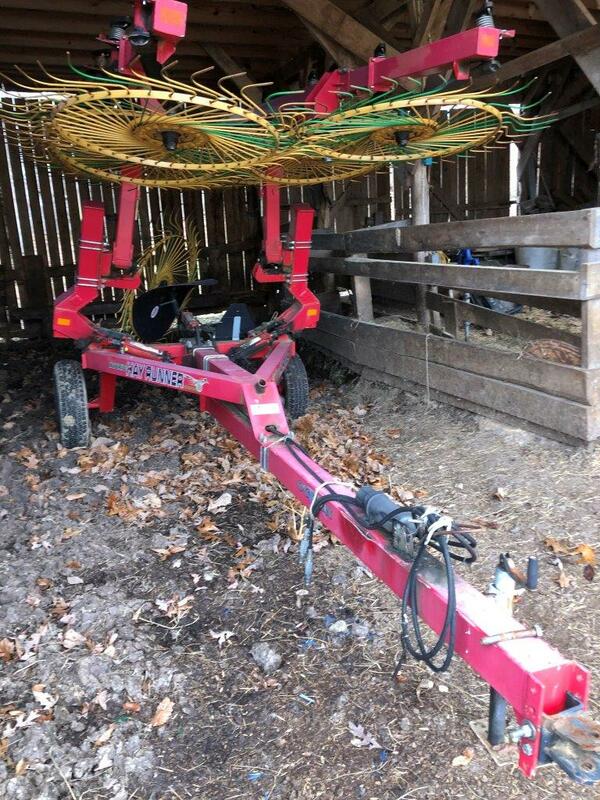 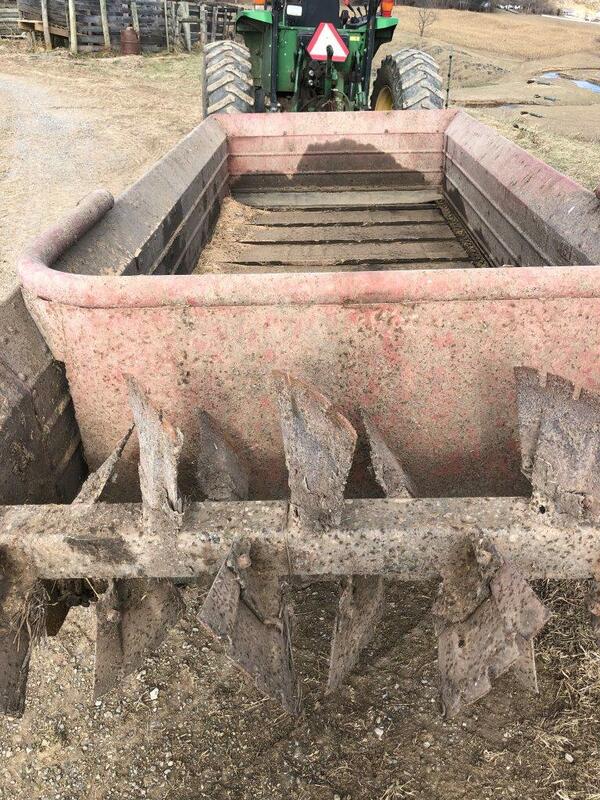 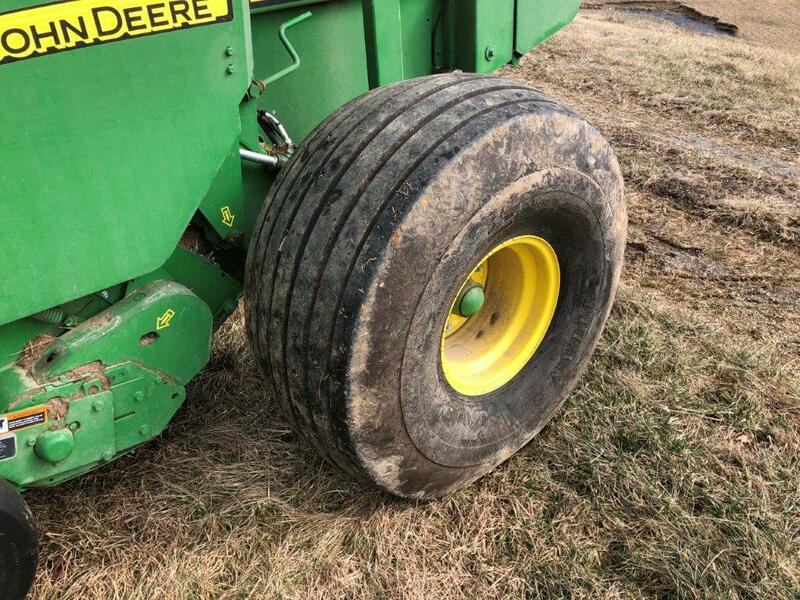 This is one of the best lines of farm equipment we have had the opportunity to sell. 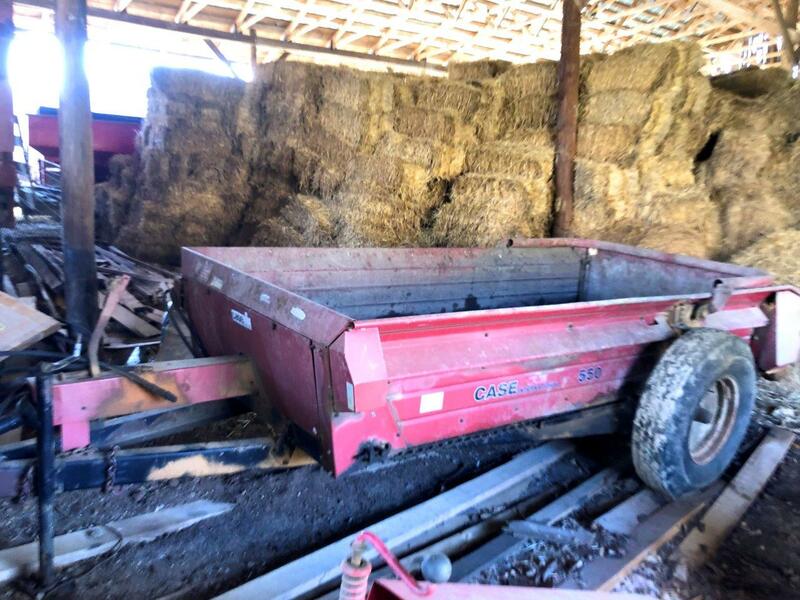 Everything has been sheltered and well cared for. 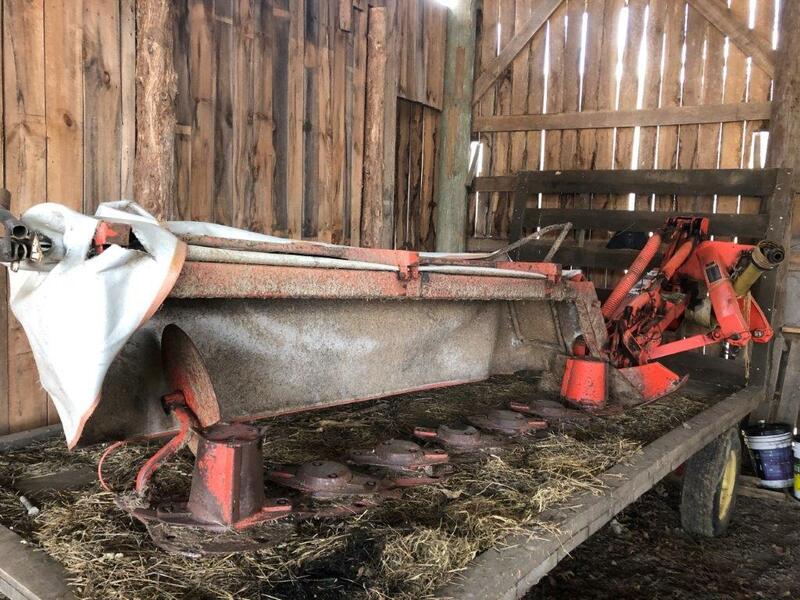 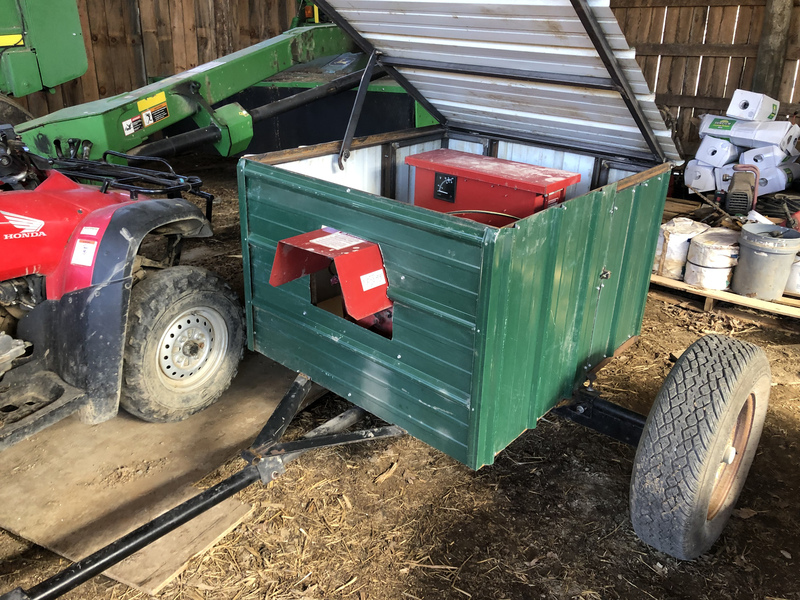 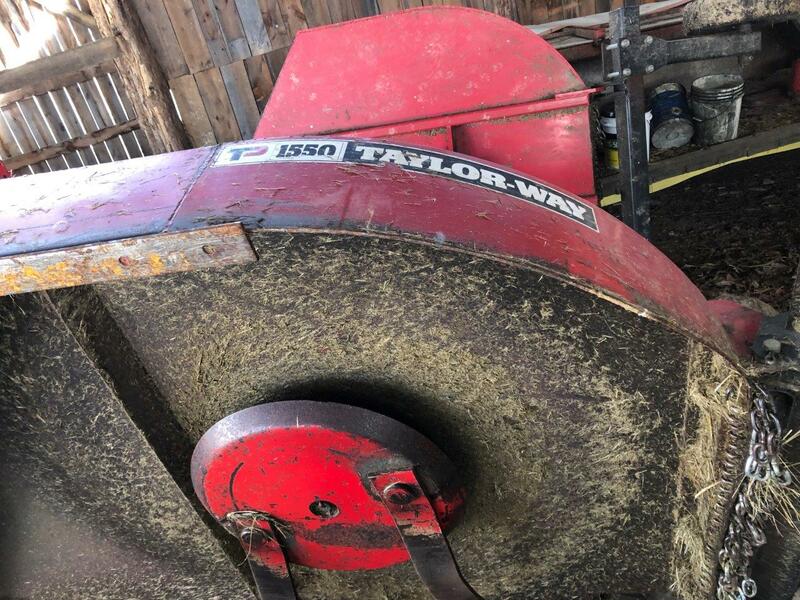 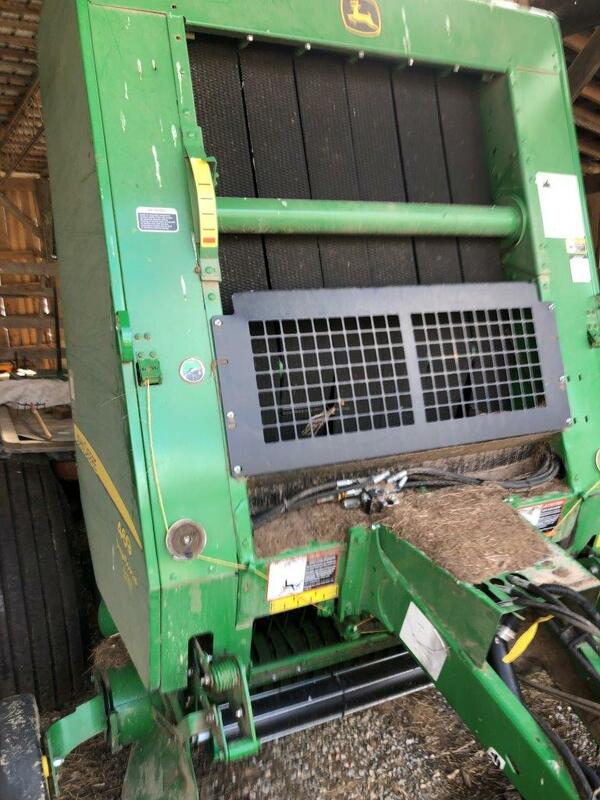 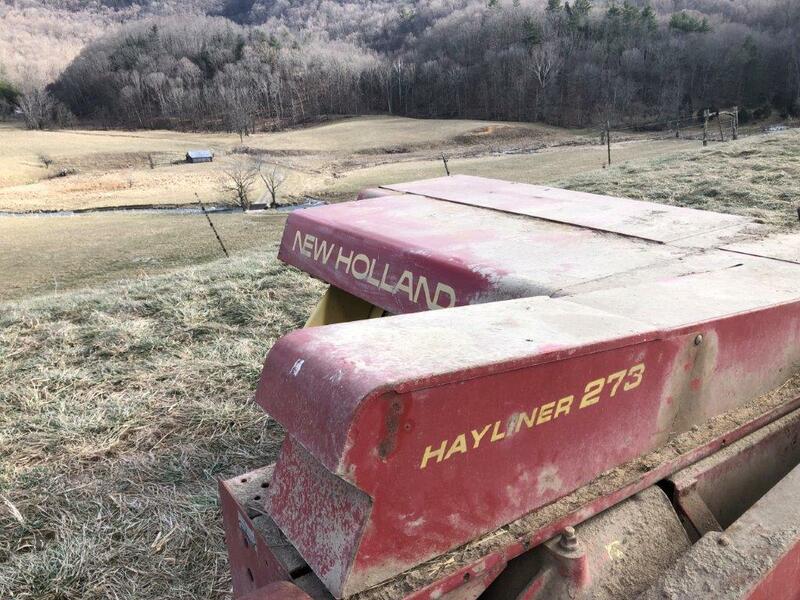 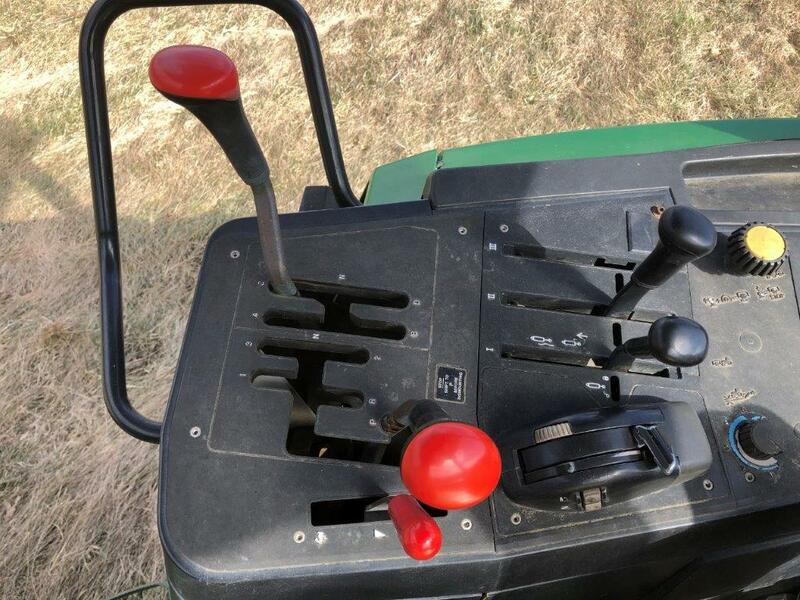 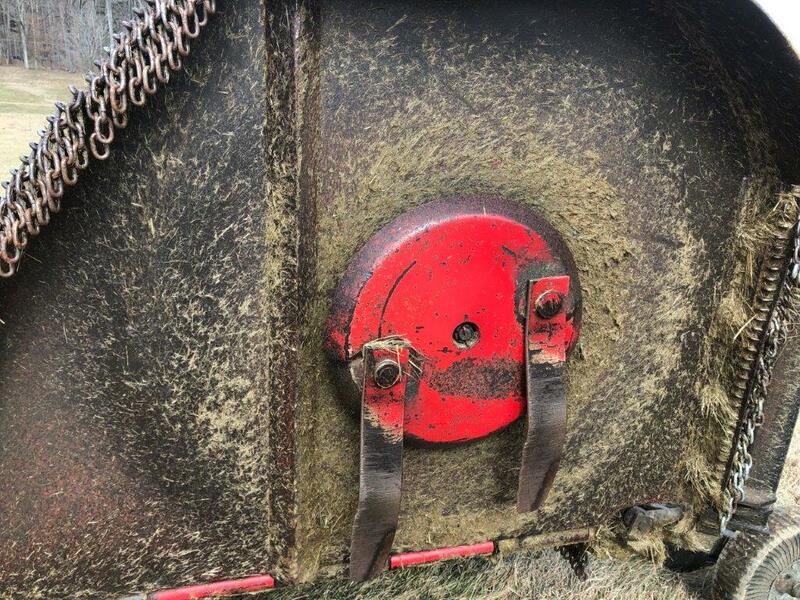 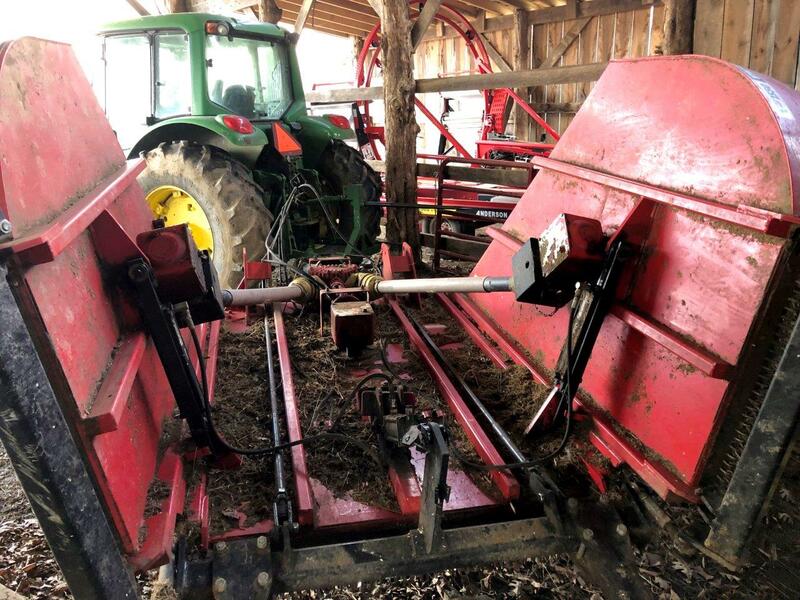 Since this was a working farm, we are confident this equipment will fulfill your expectations. 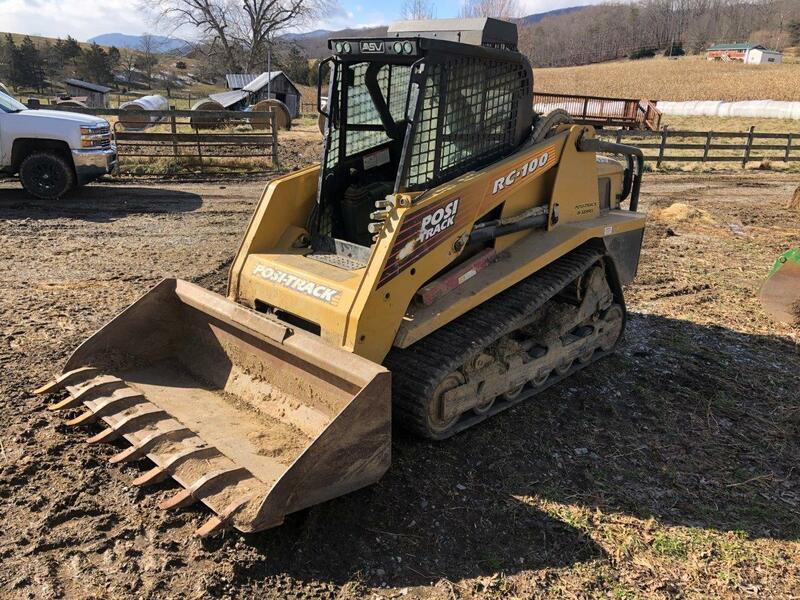 Online Bidding Powered by Proxibid, on select items. 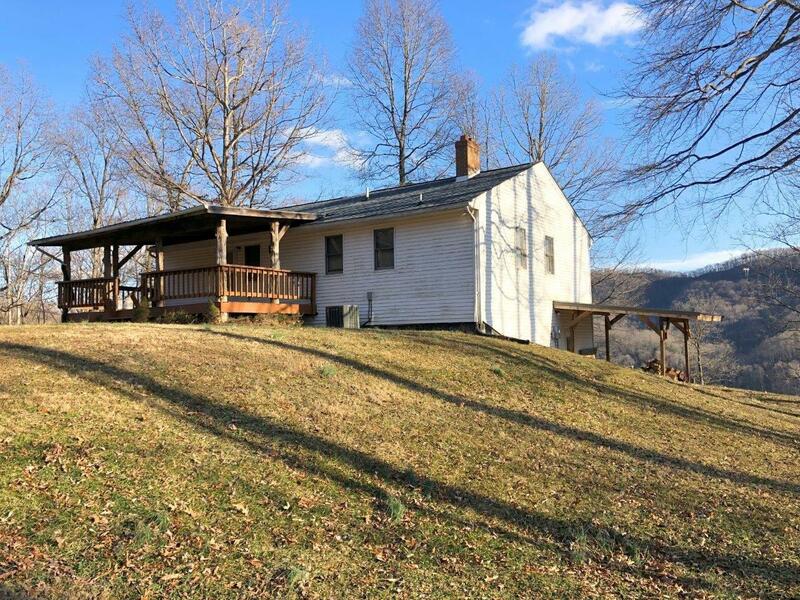 Perched high on the hill with a grand view of the valley below and Catawba Mountain, this ranch style home offers 3 bedrooms and 1.5 bathrooms with 1,136± SF on the main level and a full basement. 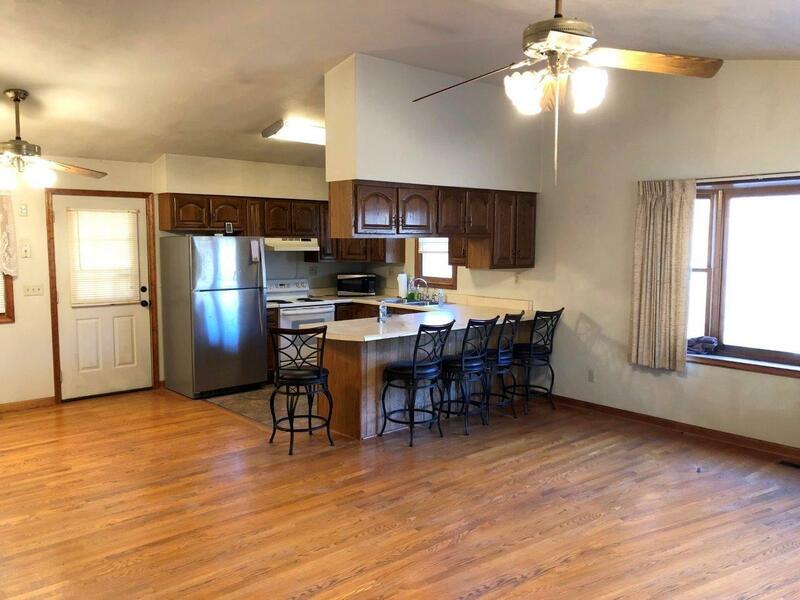 The home has an open floor plan with ample living space for the living room, kitchen and dining area. 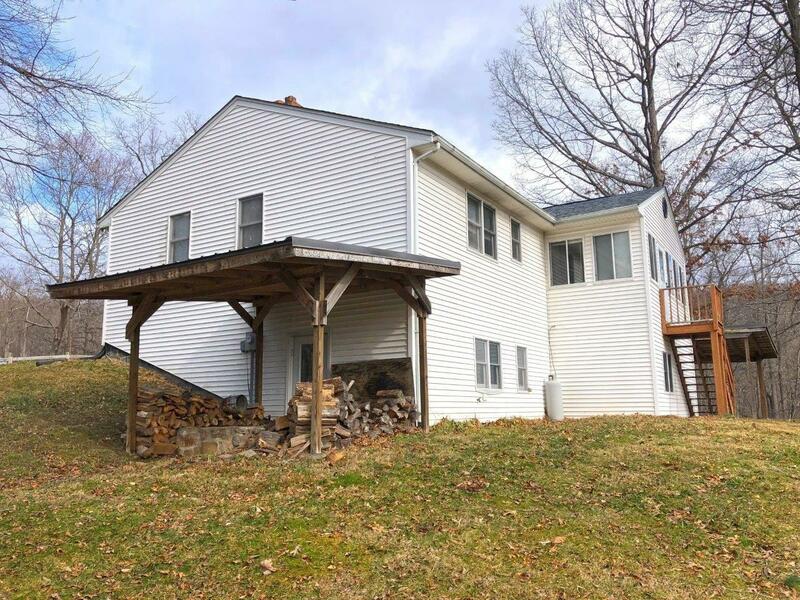 There are hardwood floors in the living and dining rooms and carpet throughout the bedrooms. 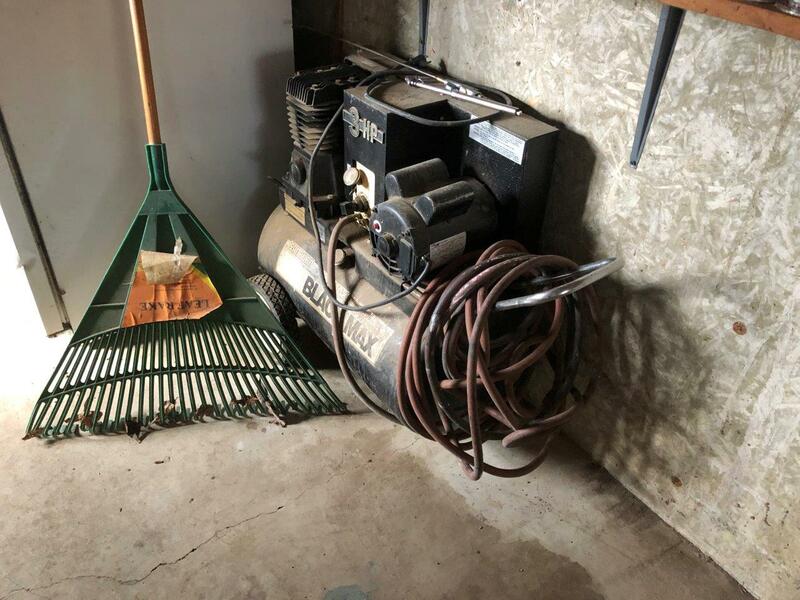 The unfinished 1,136± SF full basement contains the laundry, garage, and storage area as well as a wood stove to supplement the heat pump. 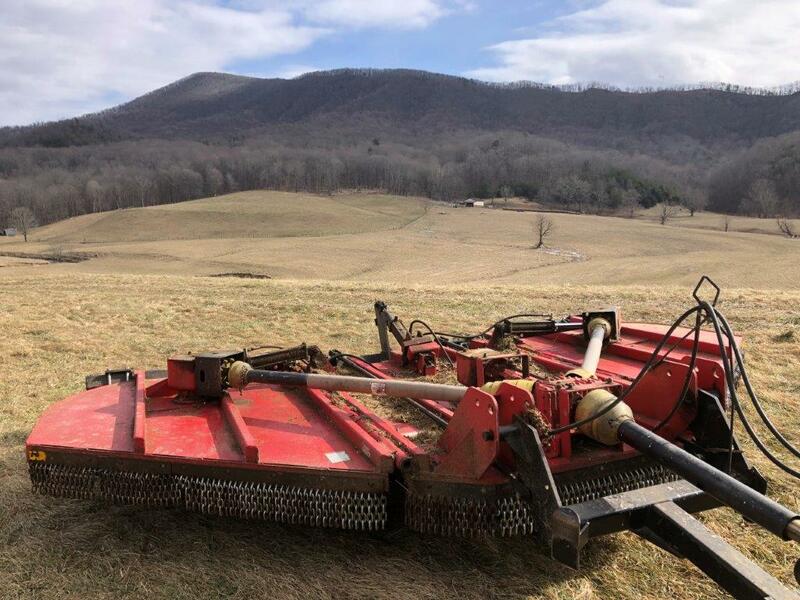 Zoned Agricultural Rural Preserve (Roanoke County, VA). 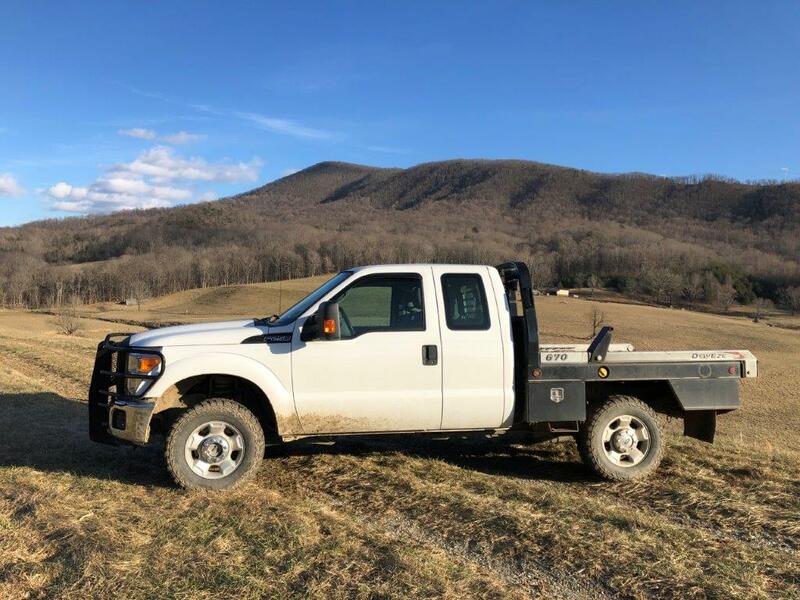 6030 Catawba Creek Road, Troutville, VA 24175: From Roanoke take I-581 North to south on I-81. 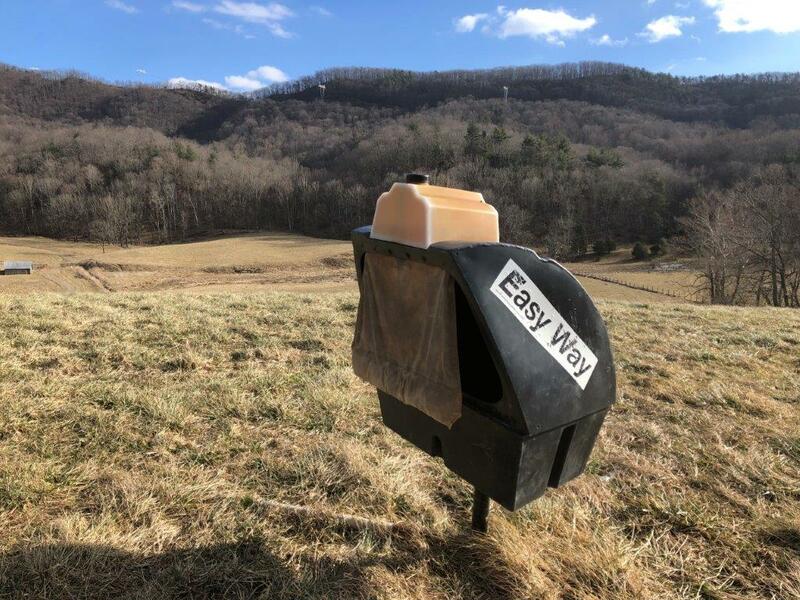 Take Exit 141 New Castle/Salem/VA 311 N. At light turn left on Electric Road. 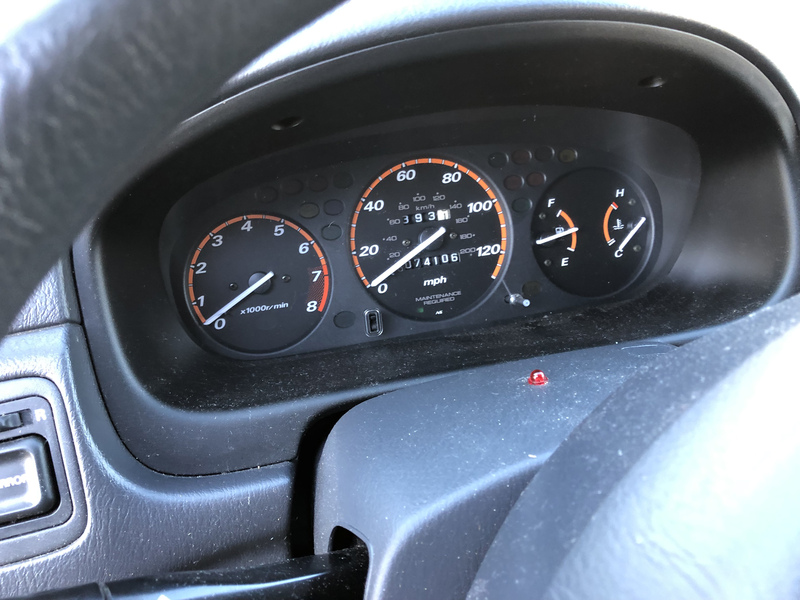 Go 0.37 mile to stop light and turn right on Catawba Valley Drive VA 311. 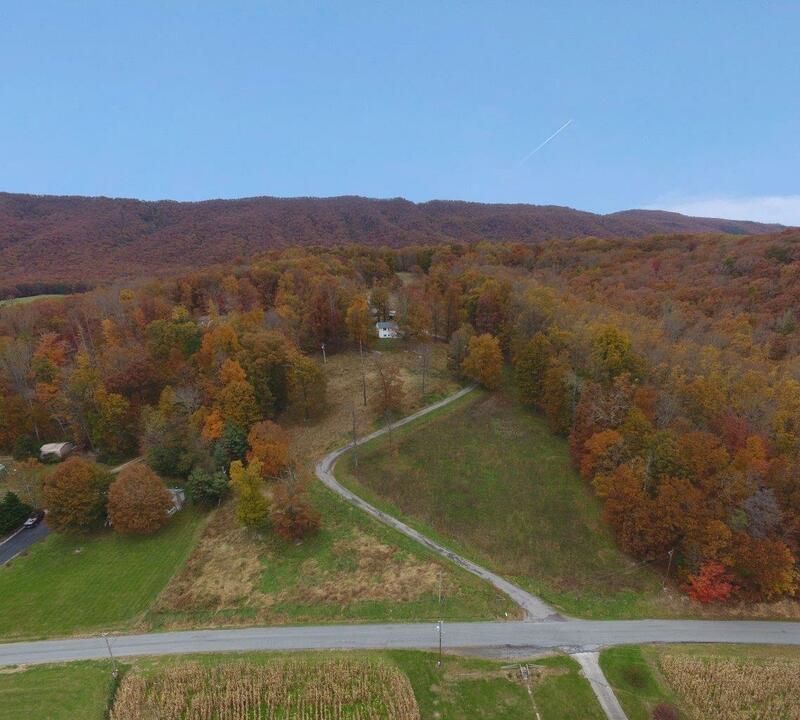 Go 6.7 miles and turn right on Catawba Creek Road and go 2.54 miles to house on left and equipment on the right. 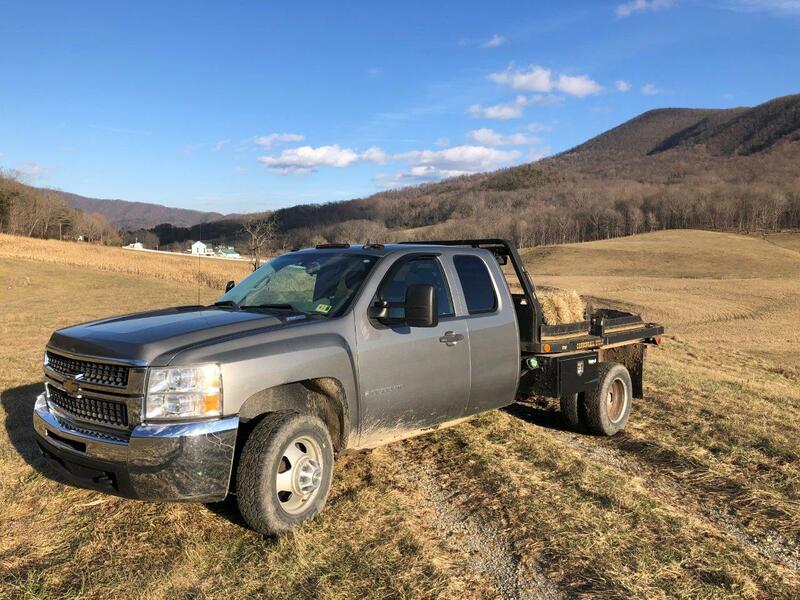 Any broker actively licensed in the Commonwealth of Virginia whose agent properly registers the successful high bidder will be paid a two percent (2%) commission at settlement by the Seller. 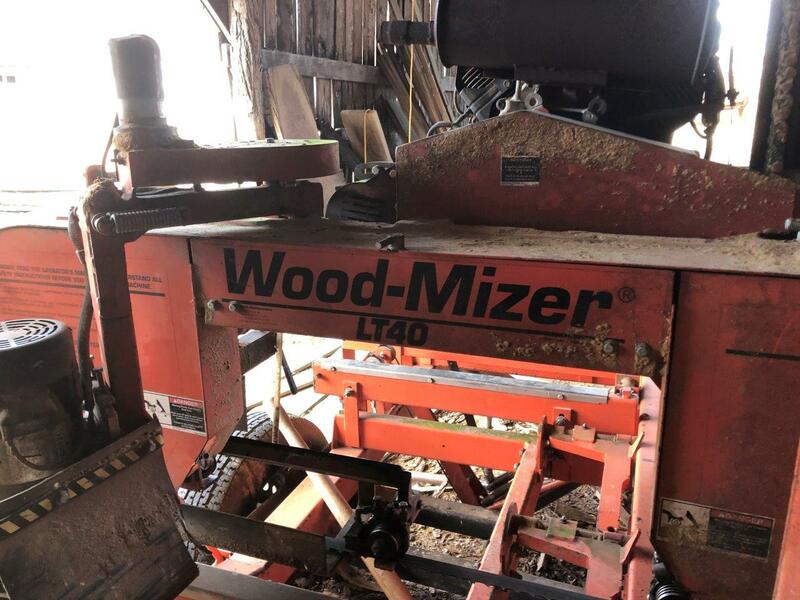 Registration must be on a Woltz & Associates, Inc. 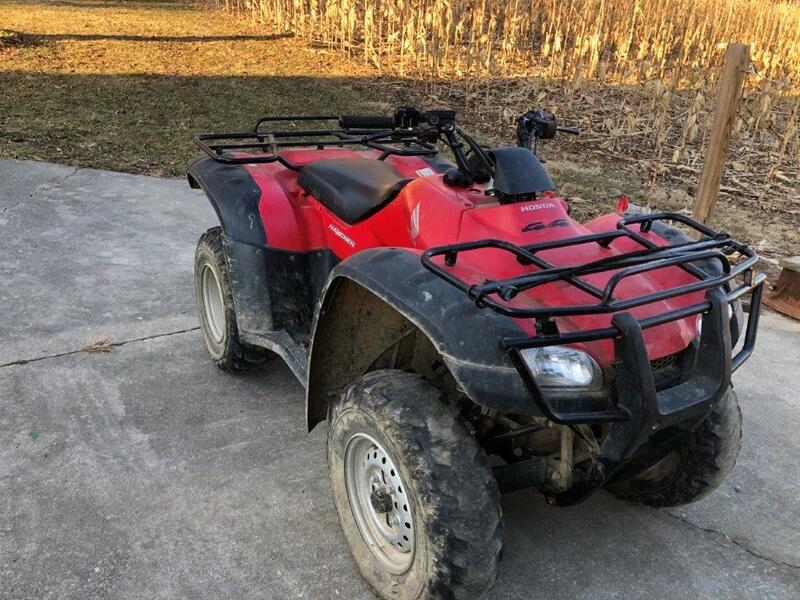 Broker Participation Application form and contain the name, address, and signature of agent and prospect as well as a Broker’s license number and Federal Tax ID number. 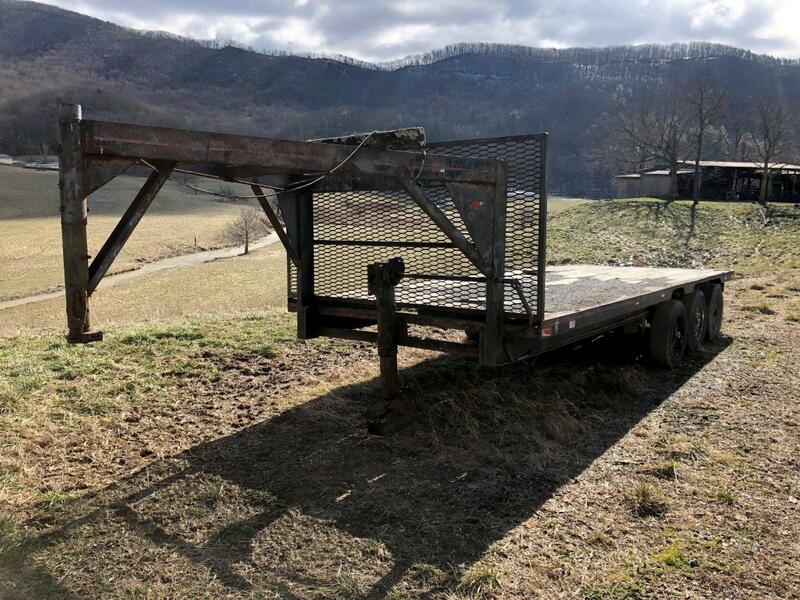 The form must be received in the office of Woltz & Associates, Inc. by 12:00 noon on March 28, 2019. 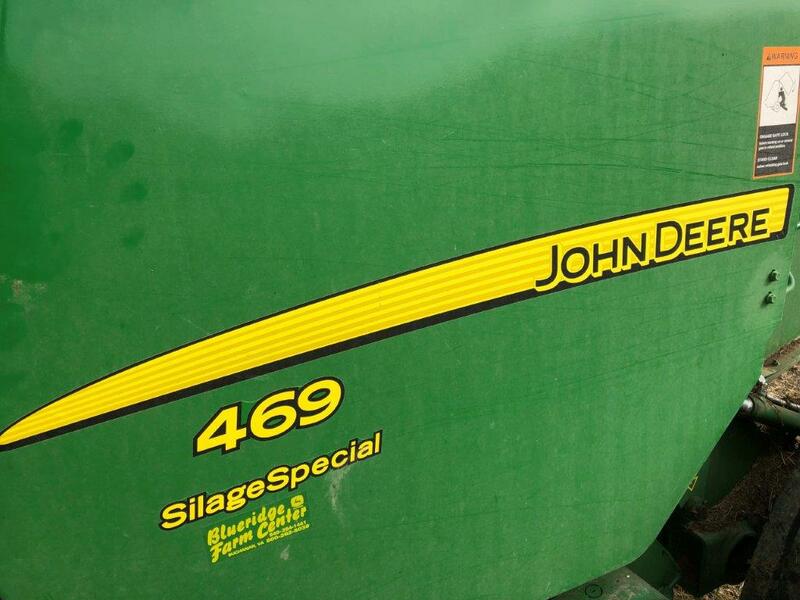 If prospect attends preview, the agent must attend with prospect. 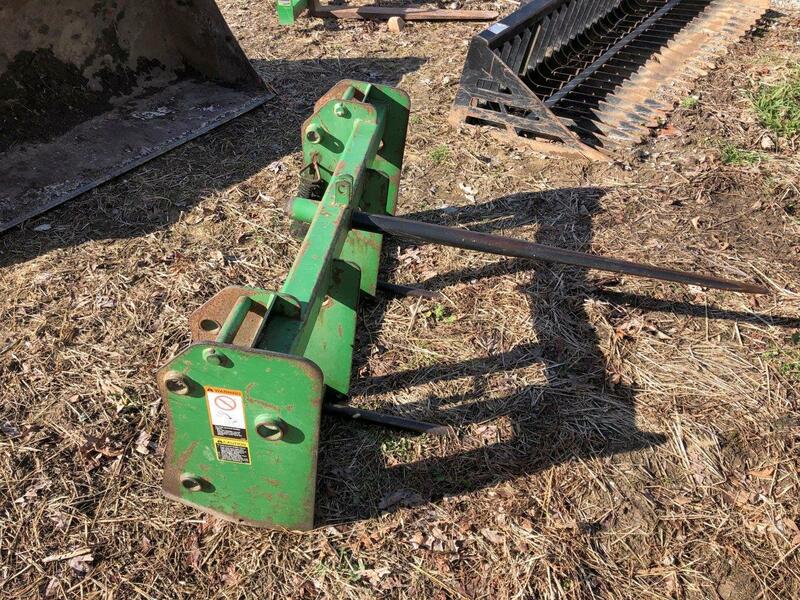 Additionally, the agent must attend sale and co-register with the prospect on auction day. 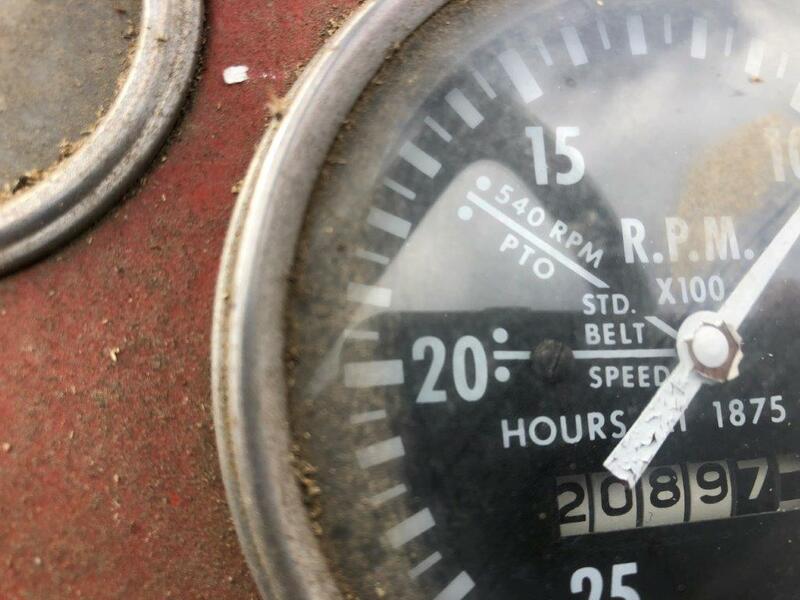 Only the first broker to register the high bidder will be paid a commission. 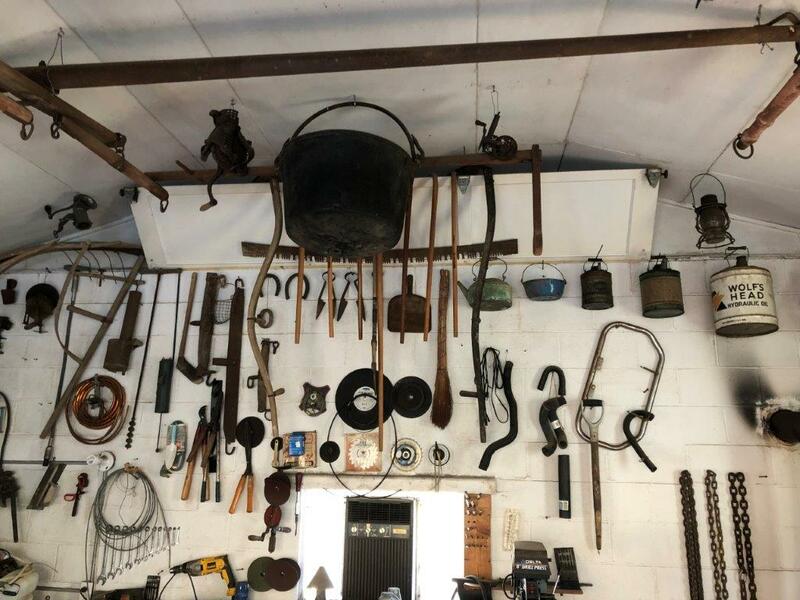 Agents acting as principals, on behalf of licensed real estate agents, on behalf of family members, on behalf of entities in which they hold an ownership interest or who represent prospects who have had prior contact with seller or auction company are not eligible. 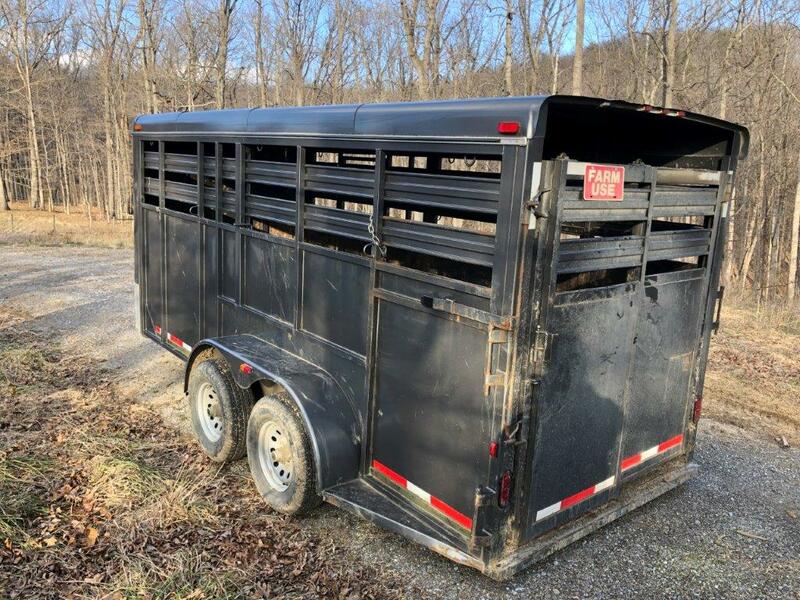 Only one registered bidder per agent. 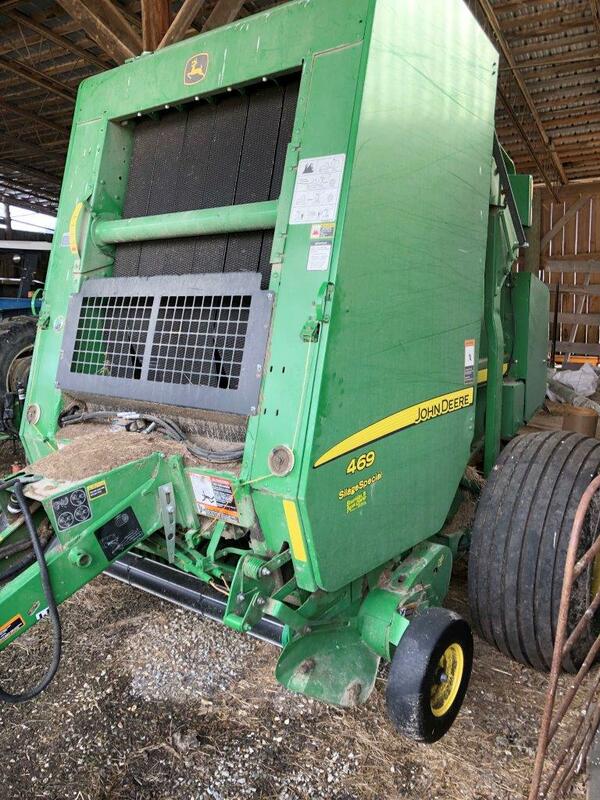 REGISTRATION: Bids will be accepted only from registered bidders. 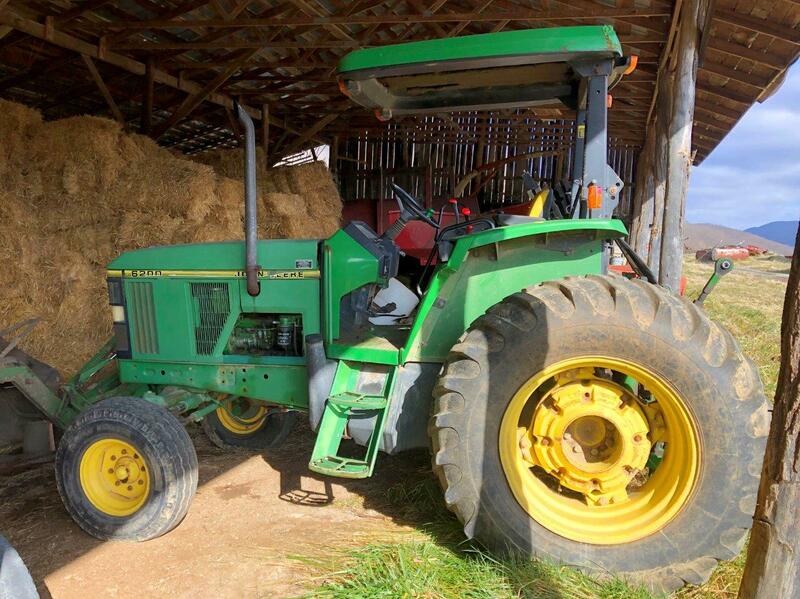 Registration begins at 8:30 AM. 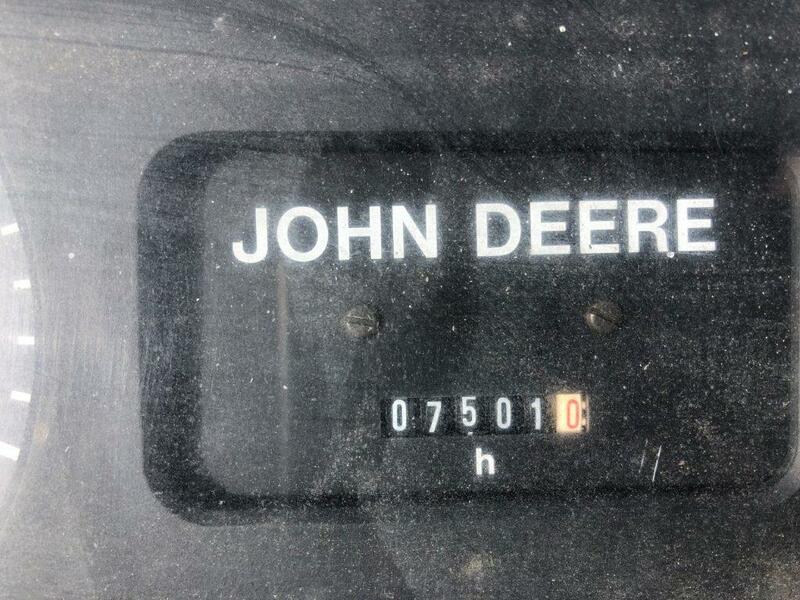 Please bring a driver’s license for identification. 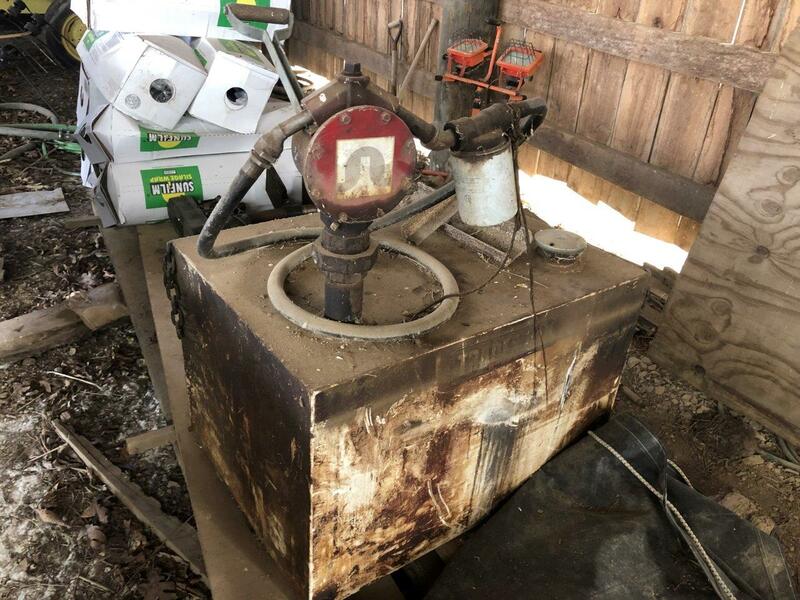 AUCTION SALE: THE REAL ESTATE is being sold subject to Seller confirmation. 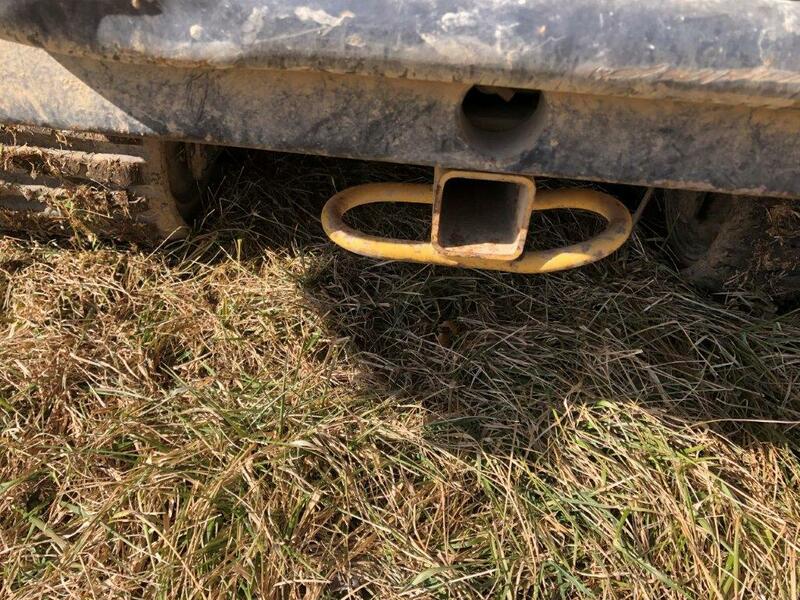 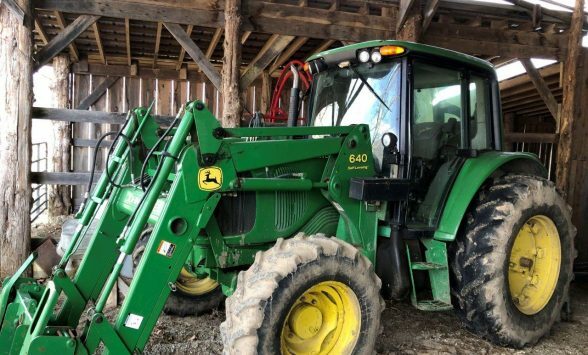 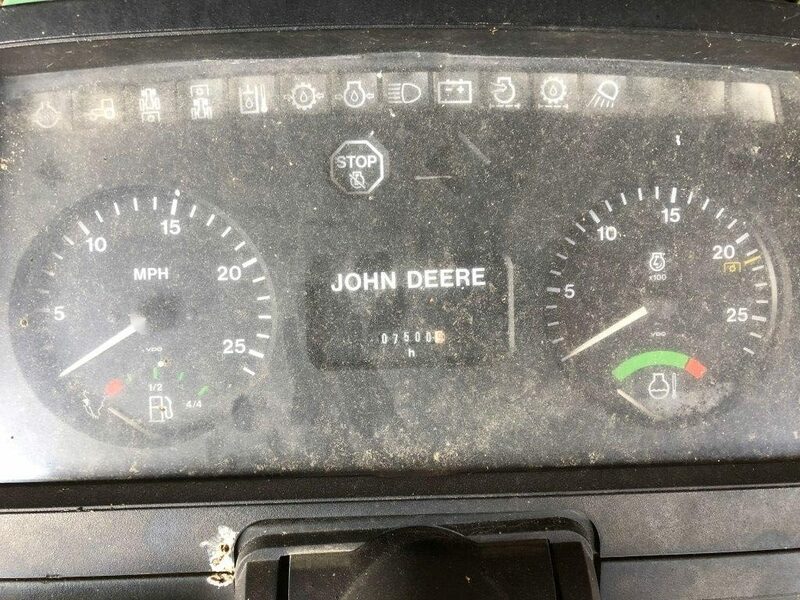 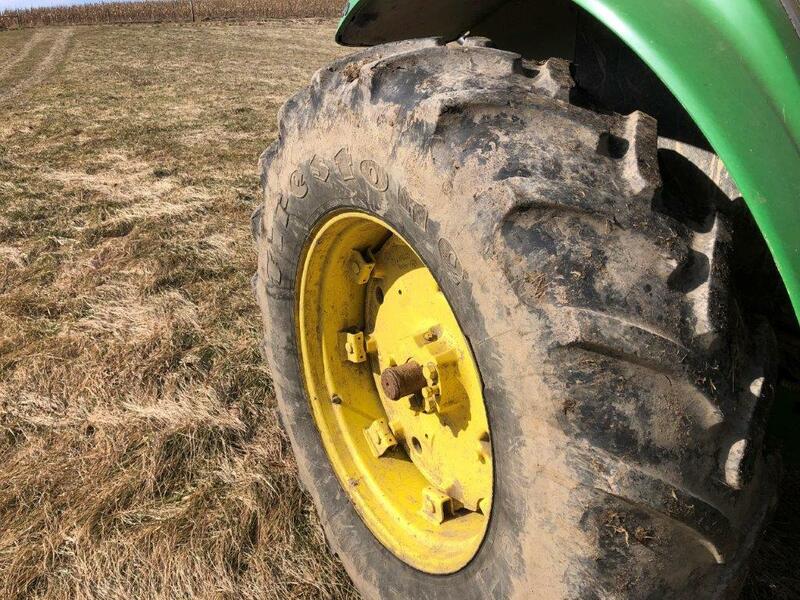 THE FARM EQUIPMENT will be sold absolute to the highest bidder regardless of price. 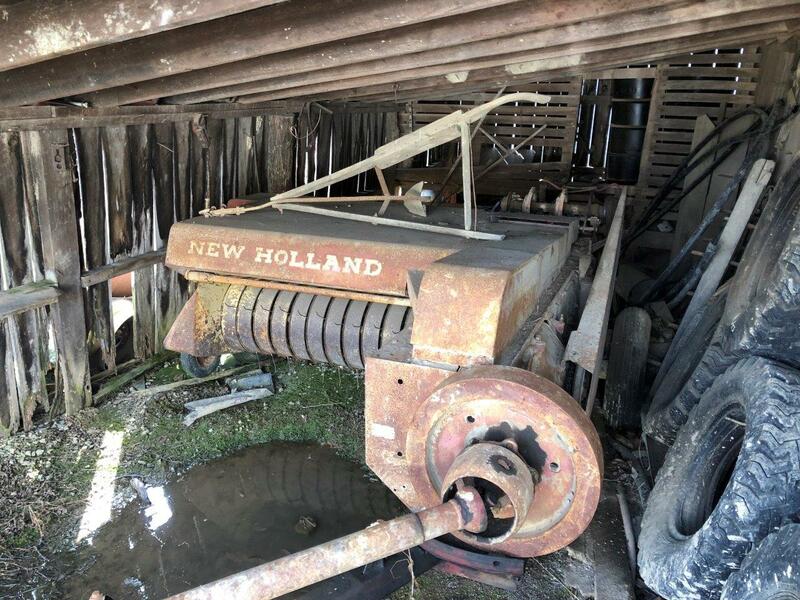 ALL SALES ARE FINAL: All property is auctioned “AS IS, WHERE IS” with all faults in its condition at the time of sale without recourse by way of refund, reduction of the purchase price, or otherwise. 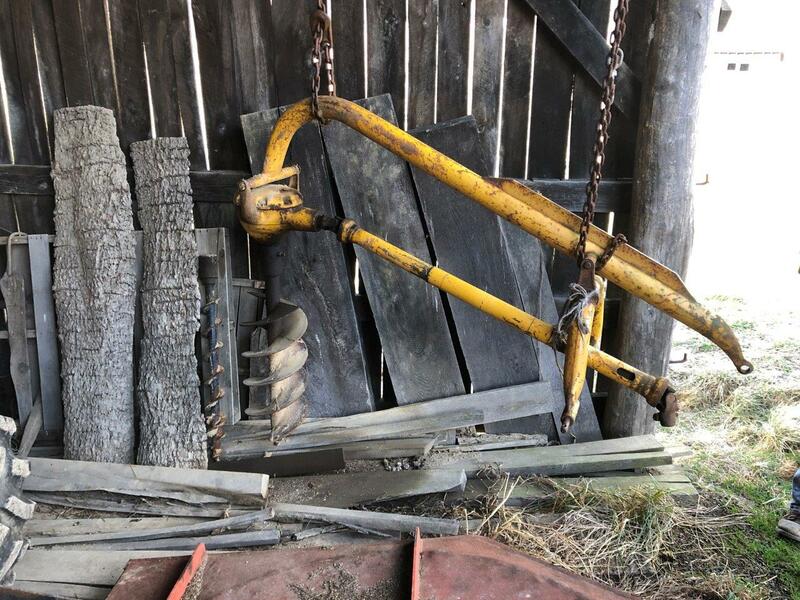 Bidders should perform such independent investigation with respect to the property as they deem necessary or appropriate. 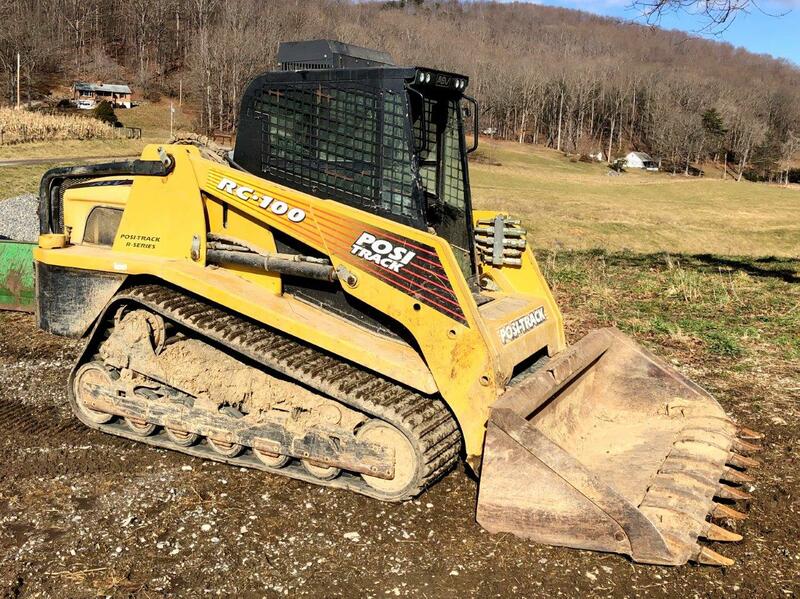 FINANCING: Your bidding and purchase of the property are NOT CONDITIONAL UPON FINANCING. 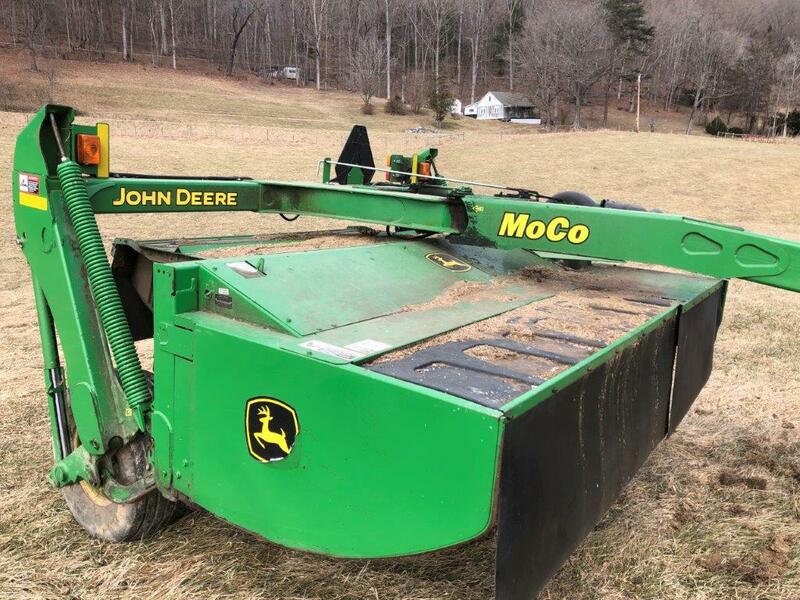 Be sure you have arranged financing, if needed, and are capable of paying cash at closing. 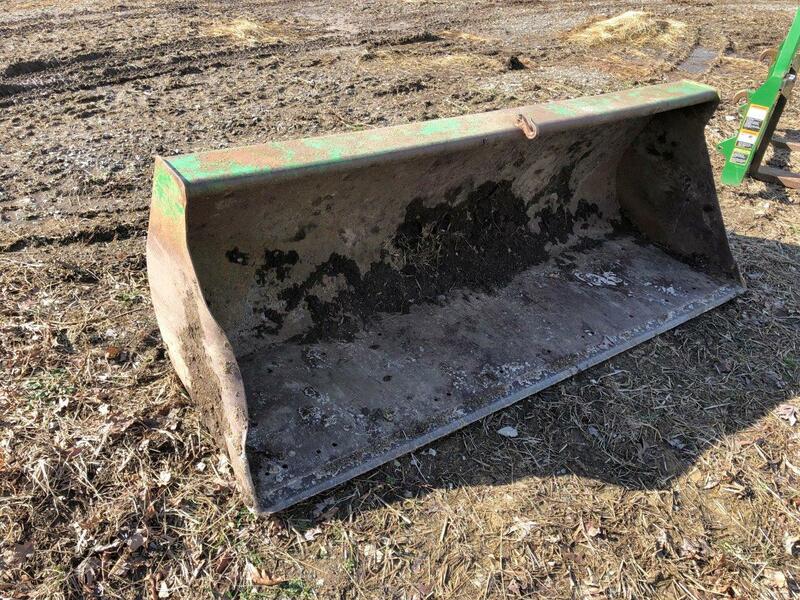 BUYER’S PREMIUM: The Buyer’s Premium on the real estate is seven percent (7%) of the high bid amount. 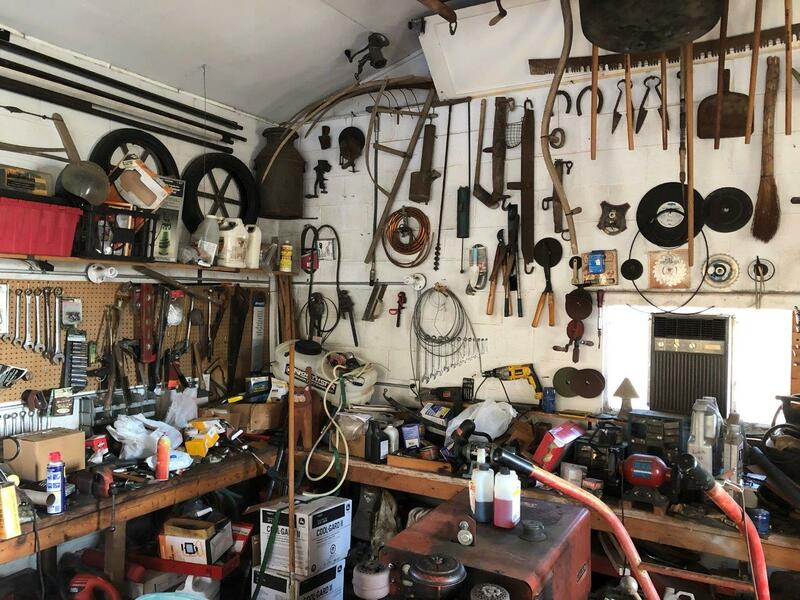 The Buyer’s Premium on the personal property is five percent (5%) of the high bid. 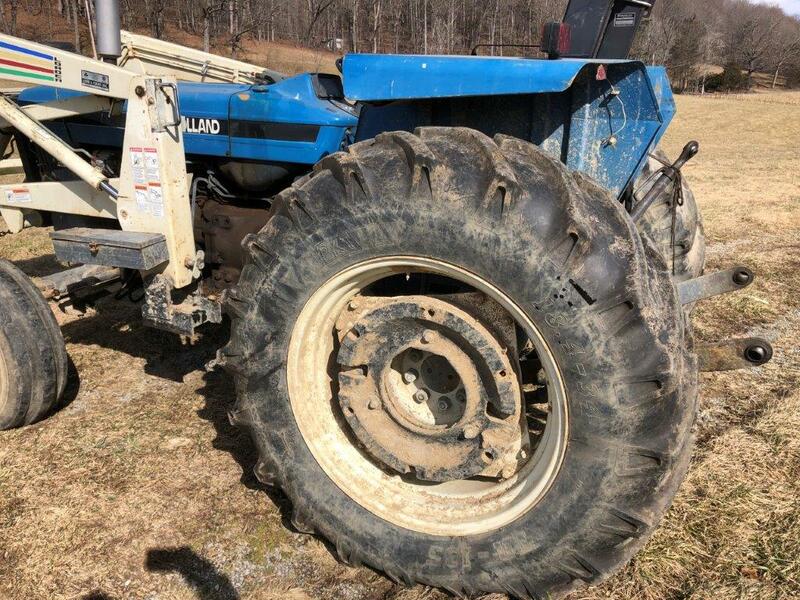 The Buyer’s Premium will be added to the high bid to determine the final sales price. 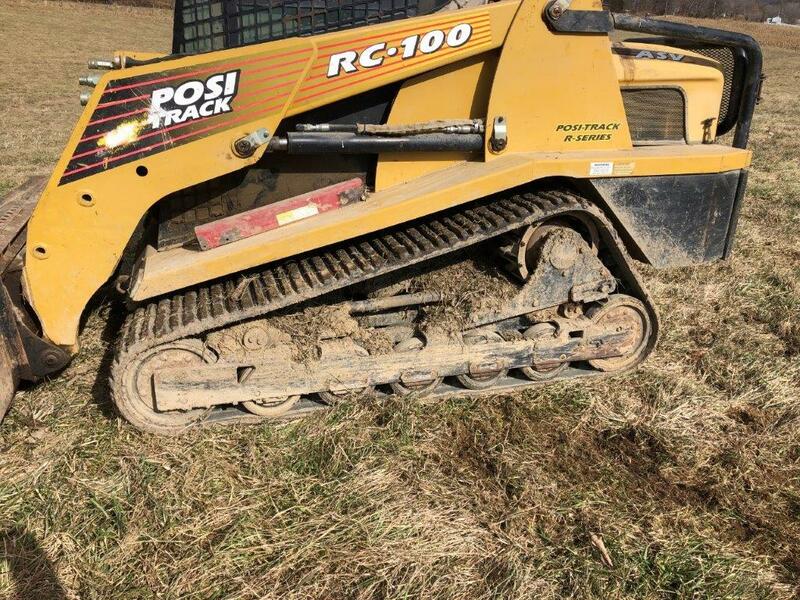 REAL ESTATE DEPOSIT: A deposit in the amount of ten percent (10%) of the contract sales price will be required on the day of sale. 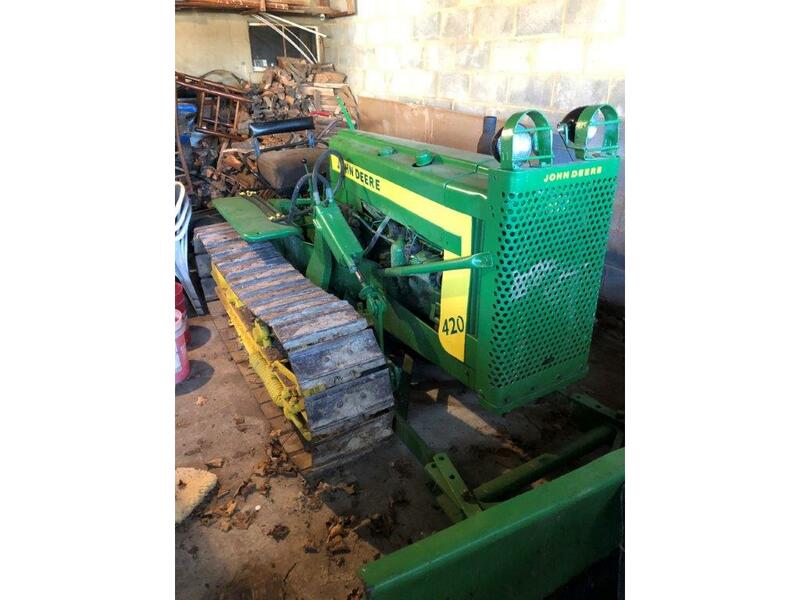 The deposit is payable by cash, official check, or business/personal check payable to Woltz & Associates, Inc. 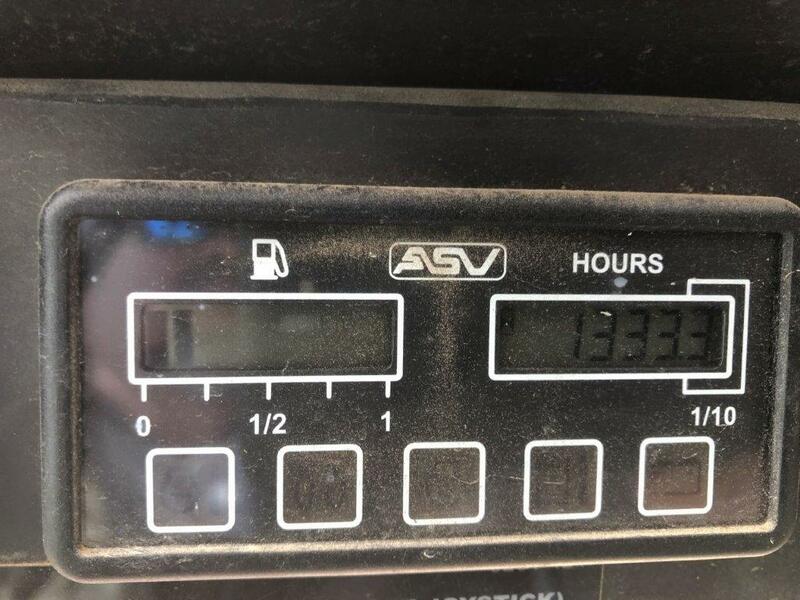 Escrow Account. 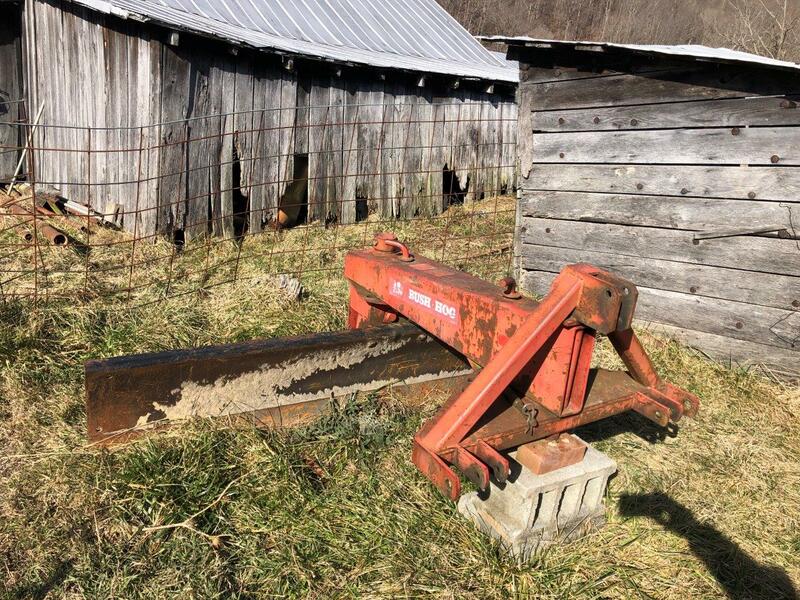 REAL ESTATE DEED: The real estate will be conveyed by general warranty deed free and clear of liens, subject, however, to any rights of way, easements and restrictions of record. 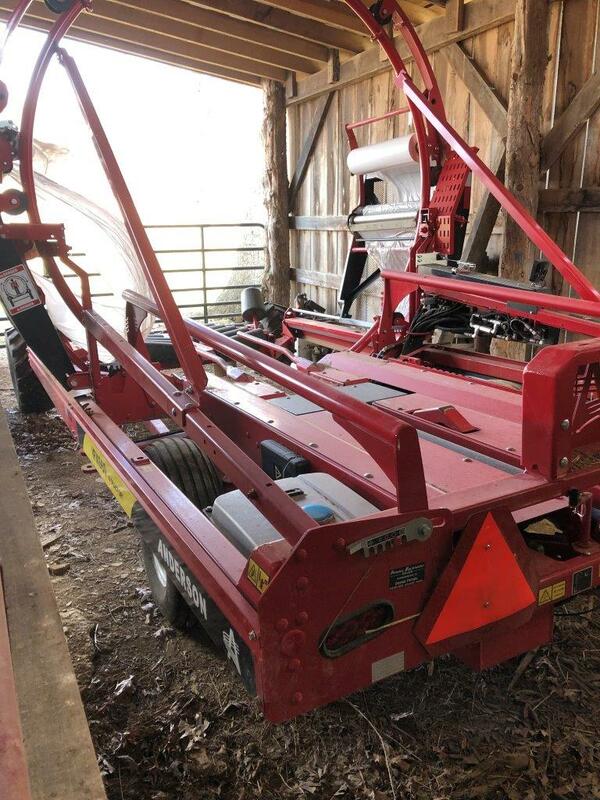 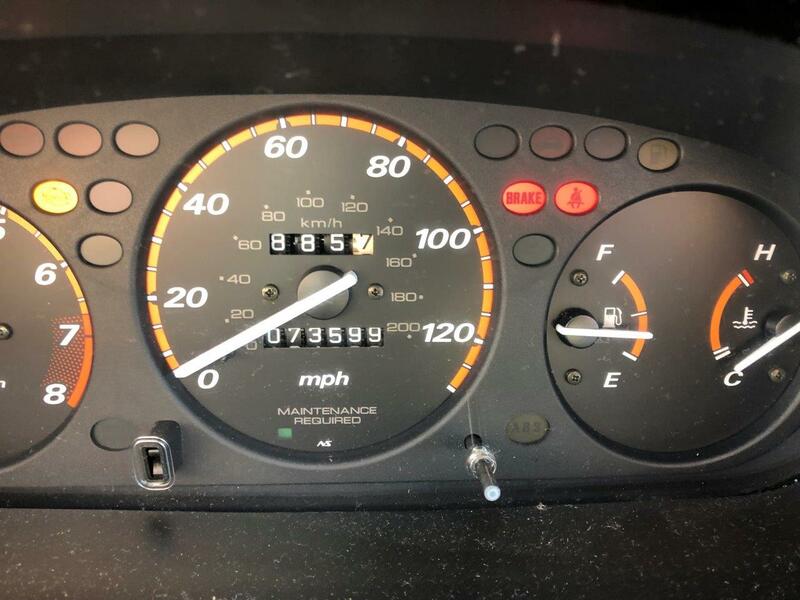 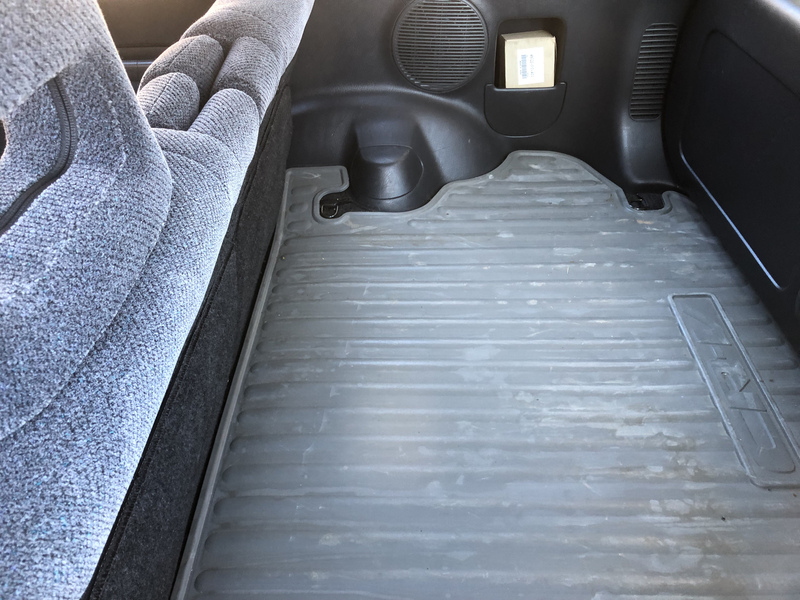 The balance of the purchase price is due at settlement on or before May 14, 2019. 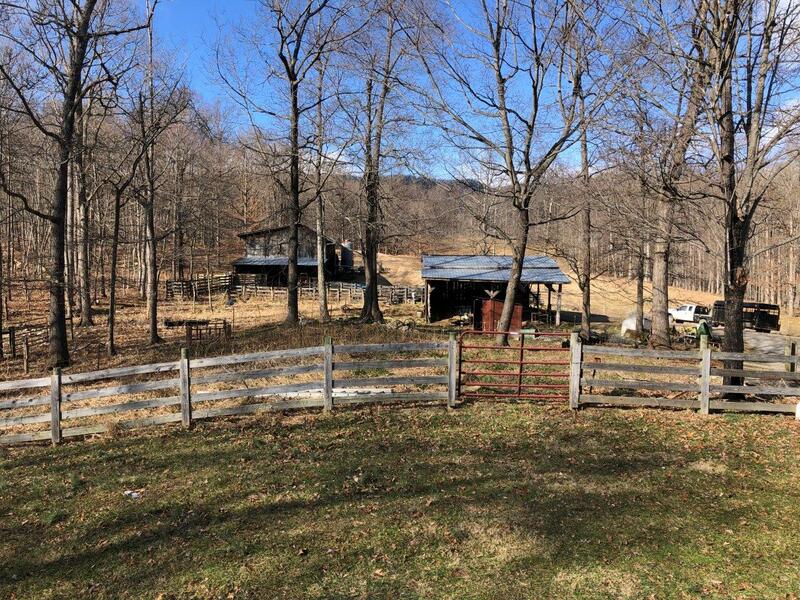 The Property will be deeded in the manner purchased at the auction. 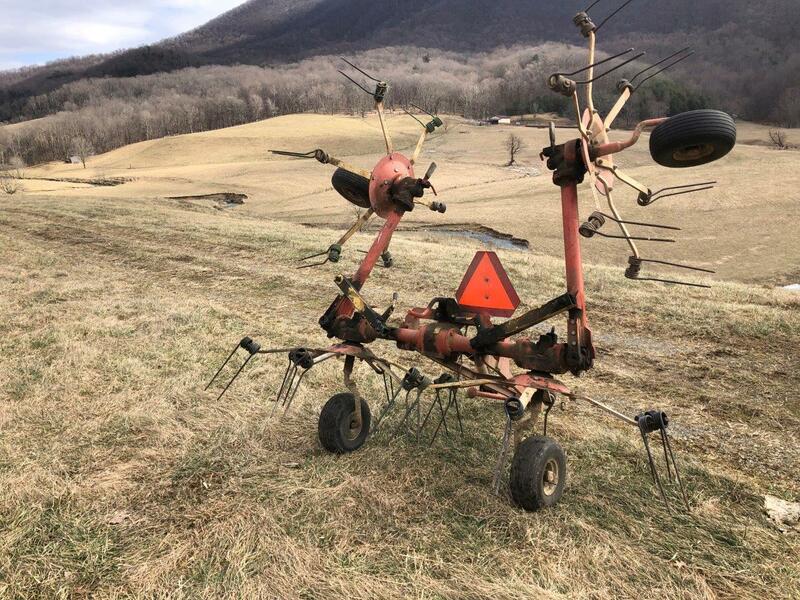 SALES TAX: Applicable Commonwealth of Virginia Sales Tax will be charged on all personal property items unless a Sales Tax Exemption Form is provided or completed. 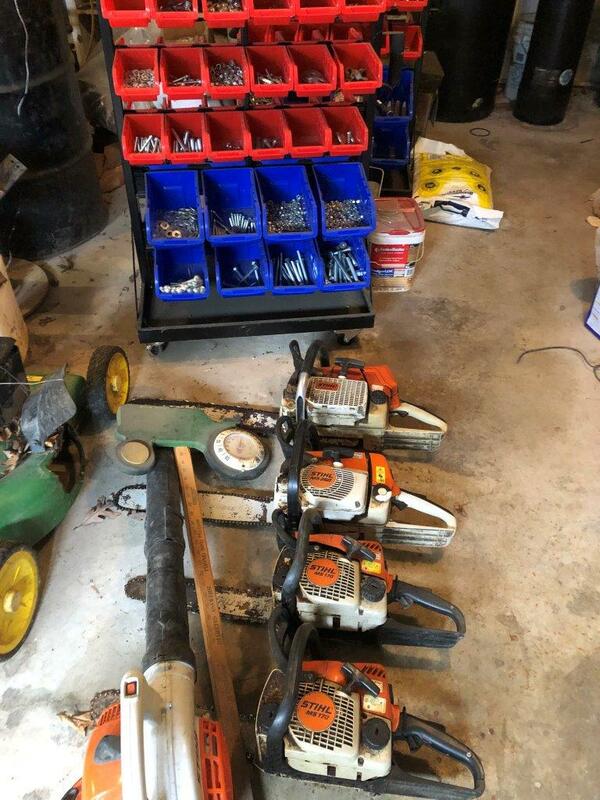 PAYMENT FOR PERSONAL PROPERTY: There will be a five percent (5%) buyer’s premium charged on all items sold. 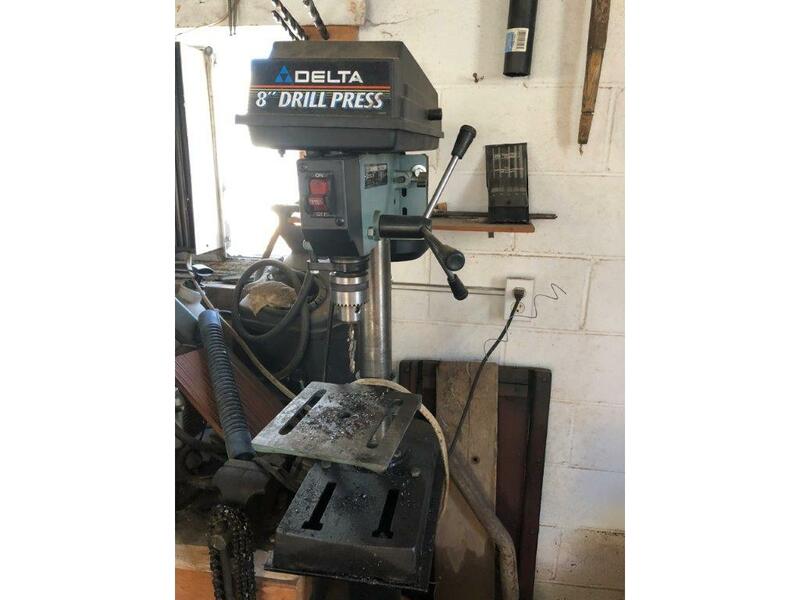 Complete payment is required on sale day in cash, traveler’s check, money order, official check or business and personal check. 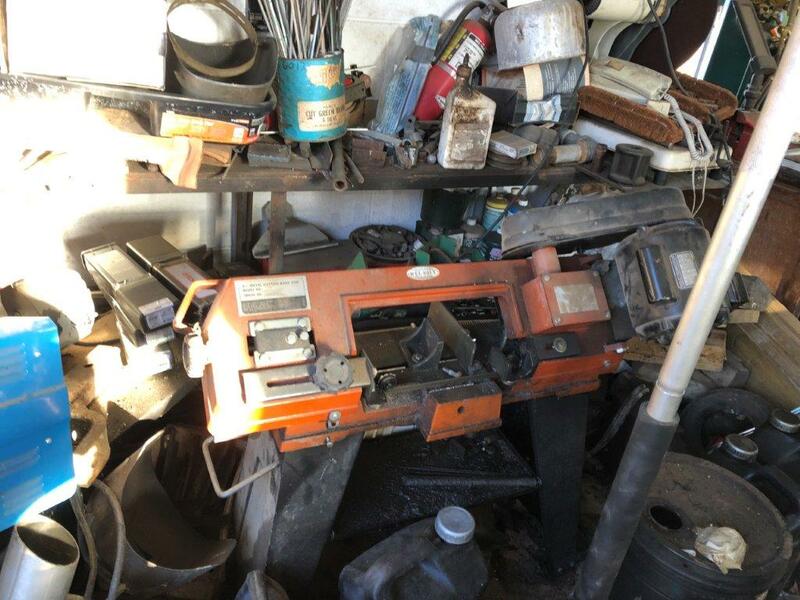 If paid by check, titles will be provided upon the clearing of a business or personal check. 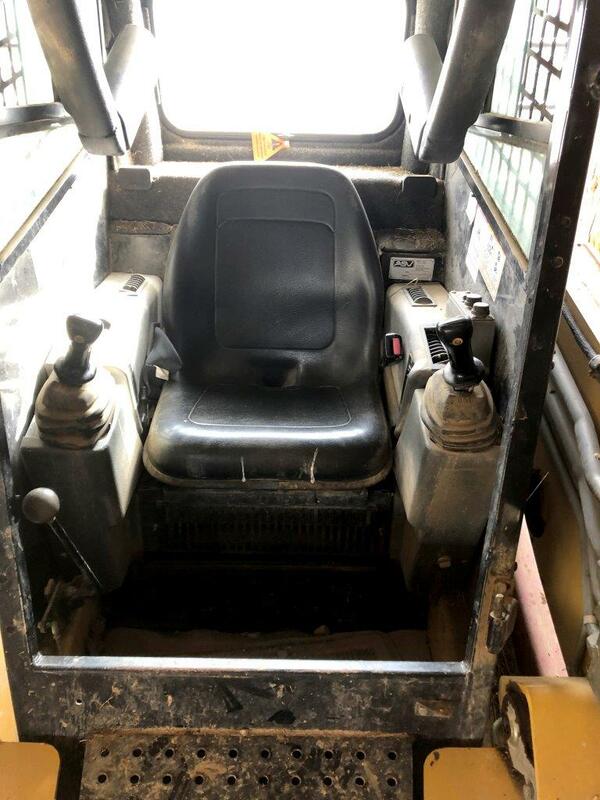 REMOVAL OF PERSONAL PROPERTY: Personal property becomes the responsibility of the Buyer at the time of sale. 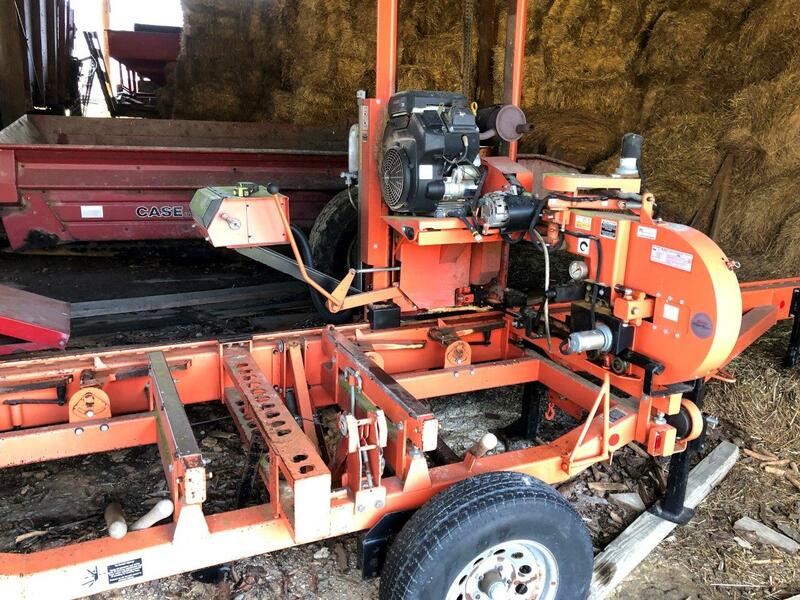 The Auction Company does not provide equipment or labor to remove purchased items. 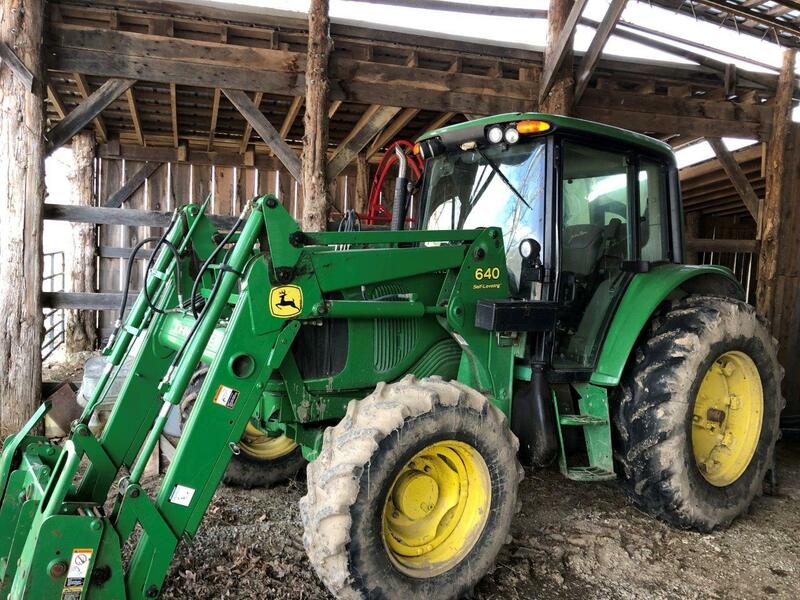 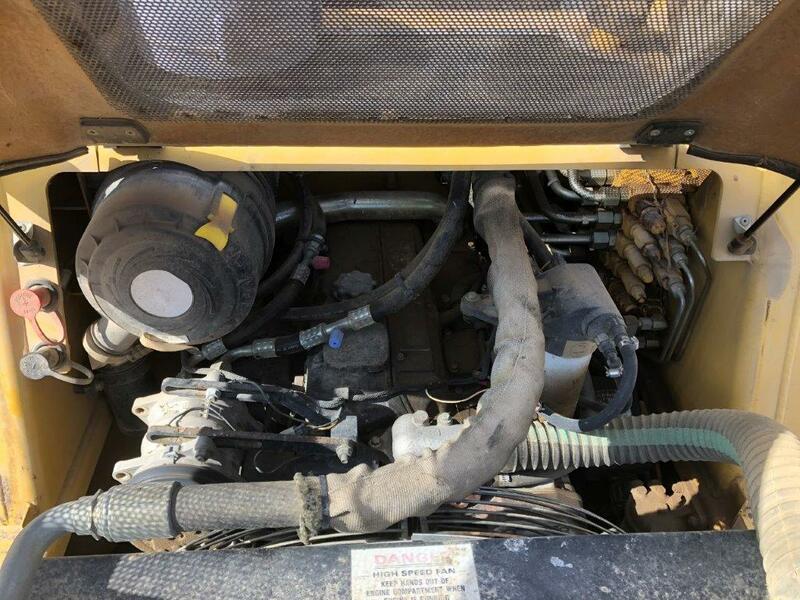 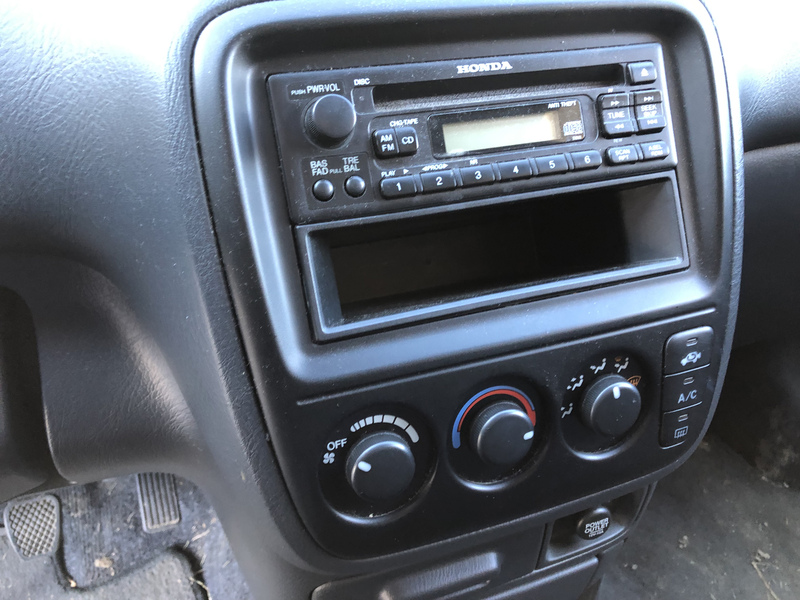 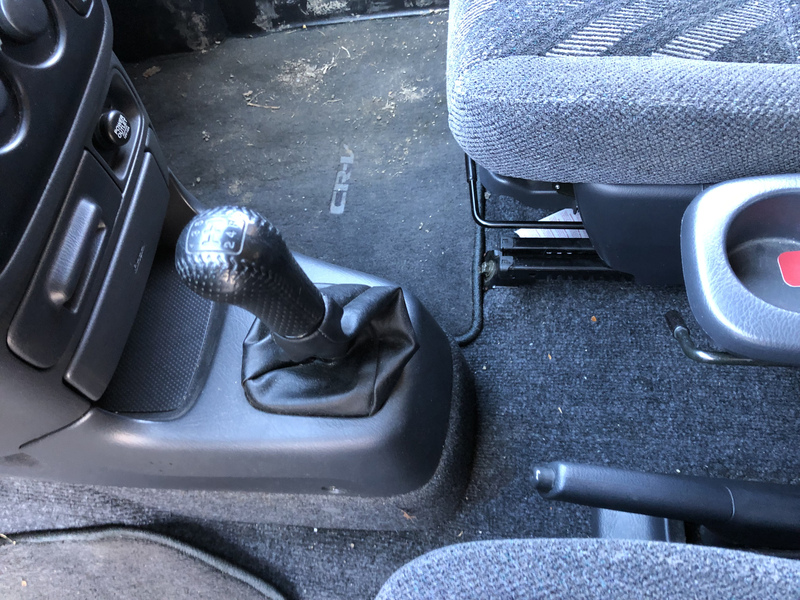 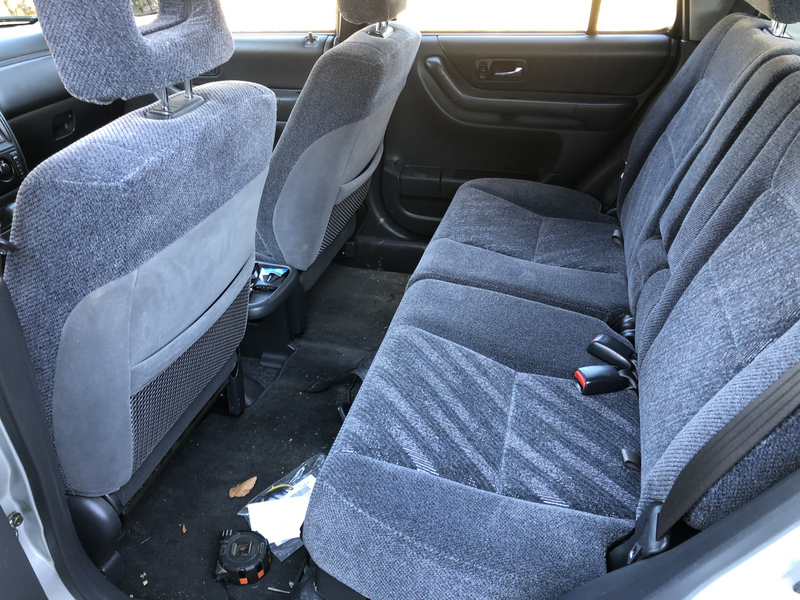 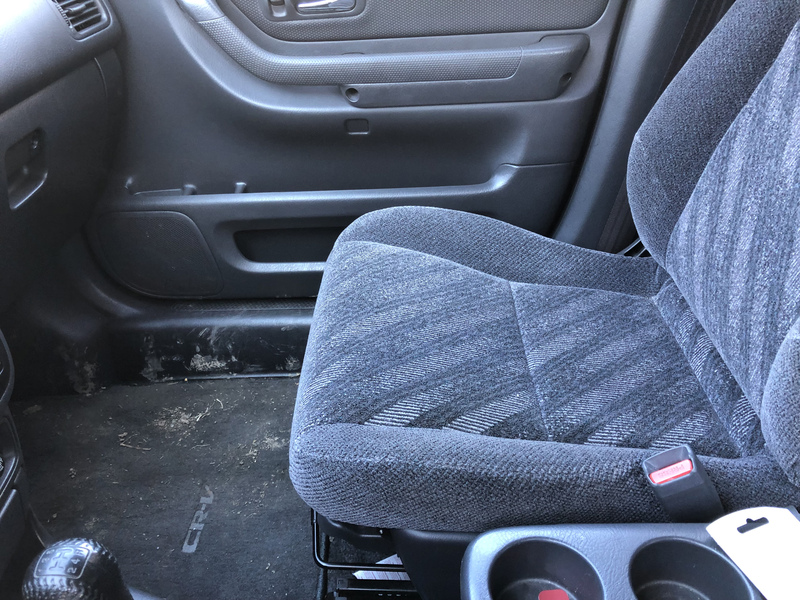 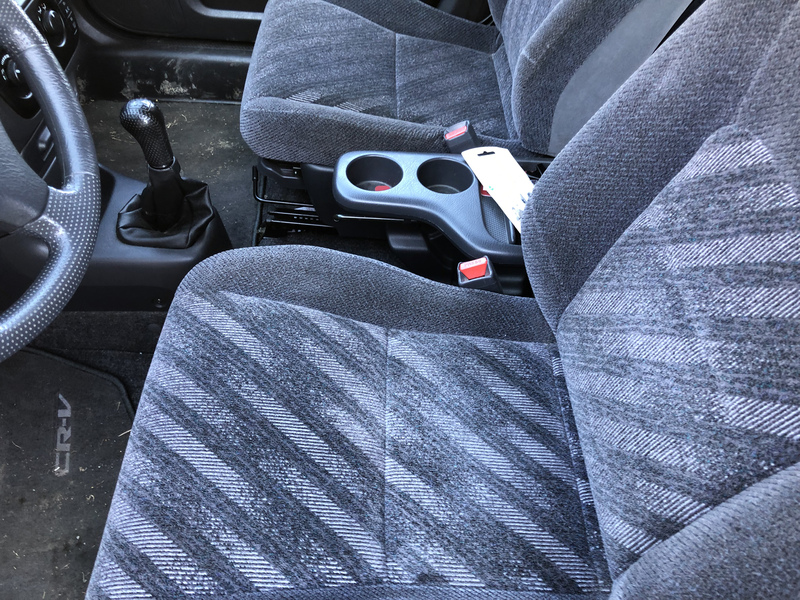 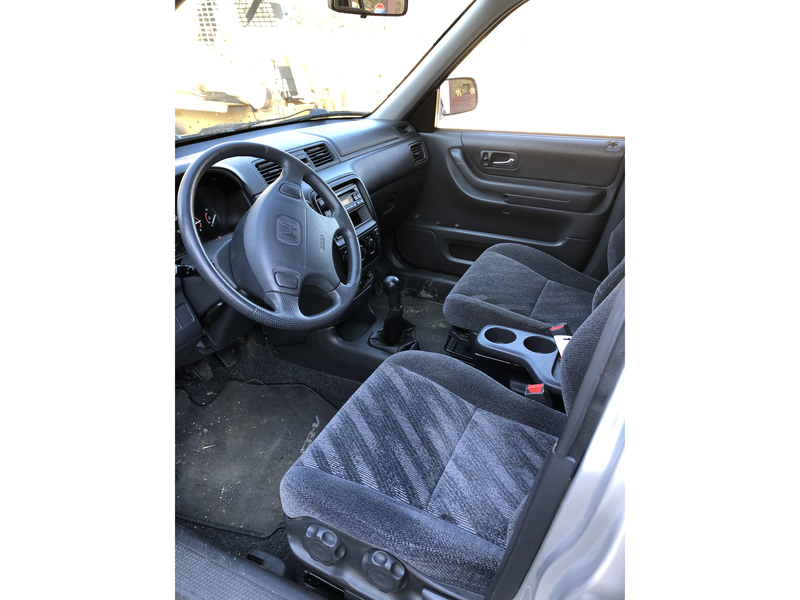 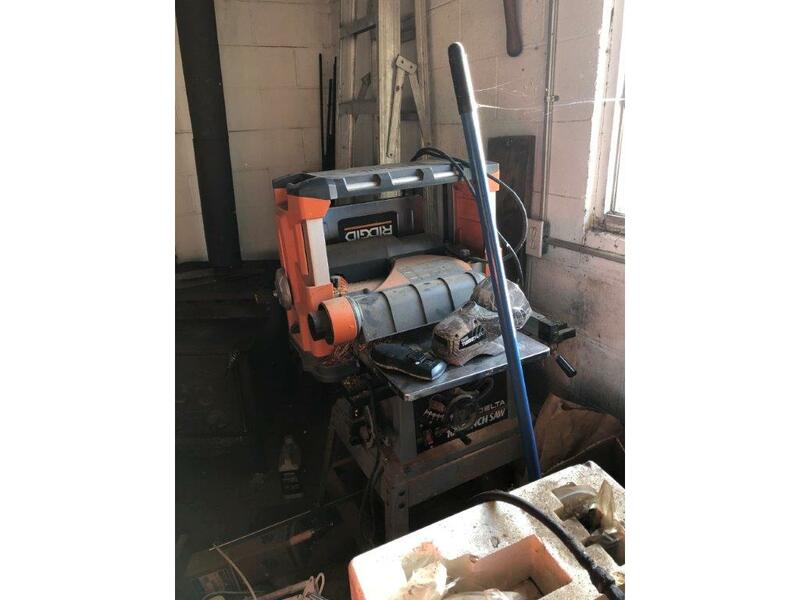 Except for heavy equipment, all personal property must be removed from the premises during the posted times for pick-up unless prior arrangements are made with Auction Company. 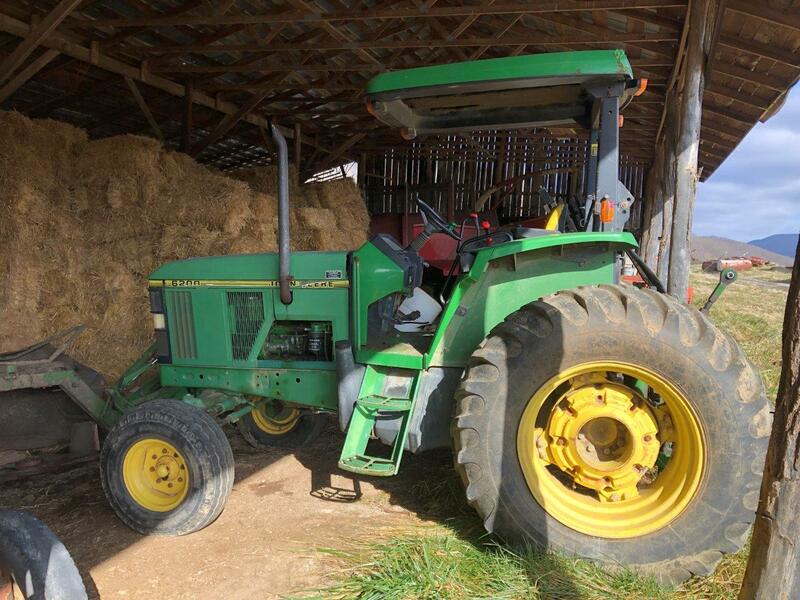 Pick-up times for the personal property will be Friday, March 29 until dark and Saturday, March 30 from 9 AM to 4 PM. 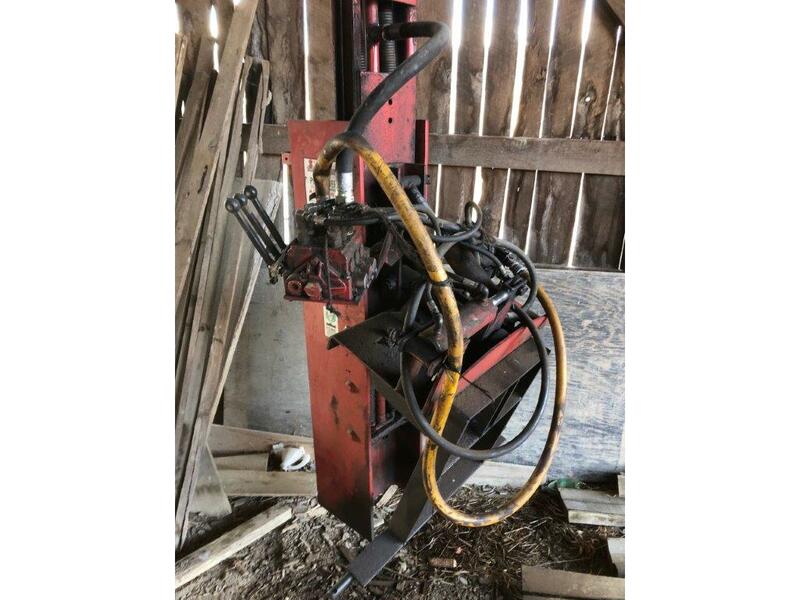 Shipping arrangements and cost are the sole responsibility of the Buyer. 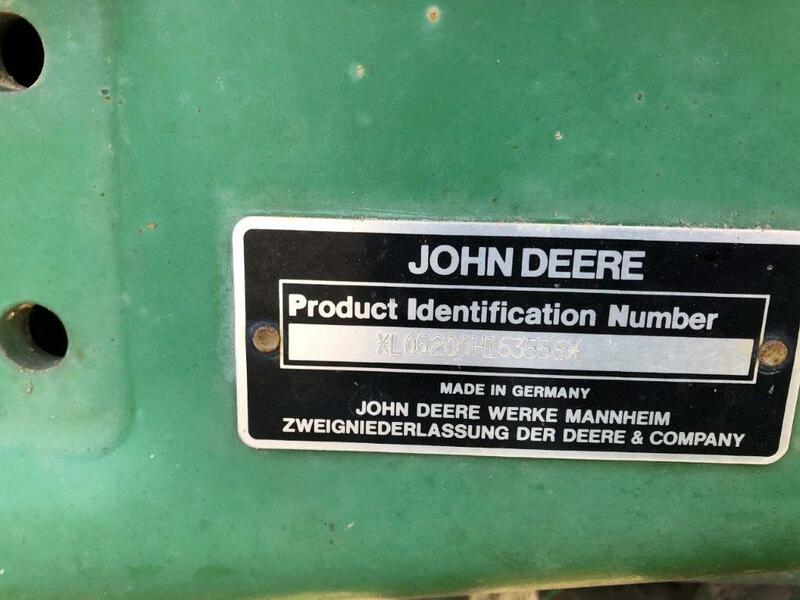 GENERAL: The information contained in this brochure is subject to verification by all parties relying on it. 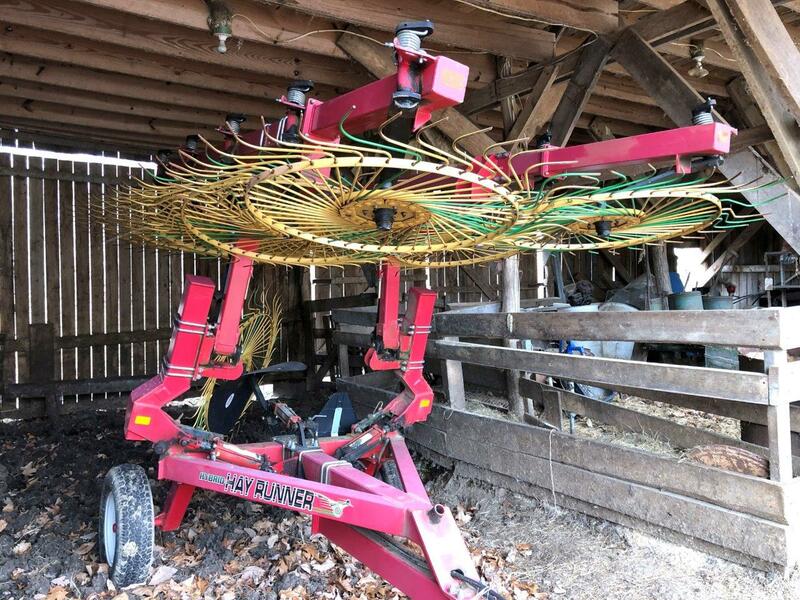 No liability for its accuracy, error, or omissions is assumed by the Seller or the Auction Company.